HOW WILL INTELLIGENCE ADVANCE BUSINESS & SOCIETY? Robin Chase: Time 100 Most Influential People. 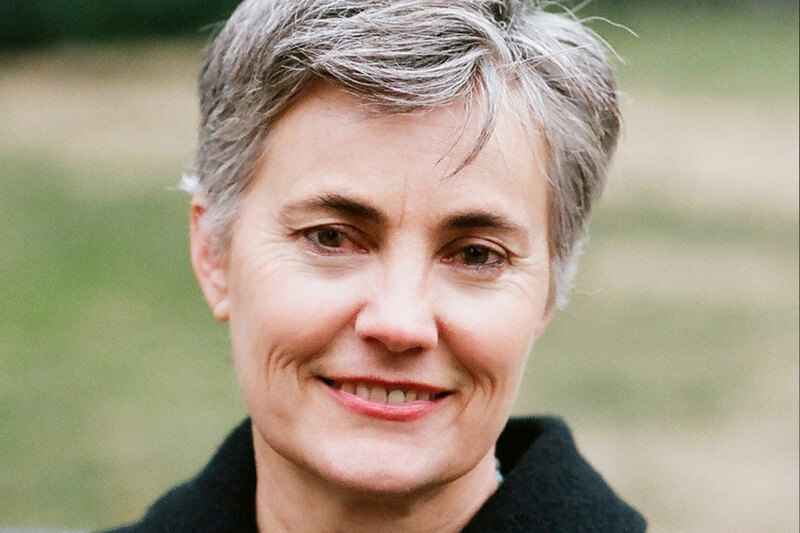 Co-Founder and Former CEO of Zipcar; Buzzcar; GoLocco. She is also Co-Founder of Veniam, a vehicle communications company focused on network fabric of the Internet of Moving Things. Marcus Weldon: The President of the iconic Bell Labs and a luminary in the Information Communication Technology industry with a strong track record of picking the right technological disruptions and opportunities. He combines his vision with the power of Bell Labs to create a unique global innovation engine with the goal of ‘creating time’ for humankind. 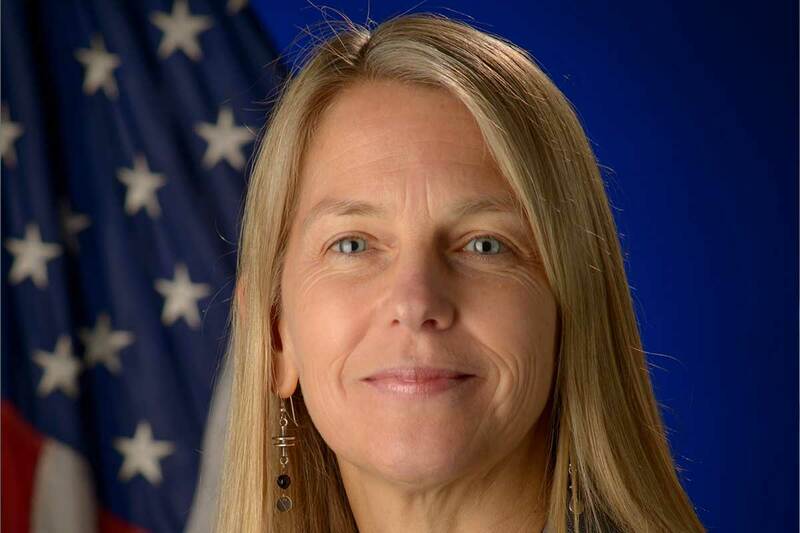 Stefanie Tomkins: An innovation maestro at the U.S. DoD high-risk/high-reward advanced technology wing. Making the impossible possible – be it breakthrough materials, data, technologies, devices, or systems. 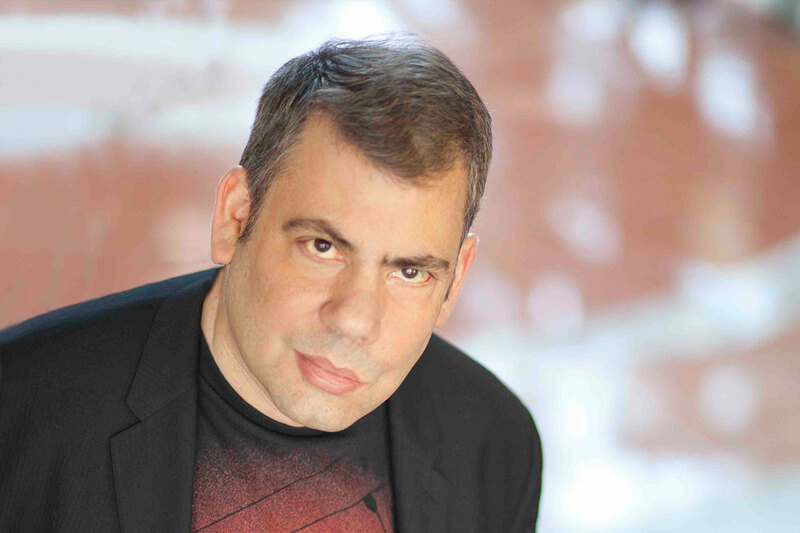 Nicola Morini-Bianzino: Global Managing Director of Artificial Intelligence at Accenture and the Chief AI Strategist. He is responsible for leading Accenture’s AI strategy and business across the company. 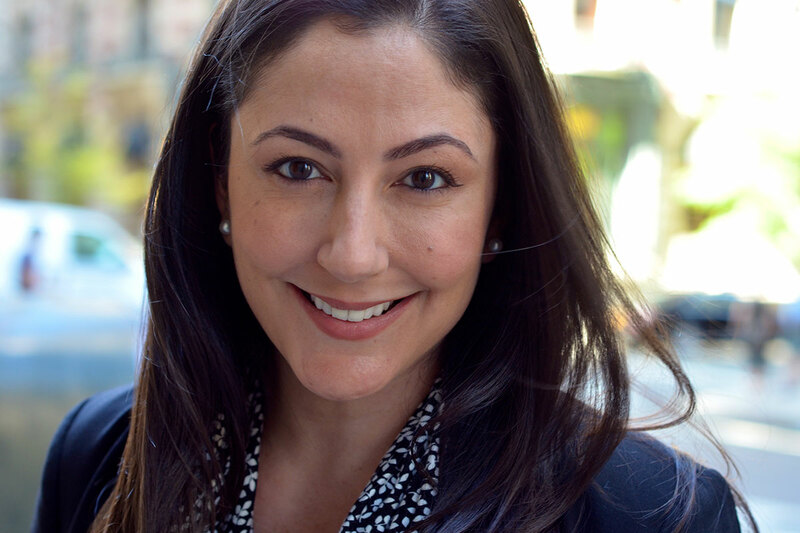 Nicola also serves as the Growth & Strategy lead for Accenture’s Technology Innovation & Ecosystems organization. He is responsible for defining Accenture’s Technology strategy, new ventures and acquisitions, and Accenture’s investments in Technology. 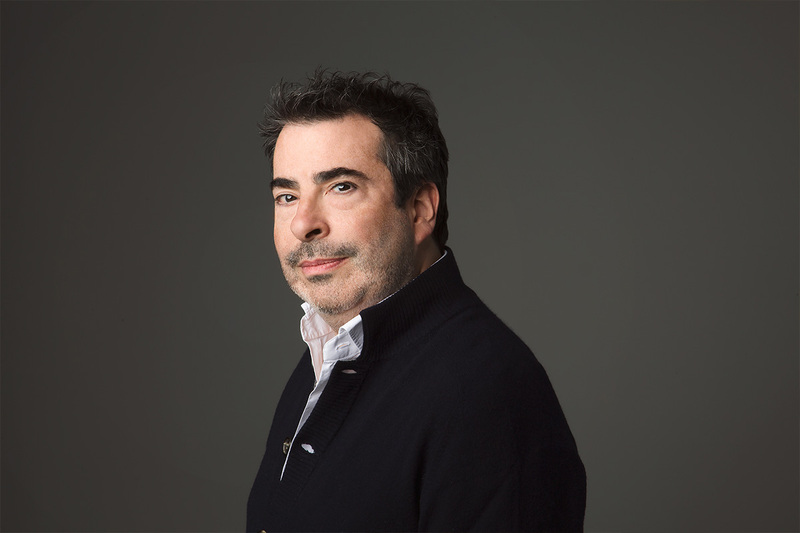 Bernard Luthi: CEO of Monoprice, Bernard Luthi brings over 20 years of experience to the company with a proven track record of transforming ecommerce and multi–channel organizations. Luthi is an effective leader, innovator and contributor who drives revenue by leveraging technology, sales, marketing, branding and exemplary customer experience talent. 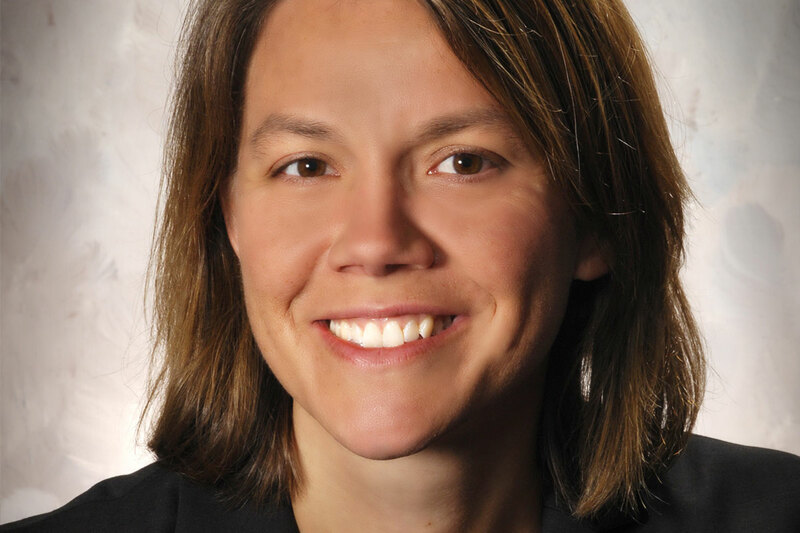 Ellen White: Ellen currently serves as a Global Business Manager for the 3M Respiratory Protection business. 3M is a leading global supplier or respiratory protection for industrial and consumer use. Ellen is committed to advancing human safety though improved integration of protective equipment, machine intelligence and data analytics. She has traveled extensively in support of 3M’s global safety related businesses and has lived and worked in the US, France and Japan. Ellen is a graduate of Harvard University. 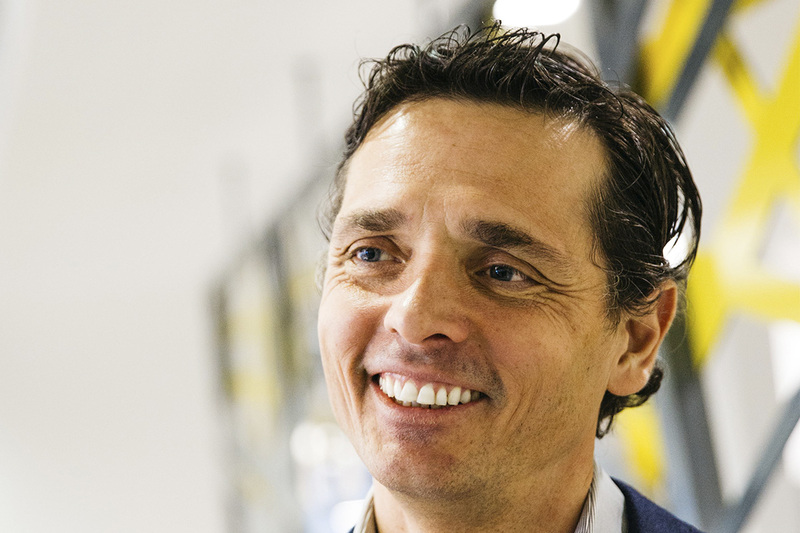 Marcello Damiani: Marcelo has a wealth of experience in both tech companies and Life Science companies and a true passion for making Digital a reality. His expertise is in visioning, strategizing and implementing innovative programs to update and streamline the digital landscapes. 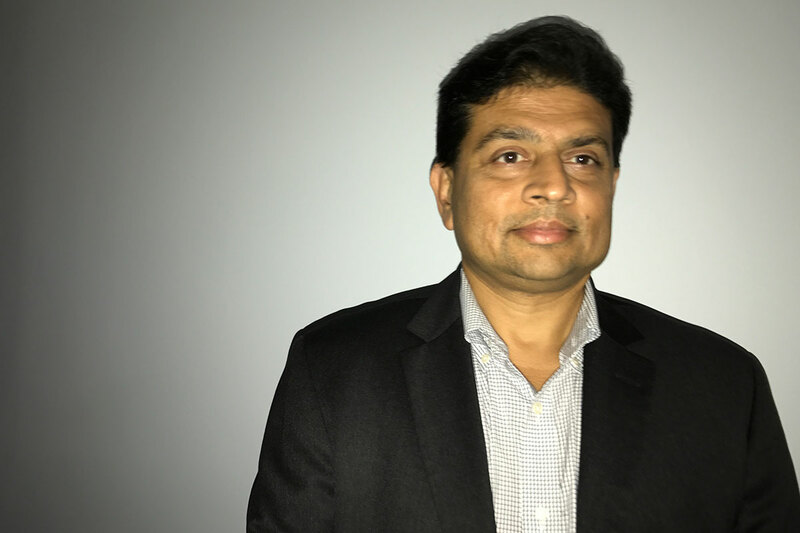 He is known for his ability to transform a company’s Information flow, and ultimately improving the product and the company’s processes through digitization. 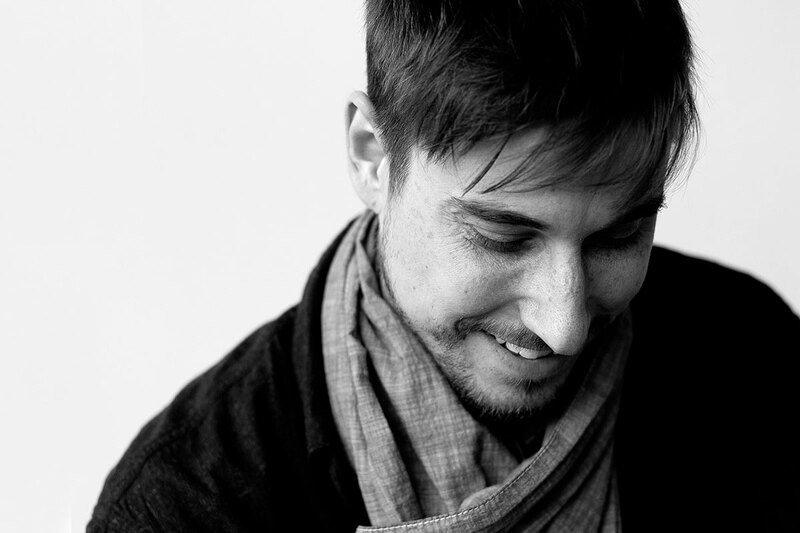 Todd Bracher: Design strategist and industrial designer, guiding some of the world’s most prestigious brands to realize strategic differentiation through design that is expert-based, driven by science, nature, truth. 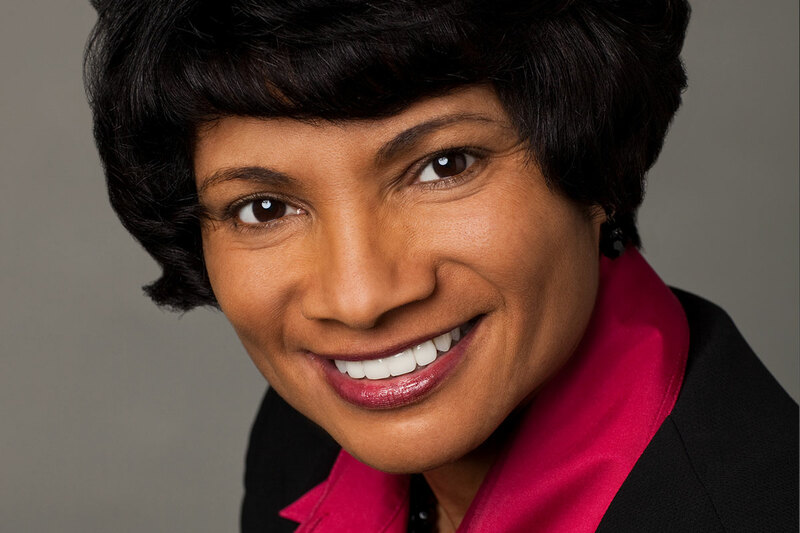 Rosalind L. Hudnell: Inspires and engages the world’s next generation of technology innovators, dedicated to corporate responsibility and social impact. Led President Obama’s US Council on Jobs 10k Engineers Initiative and Intel’s Diversity in Technology Initiative. President of the Intel Foundation and VP of Human Resources and Director of Corporate Affairs at Intel. 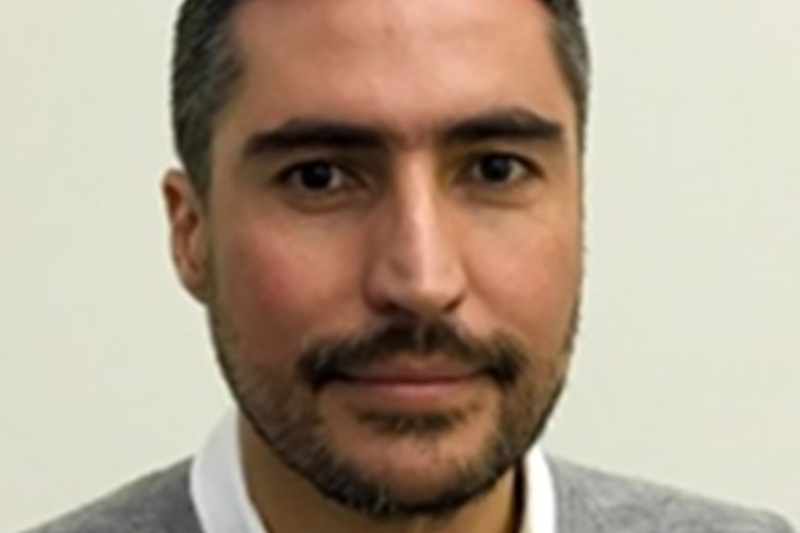 Francisco Melo: As a leader of global RFID, Francisco directs and guides in-store, supply chain, and manufacturing information solutions using radio frequency identification (RFID) to help retailers and brand owners across the globe to accelerate performance and improve efficiencies. Hong Z Tan: A haptics educator, researcher and evangelist. One of the world’s top haptics experts. Best known for perception-based engineering approach. Solving real problems in the haptics space for Fortune 500 and other companies. Passionate about a future where interfaces touch us back. 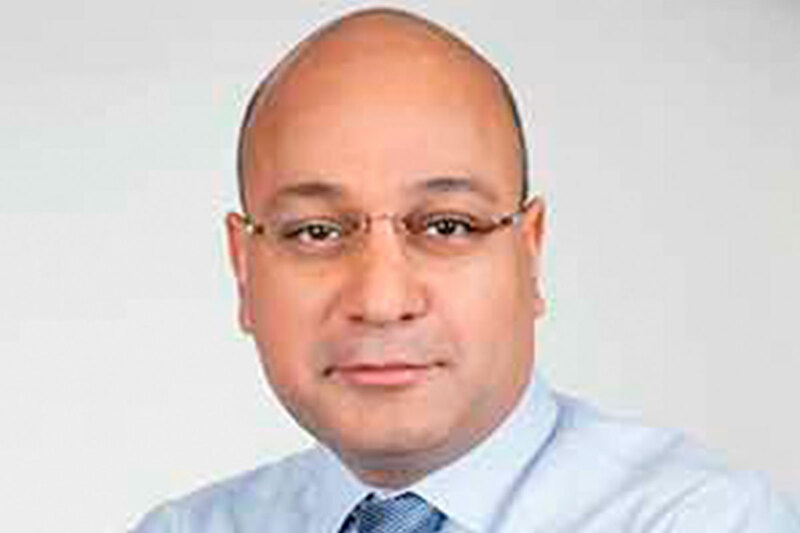 Hassan Ahmed: Hassan is Founder, Chairman and CEO of Affirmed Networks. Affirmed drives software transformation in global mobile networks. 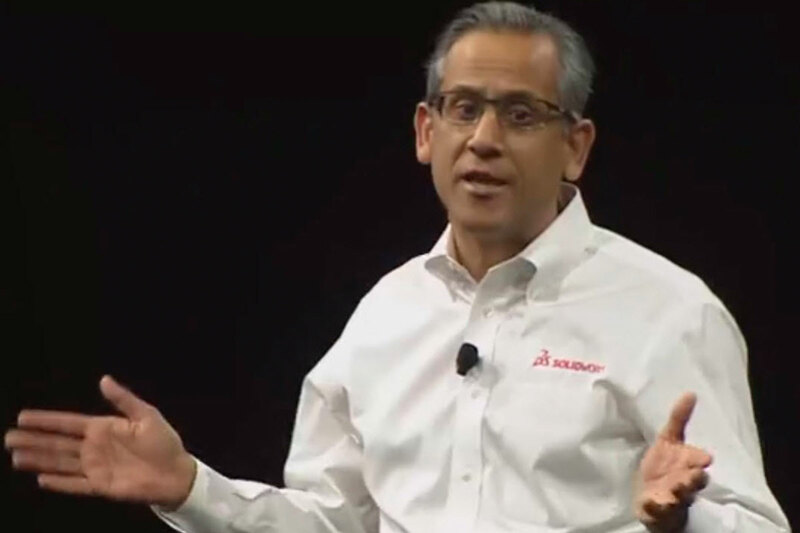 Previously, Hassan built Sonus Networks into a public company that pioneered VoIP networks. 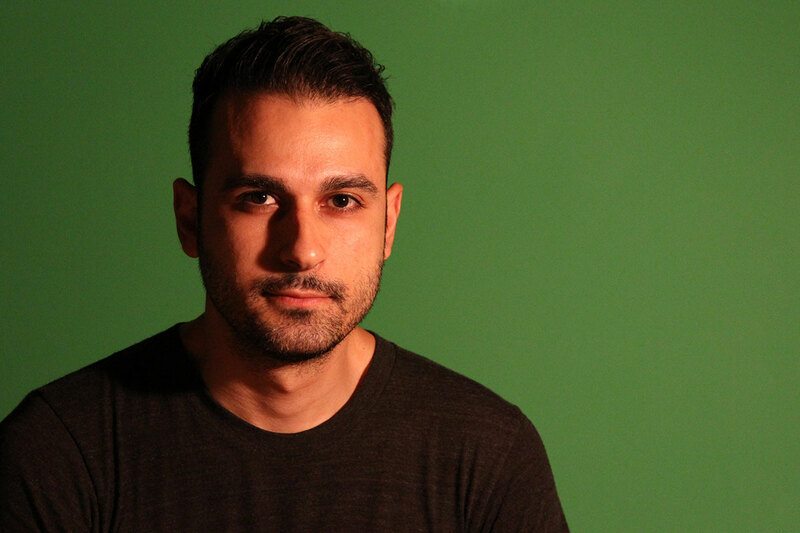 Beyond entrepreneurship, Hassan’s career spans industry, venture capital and academia. He was Associate Professor, ECS at Boston University. 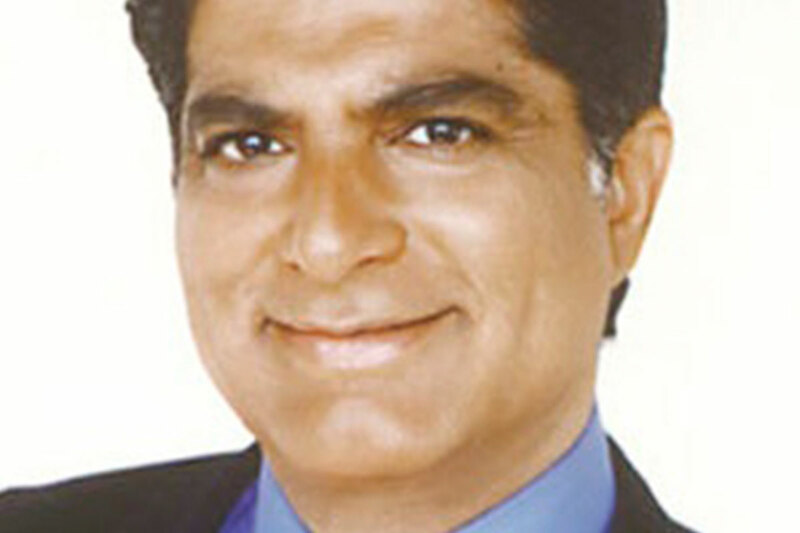 Hassan holds a PhD from Stanford University. Ioana Cozmuta: The most knowledgeable expert on microgravity and space applications and commercialization in the world today. Strategic thinker and leader focused on creating much needed solid success stories in support of the New Space move and the establishment of a robust economy in Earth’s orbit. 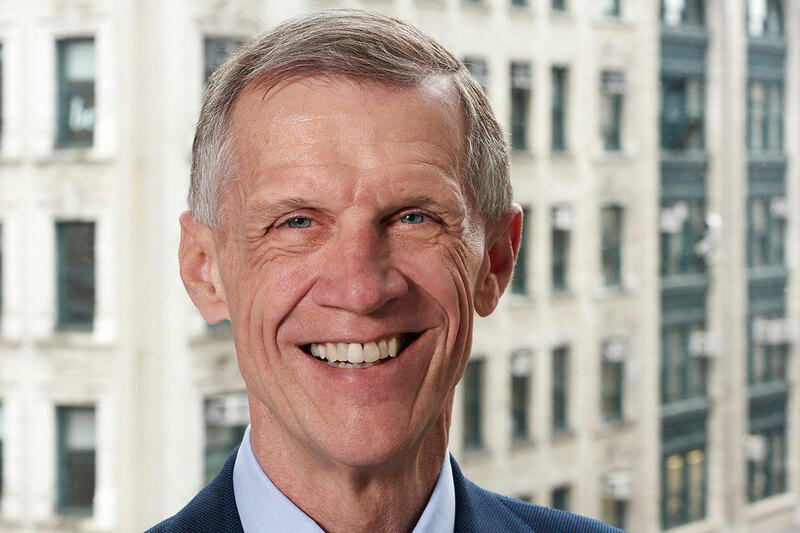 David E. Van Zandt: David has advanced a vision for The New School that elevates the university’s core values of creativity and social engagement and connects its strengths in design, social research, liberal arts, and performance. 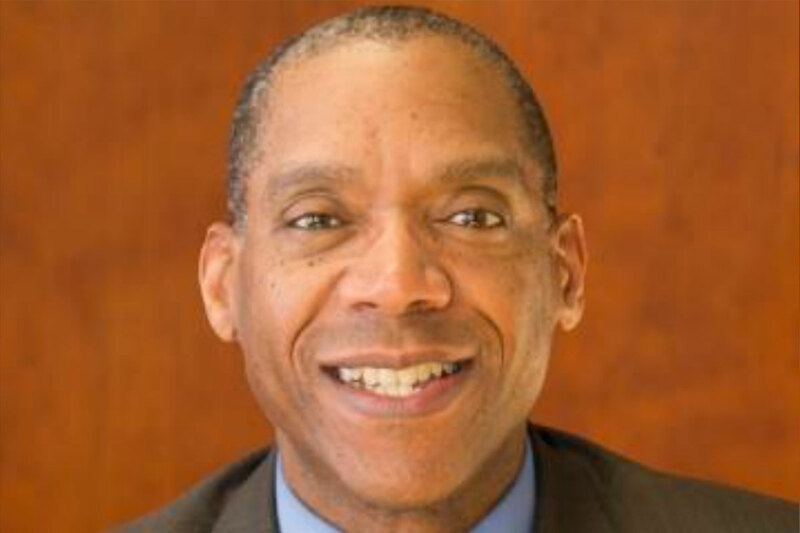 He has led the development of strategic initiatives to deepen The New School’s commitment to student success, global education, new and distinctive educational models, and institutional effectiveness and assessment. 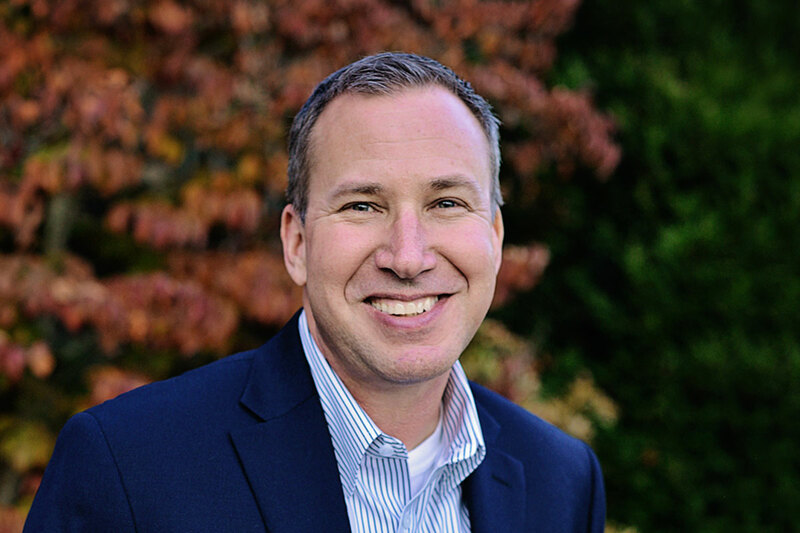 Blair LaCorte: An accomplished leader and strategist, LaCorte has a long history of leveraging change management to drive operational alignment and growth. 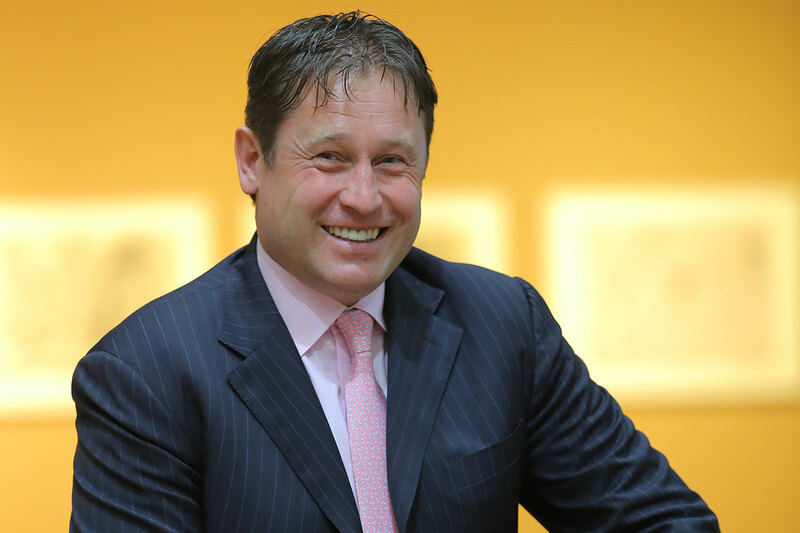 He has led and held executive roles at numerous private and public companies ranging from live events and aviation to technology and private equity. LaCorte holds an MBA from Dartmouth. Matt Preschern: One of the most sought after tech marketers of 21st century. Steadfast in his promise of creating a digitally designed innovative marketing organization. Ranked no. 20 in the Forbes list of The World’s Most Influential CMOs. Realizing the collaborative nature of the 21st Century brand. Leading the inevitable cultural change in futuristic marketing era. 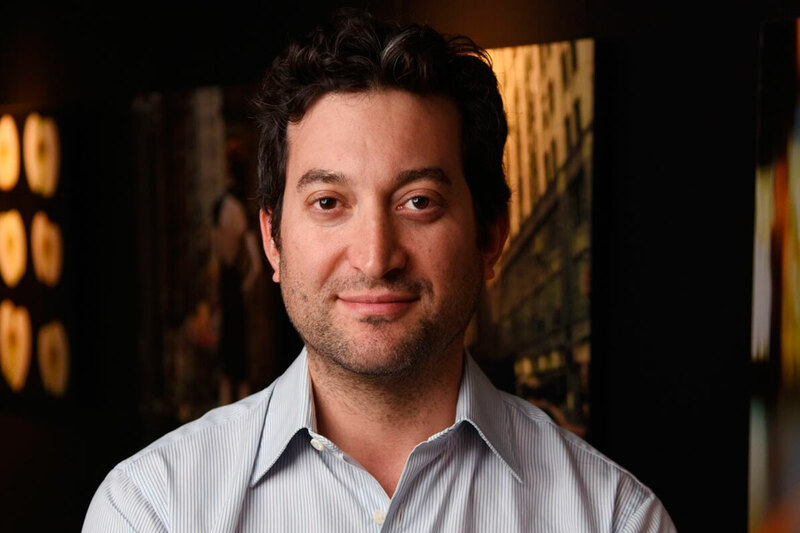 Jon Oringer: Founder, chairman and CEO of Shutterstock. 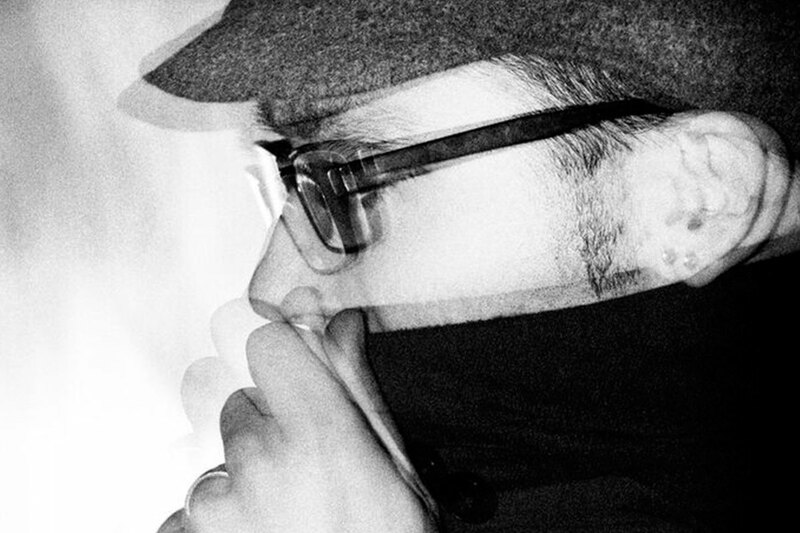 Jon launched the company in 2003 with thousands of his own digital photographs. In October 2012, Oringer took Shutterstock public on the NYSE and has since grown the company to 800+ employees and more than $494 million in annual revenue. 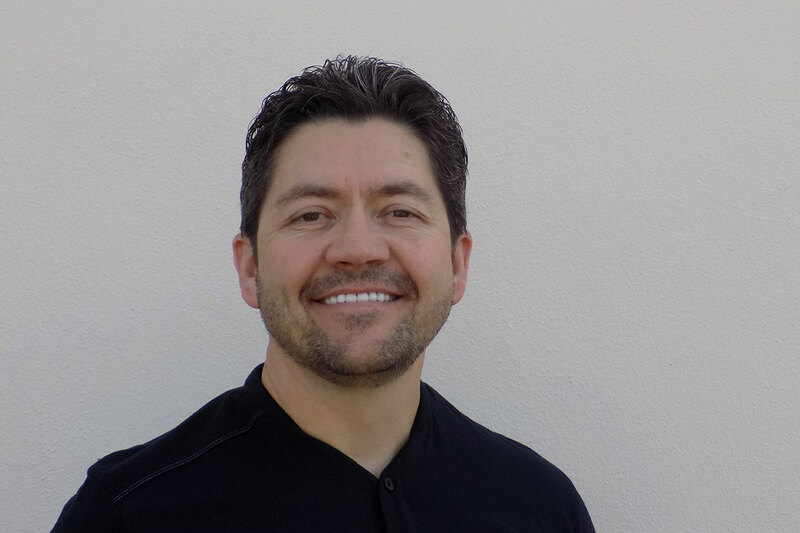 Jon is a serial entrepreneur and certified commercial helicopter pilot. 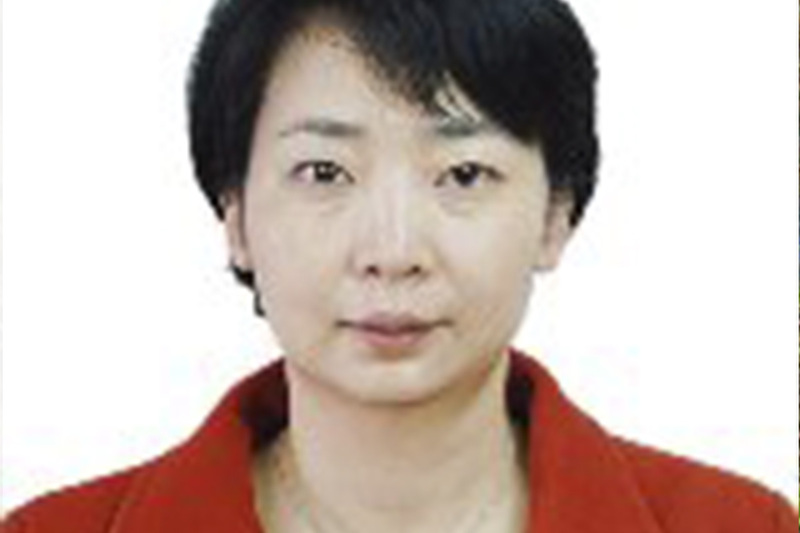 Yao Zhang: Yao has been working in the education and technology field for more than a decade. RoboTerra, recognized as the annual “Star Company” at the 2014 World Learning Technology Summit and a “Top 30 Innovations Company in 2015 SVIEF”, provides a cloud-based learning solution connecting educational robots built by students and respective course modules, which allows students a rewarding and fun learning experience. Yao was recognized as a “Top 25 Women in Robotics in 2015” by RoboHub, and most recently honored as a 2016 Young Global Leader by Davos World Economic Forum. 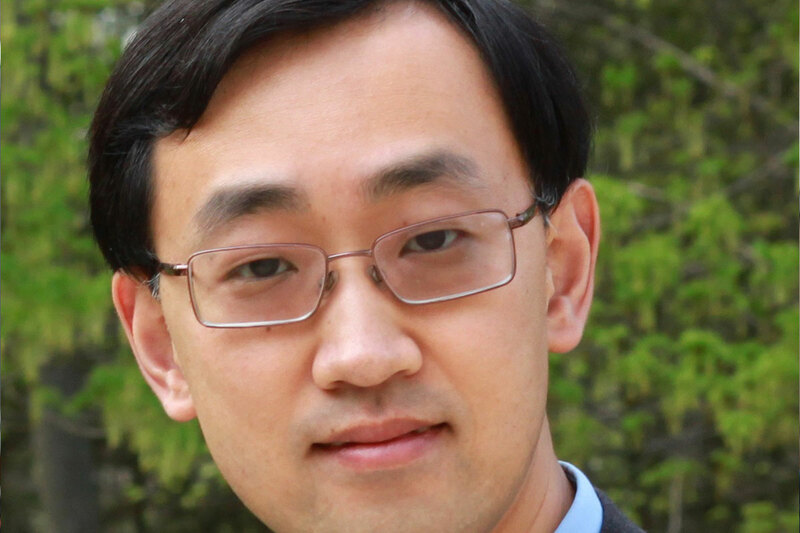 Mark Chung: Electrical Engineer pioneering AI for energy, innovating because technology can make a difference in the future of humanity and secure a sustainable climate. 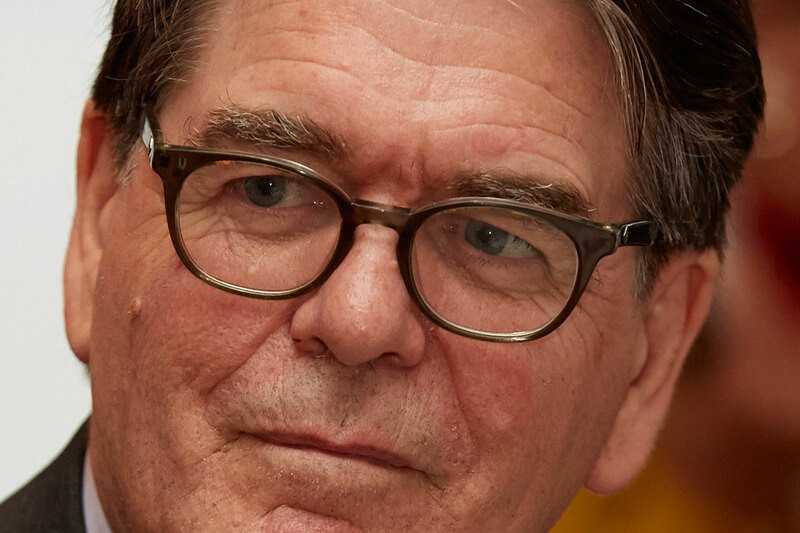 Serial entrepreneur whose products power ~40% of global 4G/LTE mobile infrastructure. Co-founder of Verdigris, accelerating IoT to create energy efficient buildings that enable smart cities. 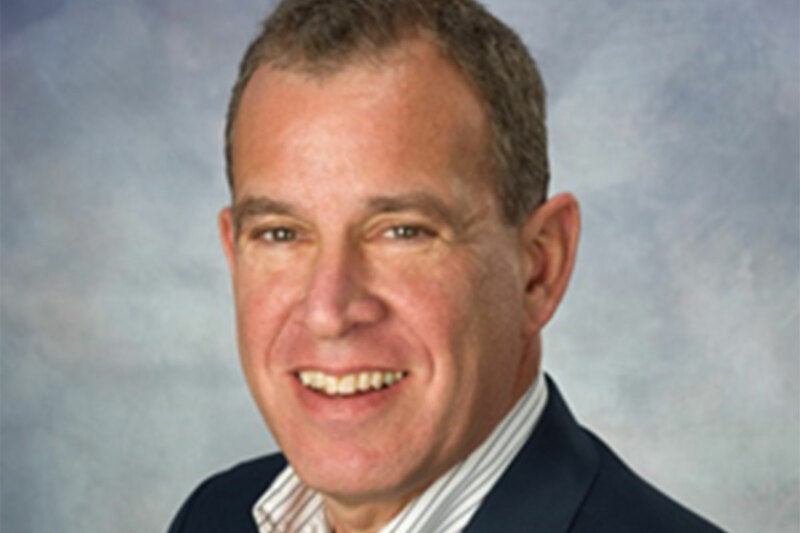 John Frankel: Founding Partner, ff Venture Capital: A leading early-stage venture capitalist since 1999. Has served on the boards of more than 35 companies and has led investments in more than 80 companies. Also sits on The NYU Tandon School of Engineering’s Board of Overseers. 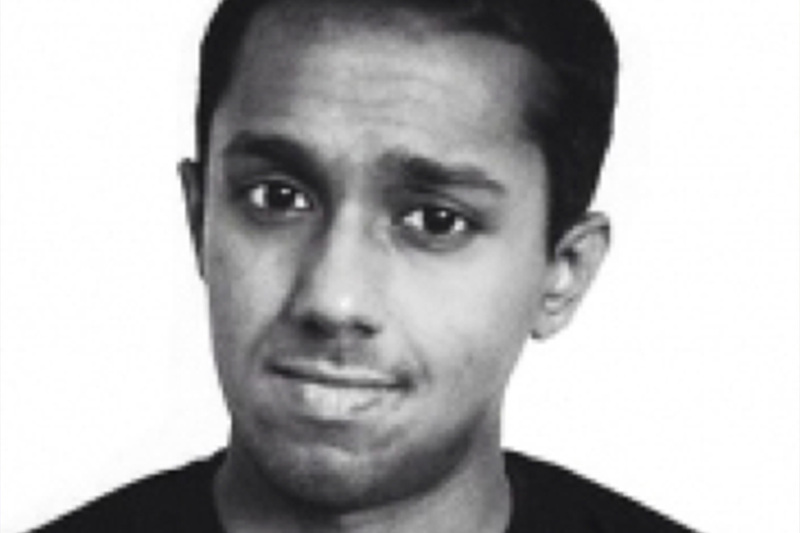 Suchit Jain: Strategist and an engineer with a passion to help entrepreneurs turn ideas into products. Vice President of Strategy at Dassault Systemes SolidWorks leading the expansion of SOLIDWORKS design software into the hardware startups, makerspaces and Fab Labs. 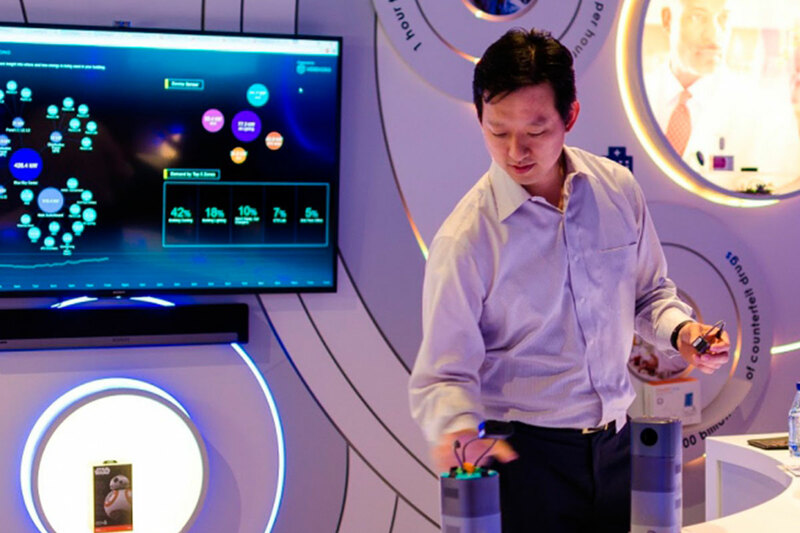 Evaluating emerging technologies, including IOT, 3D Printing, and AI to integrate within design software to help customers design better product, faster. 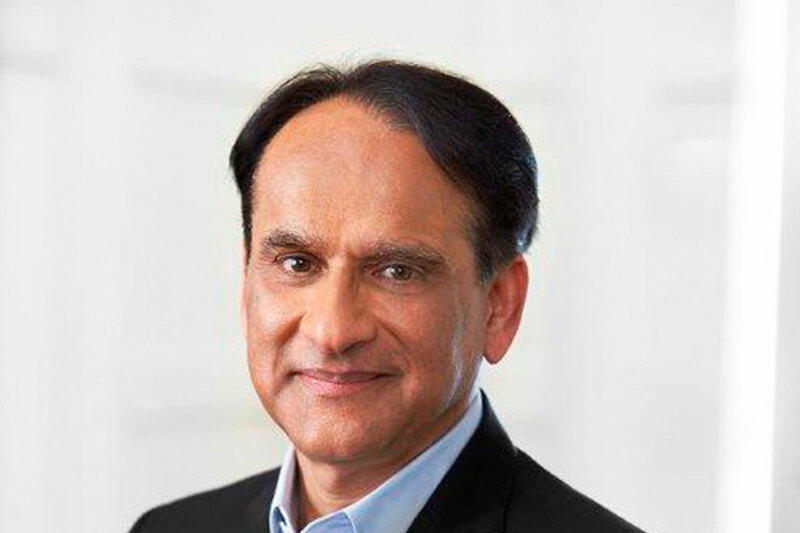 Ganesh Bell: GE’s first-ever Chief Digital Officer and current CDO of GE Power. One of Fast Company’s 100 Most Creative People in Business in 2017 for “redefining the grid.” Leading the global energy industry through its transition to digital, working with 60+ utilities. Key architect of GE’s own Digital Transformation. 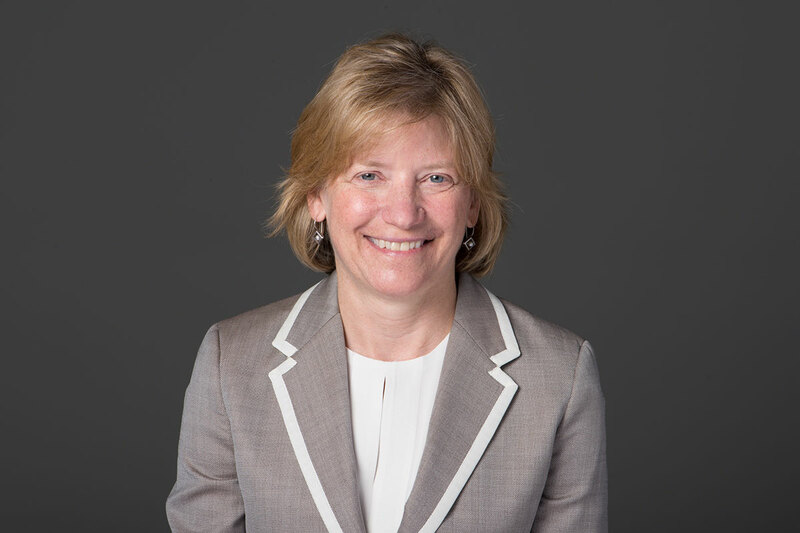 Laurie Olson: Responsible for overseeing the shaping of Pfizer’s longer-term strategy, supporting the execution for commercial objectives, and providing portfolio advisory functions to guide R&D investment decisions. 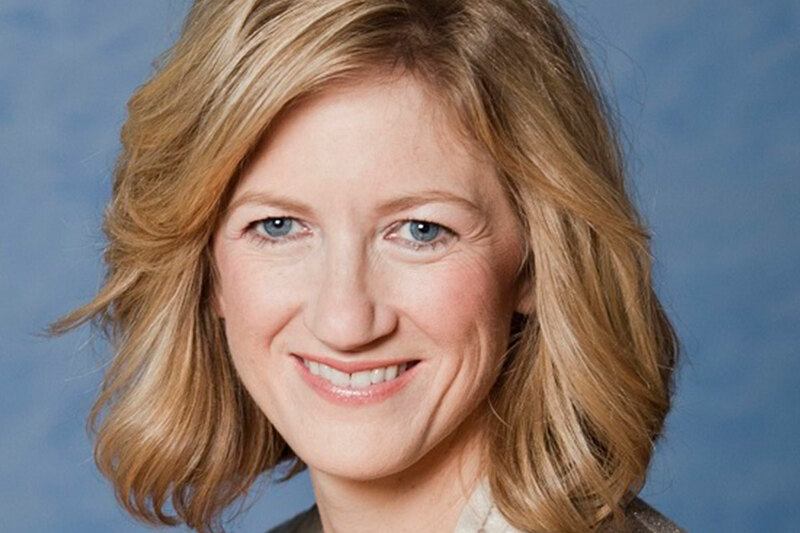 Laurie is a member of Pfizer’s Executive Leadership Team and its Portfolio Strategy Investment Committee, which oversees decisions regarding enterprise investment and advancement. Satya Nitta: Innovator and technologist. AI and Nanotechnology. 150 patents, IEEE ACE Innovator of Year, IEEE Spectrum Technology of the year winner. Top 50 Makers and Shakers of Education Technology Worldwide. 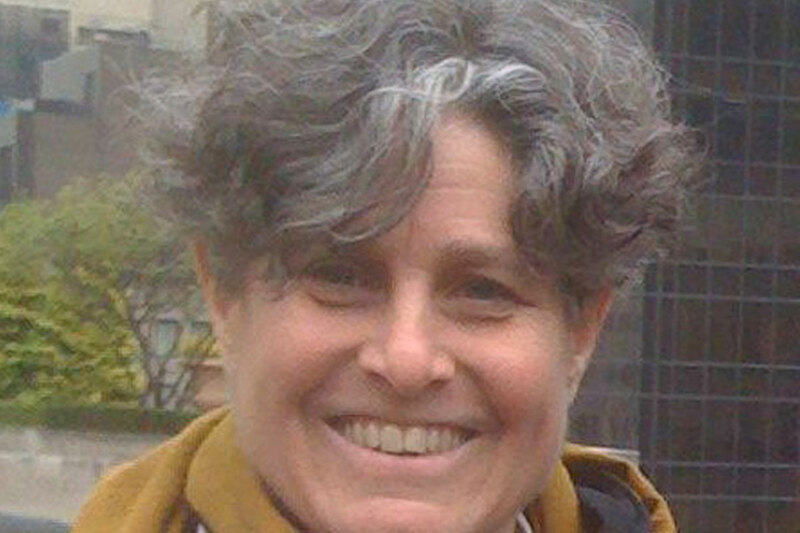 Yael Eisenstat: Former CIA officer, diplomat and VP Biden advisor turned public advocate, Yael speaks and works on whole-of-society approaches to complex global challenges. Motivating tech leaders to play a role in tackling world’s greatest social issues, such as countering extremism. Passionate about bringing civil discourse back to our world. Katherine Grass: At Amadeus, Katherine has founded the innovation program. In the past 3 years, the startups in her portfolio fund have reached a total valuation exceeding $1 Billion. She is now tackling data connectivity and launching Amadeus’s first Open API program. 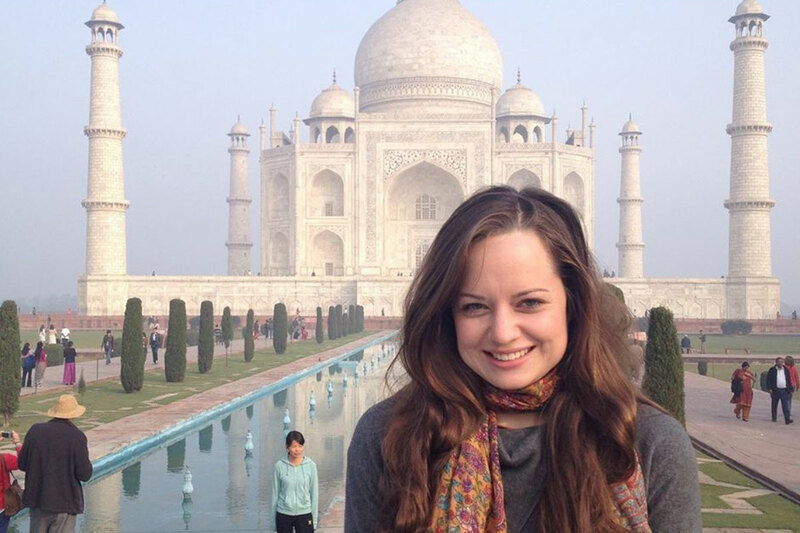 Katherine is also a frequent juror and key note speaker at many travel industry events. 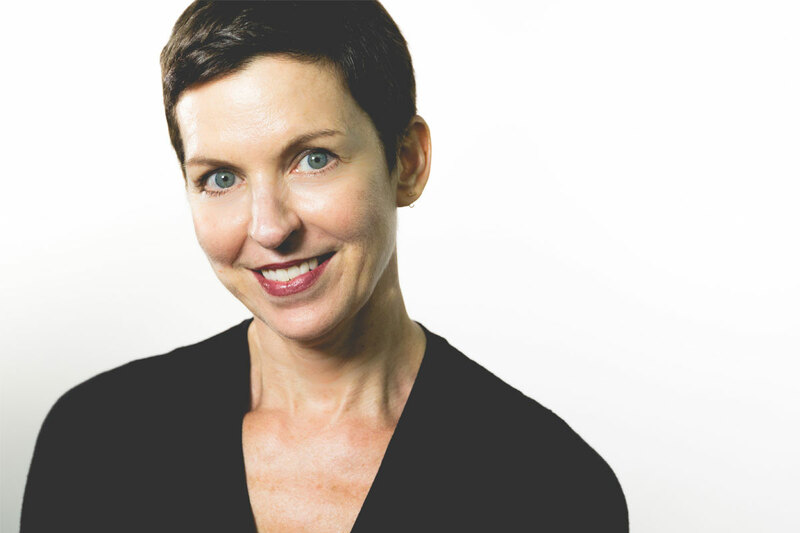 Ruth Stubbs: As President, Ruth is responsible for the global iProspect proposition, business growth strategy and the development of focused initiatives and workstreams supported by the Dentsu Aegis operating model with over 3,800 people in 52 markets and 83 offices around the world. Ruth has over 25 years’ experience in Media and Digital Marketing. 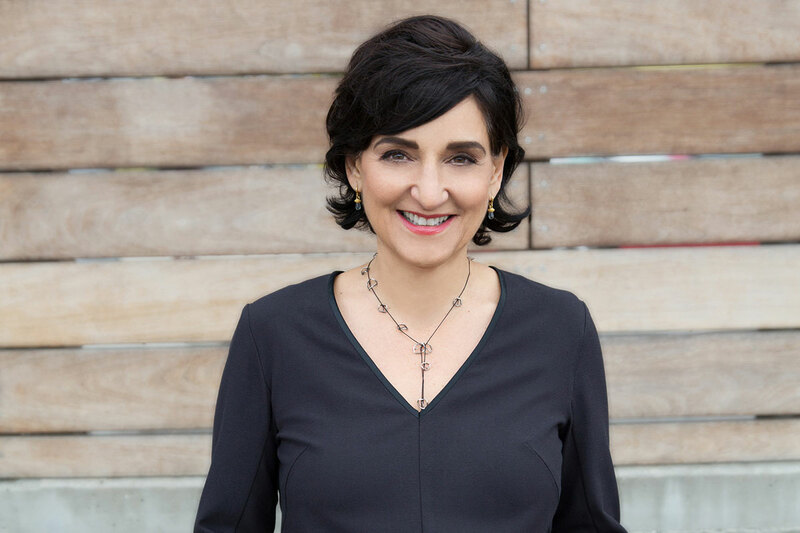 Ann Rosenberg: Ann drives innovation with purpose as SVP and Global Head of SAP Next-Gen, a purpose driven innovation community empowered by SAP Leonardo. In April 2017 she led the opening of SAP’s latest innovation space at Hudson Yards New York linked to the Silicon Valleys of the world including SAP’s innovation hubs (SAP Leonardo Centers, SAP Next-Gen Labs at universities, and SAP locations). 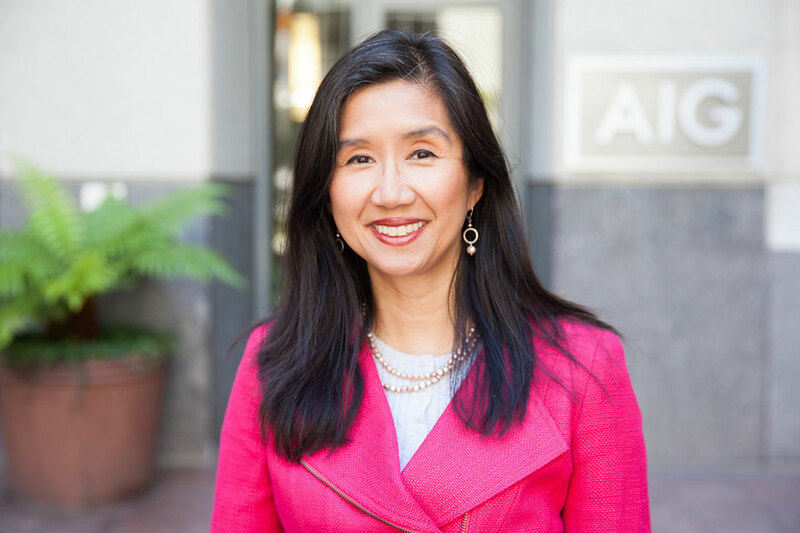 Ann evangelizes quality education and gender equality in her role as SAP’s ambassador for Stanford’s Women in Data Science conference, and as an SAP executive advisor to the UN Women Global Innovation Coalition for Change. 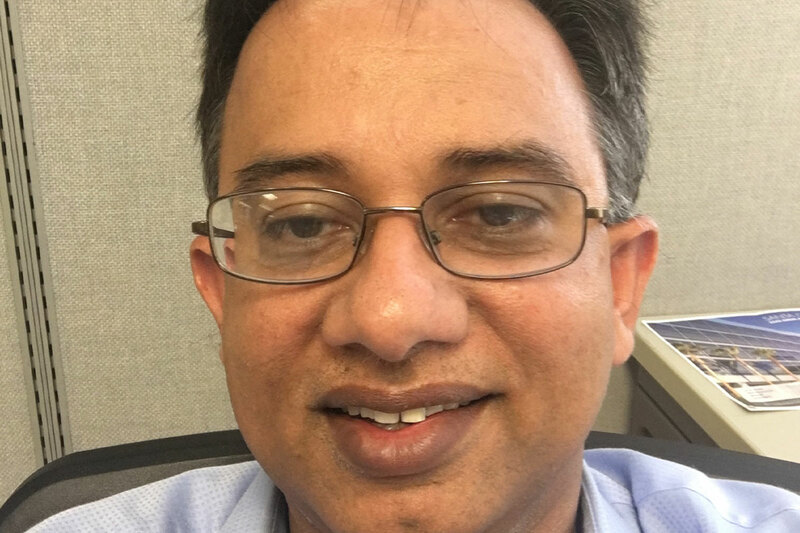 Bhagwan Chowdhry: Ph.D., University of Chicago, B.Tech, IIT Kanpur, is Faculty Director, Impact@Anderson at UCLA where he teaches Finance, FinTech and Impact Investing. He proposed Financial Access at Birth (FAB) initiative in which every child born in the world is given a digital identity and $100 in an online account. 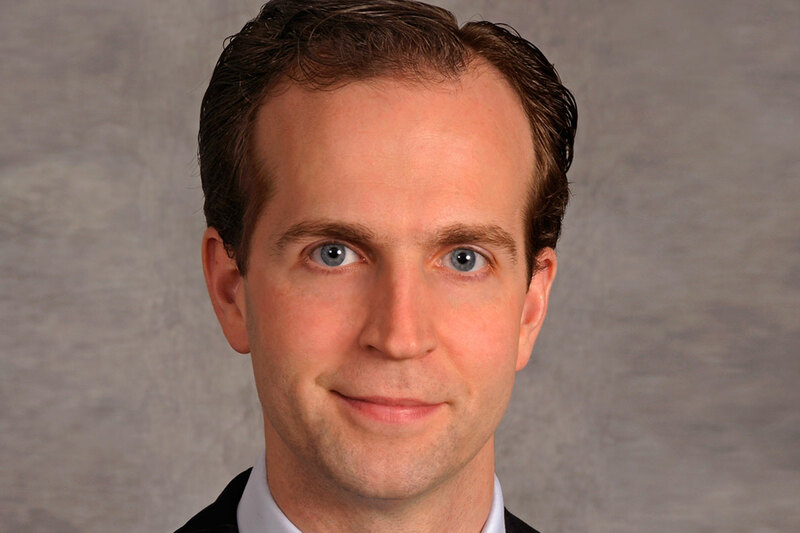 Colin Langan: Director in the General Industrials group at UBS covering the US Automotive sector. He joined UBS in 2005 as an Associate Analyst in this sector. 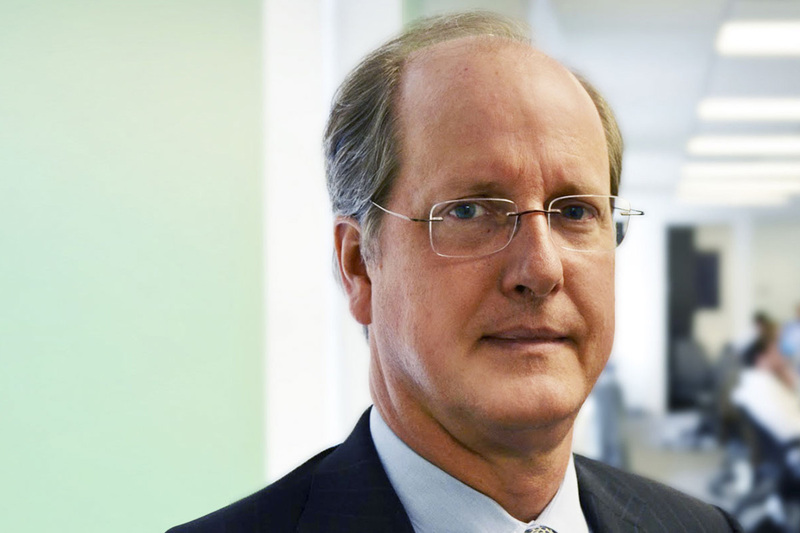 Earlier in his career, Colin was a Senior Associate at Deloitte & Touche. He holds an MBA in Finance from Columbia Business School and a BS in Accounting from the University of Notre Dame. Colin is a CFA charterholder and a certified public accountant. 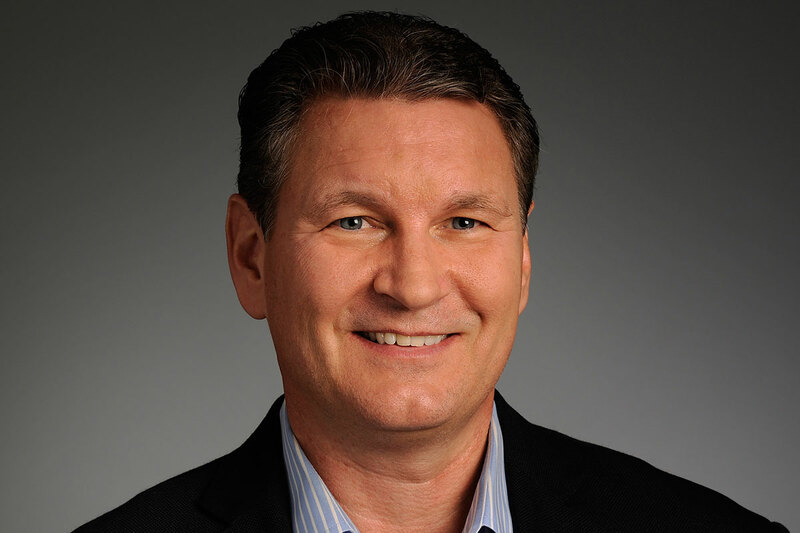 Kevin Bolen: Architect of disruption – able to see the dots others miss, connect them in creative ways, and invent new ones to complete the vision. Has a passion for teaching these skills to others. 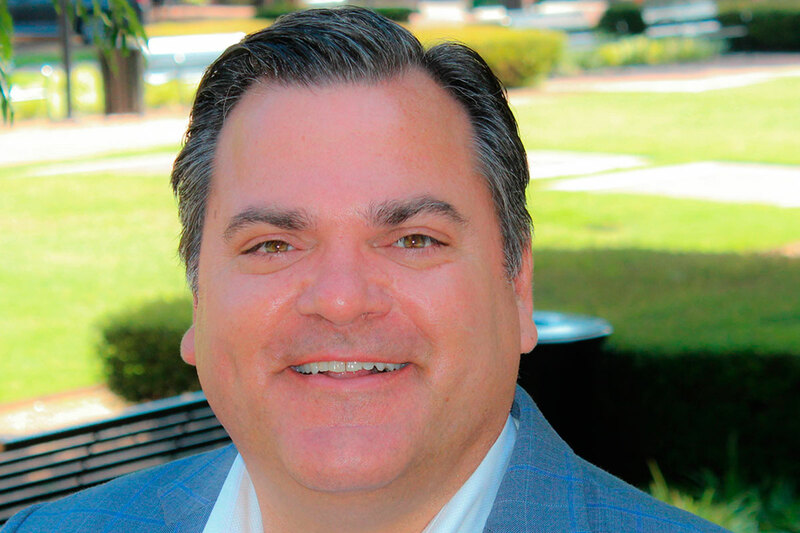 Operating as a strategic advisor and executive leader in a variety of Fortune 500 organizations, Kevin has helped these firms generate over $3B in growth through innovation. Lisa Rometty: Lisa joined the IBM Watson Health leadership team as Vice President, Global Markets. 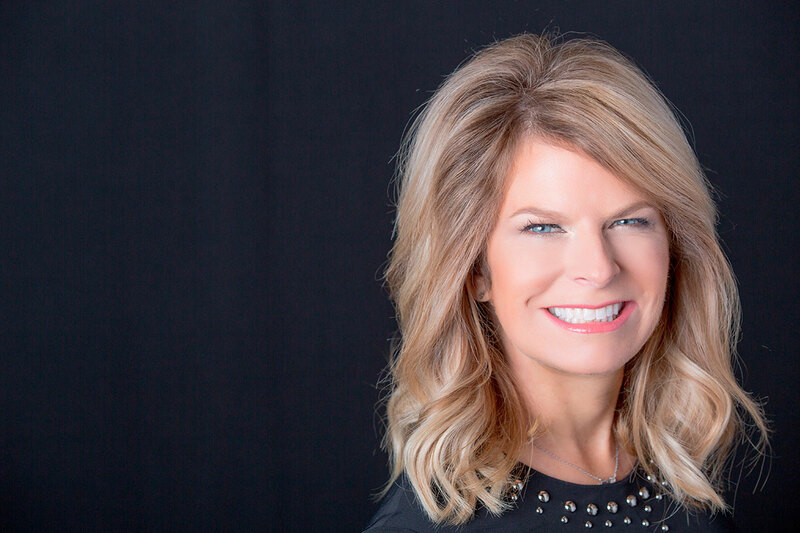 With 25 years of strong leadership experience, Lisa has global responsibility for all go-to-market strategy, marketing / public relations, business development, strategic partnerships, and client engagement. 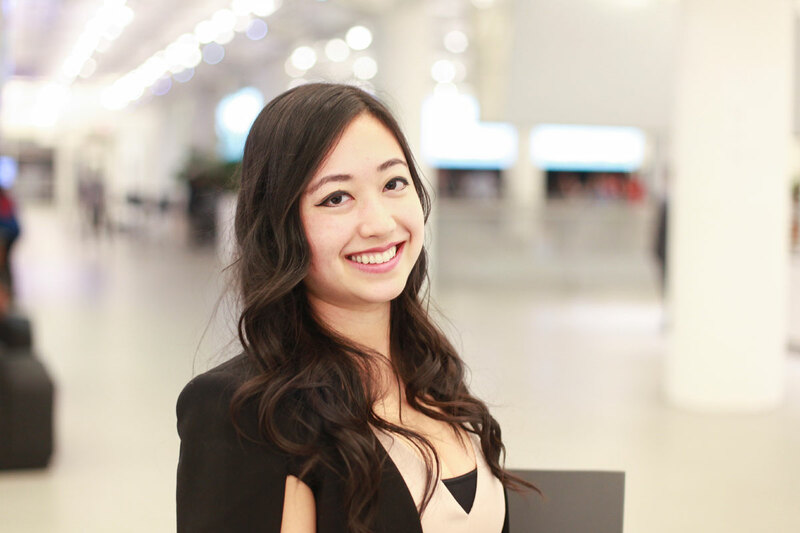 Nazareth Ekmekjian: A trained architect and maker from Los Angeles and recent MIT graduate, Nazareth currently designs and develops lightweight robotic platforms for personal mobility with Piaggio Fast Forward in Boston, MA. Previously, he managed the Robot House at SCI-Arc, where he also received his Bachelors of Architecture. 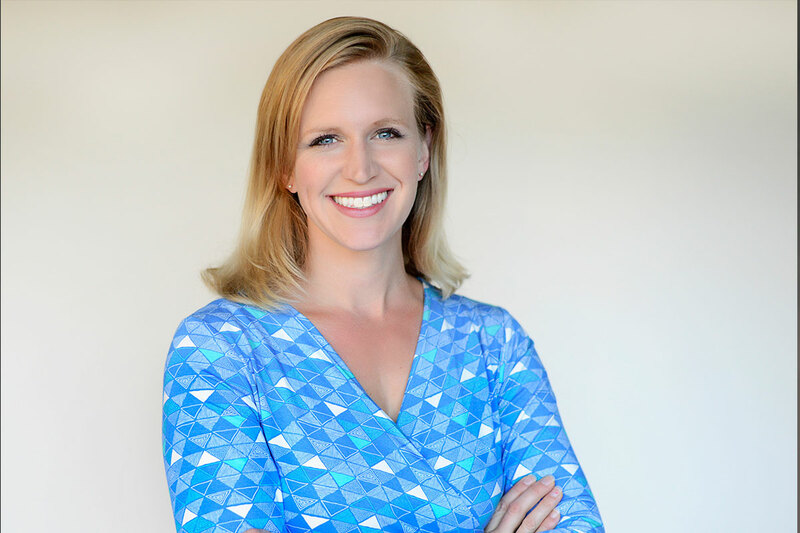 Amy Blankson: Bestselling author of The Future of Happiness, is a speaker on the intersection of happiness and technology. After graduating from Harvard and Yale, she co-founded GoodThink, a positive psychology research and consulting firm. She is a member of the IEEE Ethics Committee for Artificial Intelligence and the UN Global Happiness Council. 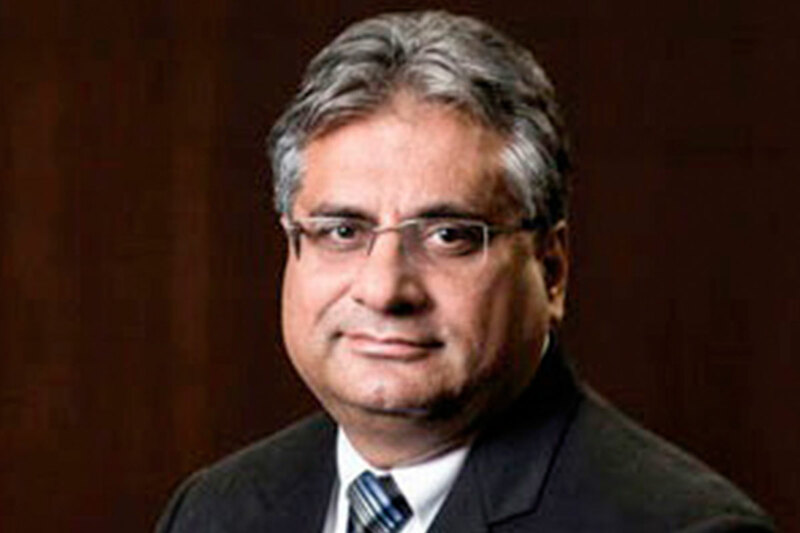 Dinesh Bharadia: Leader in wireless communication and imaging, Professor at UCSD; inventor of full duplex wireless radios and consequently built a startup Kumu Networks which commercializes it, more than 2000 citation in last 3 years, 14+ patents, International Awardee MIT 35 under 35 2016, Marconi Young Scholar Award, Michael Dukakis Leadership fellow. Stowe Boyd: Futurist. My focus is the tectonic shift into an unclear and accelerating postnormal era. Coined ‘hashtag’, ‘social tools’, ‘publicy’. Managing Director, Another Voice; Editor-in-Chief, Work Futures; Contributing Editor, Traction Technology Partners. Formerly Head of Research, Gigaom. Microsoft future of work advisory board, Pew Research advisory board on robotics and automation. 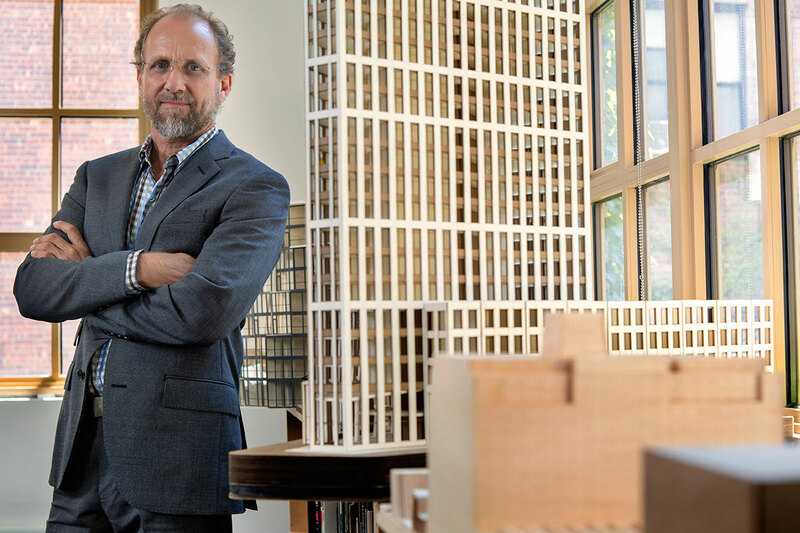 Jonathan Marvel: An architect with over 30 years of experience providing architectural, planning, community economic development and sustainable development of public spaces, educational institutions, single and multi-family housing, libraries, museums and large-scale mixed-use developments. 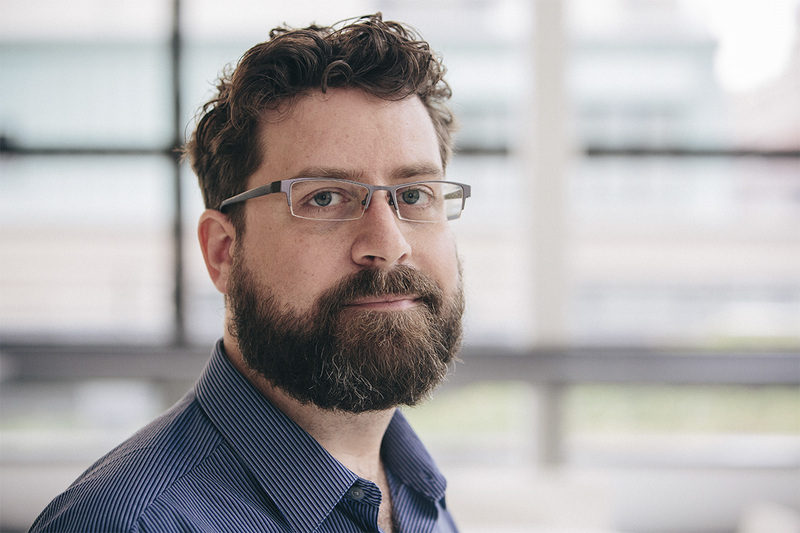 With offices in New York City and Puerto Rico, Jonathan teaches, writes, lectures and leads discussion on urban design and architecture in both academic and civic contexts. Jonathan is the recipient of numerous awards and on several boards of local and national organizations committed to equitable and sustainable planning and development efforts. 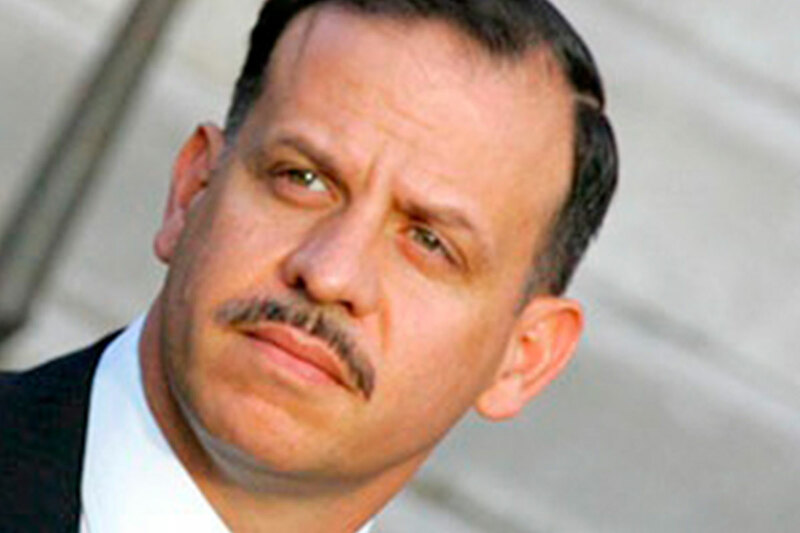 Jeff Gomez: One of the world’s leading experts in story. 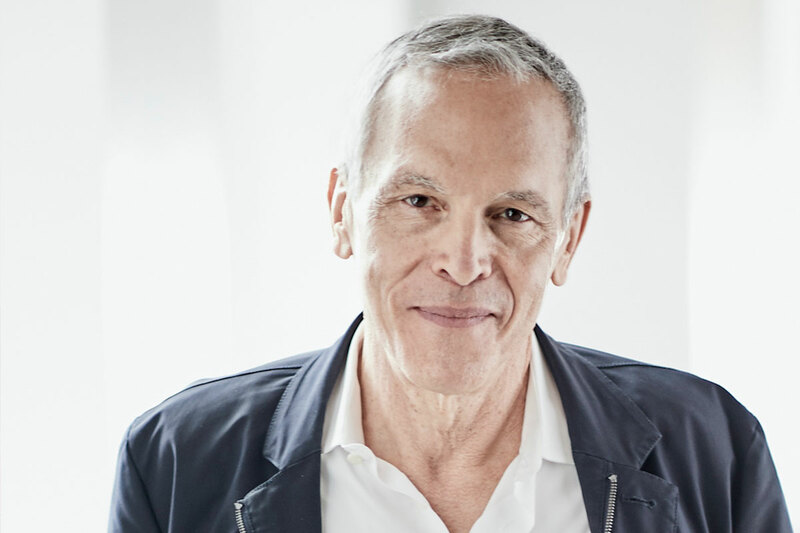 He has innovated and extended the brand narratives of global blockbuster films (Avatar, Spider-Man), brands (Coca-Cola, Pepperidge Farm), and organizations (World Vision). 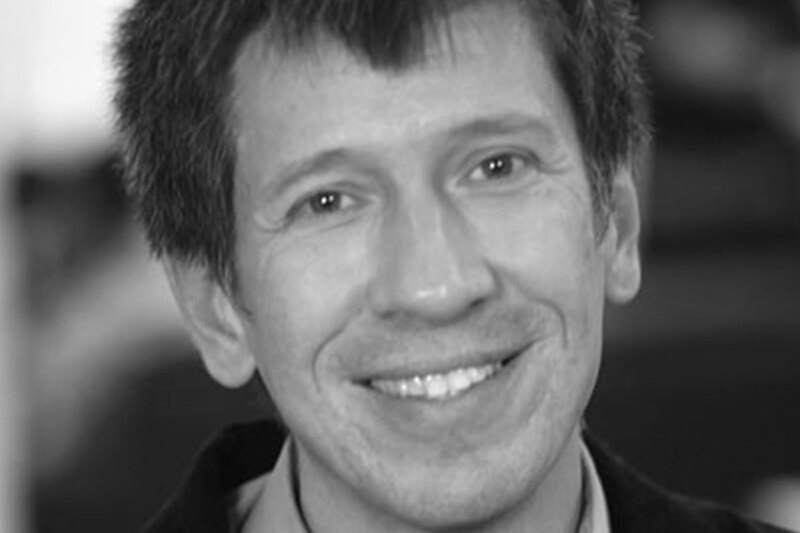 Jeff’s unique transmedia methods have also accelerated positive change in Mexico, Colombia, and Australia. Mary Alice Stephenson: Renowned fashion and beauty expert, style commentator, humanitarian and the founder and force behind GLAM4GOOD. Her resume includes the world’s most prestigious fashion magazines as well as Hollywood’s elite. In addition, she is consultant and spokesperson for a number of pop culture’s influential brands. GLAM4GOOD is an empowerment platform and non-profit dedicated to igniting positive social change and impact through beauty and style. Kenneth Church: President and CEO of nScrypt, an innovative company that develops and sells advanced 3D digital manufacturing equipment. He is a pioneer in Direct Printing of Electronics and more specifically was one of the first to exploit 3D Printed Electronics for next generation printed circuits. 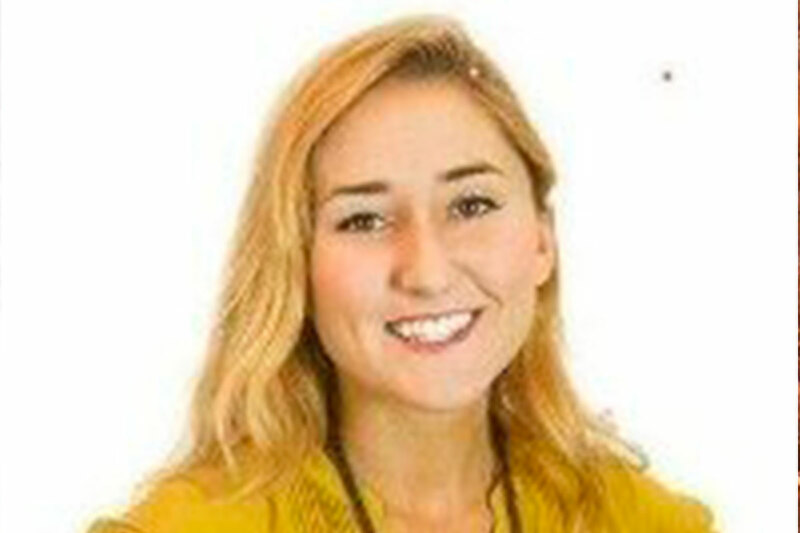 Samantha Fay: Sam is responsible for Guinness World Records’ global brand strategy, new product development, strategic partnerships and also heads up the innovation division, The Records Lab. She develops creative campaigns with top agencies and brands all over the world to take the world’s best known brands to new, record-breaking heights! 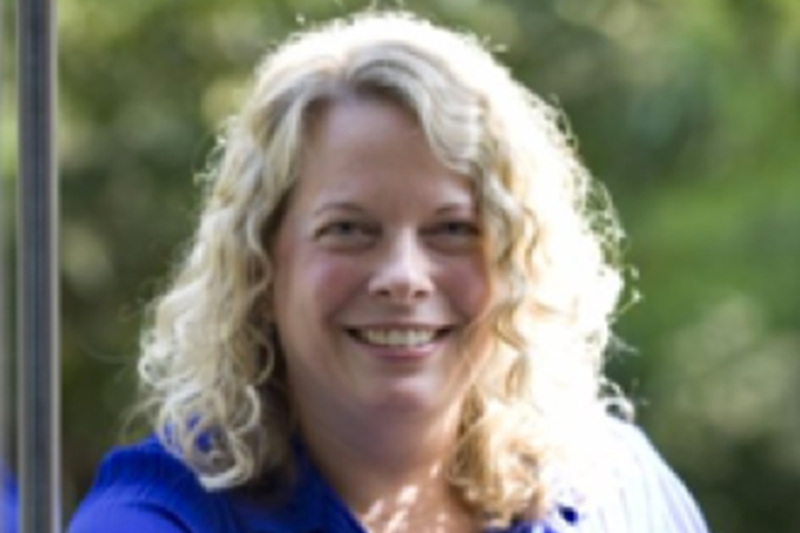 Heather Cassano: Heather has served for over two decades as an executive product design leader at technology companies like Google, Pearson, Yahoo, and Symantec. She is known as a collaborative, creative problem-solver, with a track record of delivering disruptive product innovations within a variety of vertical markets, including publishing, education, social, enterprise products and big data. 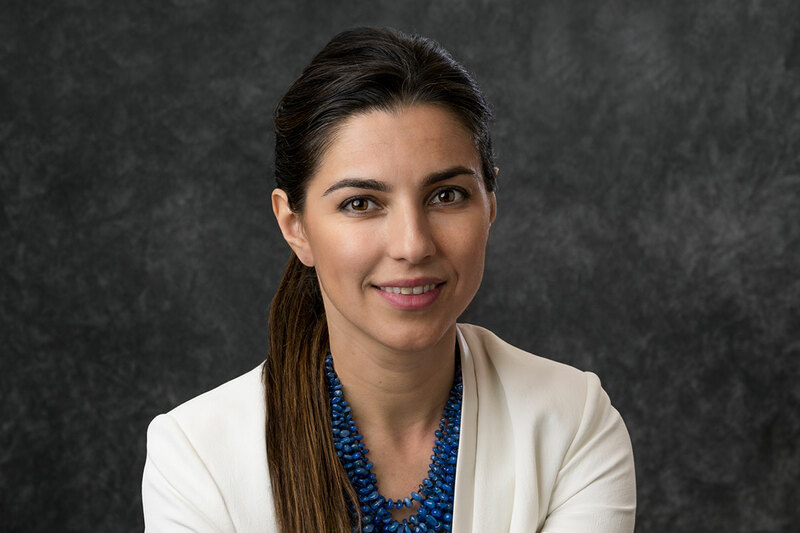 Yana Kakar: Passionate about innovation and inclusive business. Global Managing Partner of Dalberg, the premier advisory firm on inclusive growth in emerging markets. Managing and growing a mission-oriented firm across more than 18 countries worldwide. 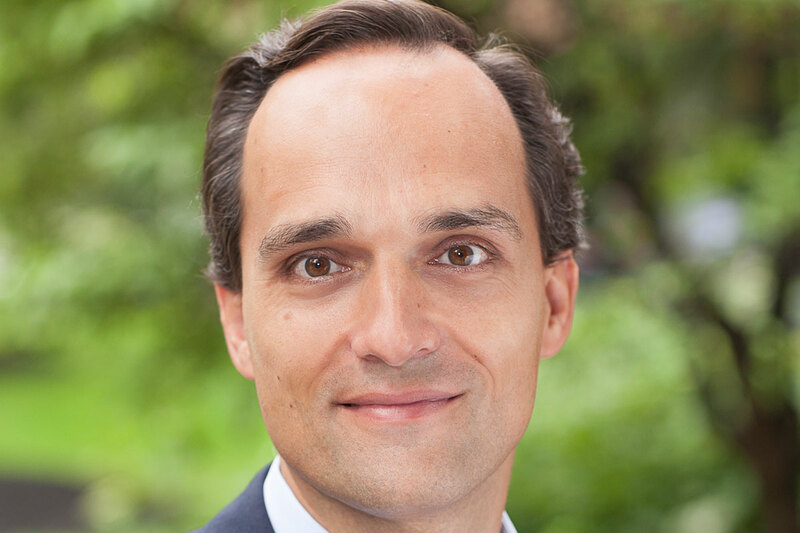 Camilo Galvis: CEO and Co-founder of the Imperative Fund, a private fund focused on the implementation of a model seeking to eliminate poverty at an industrial scale and pace. Since 2006, Mr. Galvis has conducted research on applied mathematics to finance and economics with the School of Engineering and Applied Sciences and the Columbia Business School. From 2009 to 2011, he served as Minister Counselor for Economic Affairs of the Embassy of Colombia in London, where he promoted the negotiation and ratification of the Free Trade Agreement between the Community of Andean Nations and the European Union in 2011. 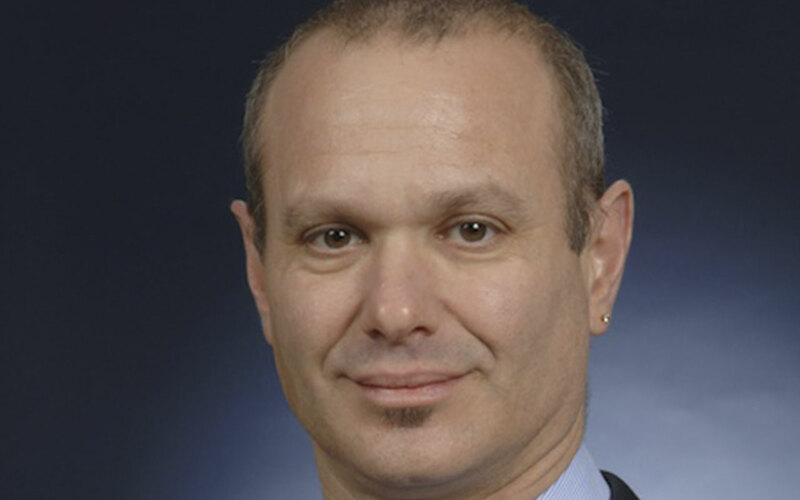 He is an Economist from the University of Los Andes in Colombia and the University of Sydney in Australia, and holds a Master of Science in Operations Research and Financial Engineering from Columbia University. 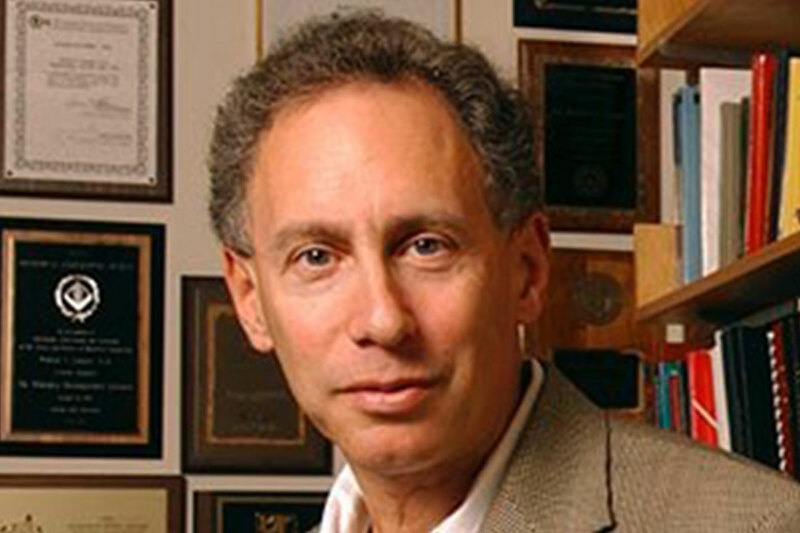 Abe Davis: Abe received his PhD in computer science from MIT in 2016. 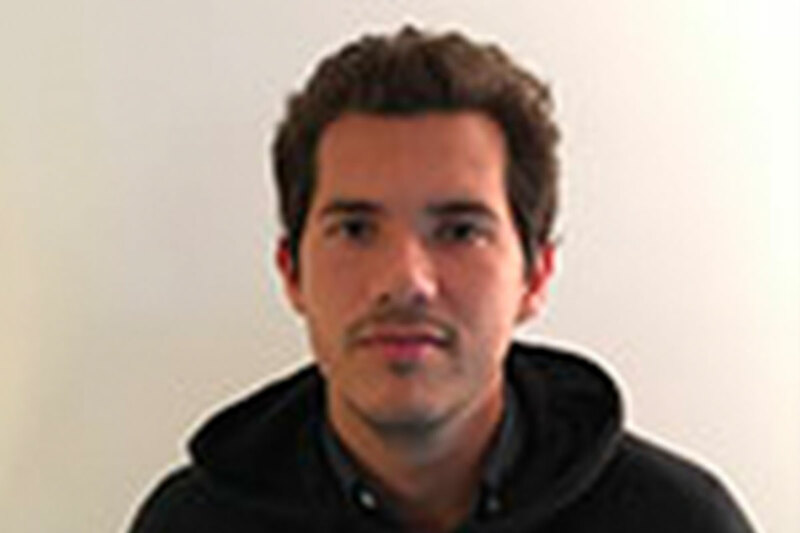 His dissertation, entitled “Visual Vibration Analysis,” won the 2016 MIT Sprowls award for outstanding thesis in computer science. 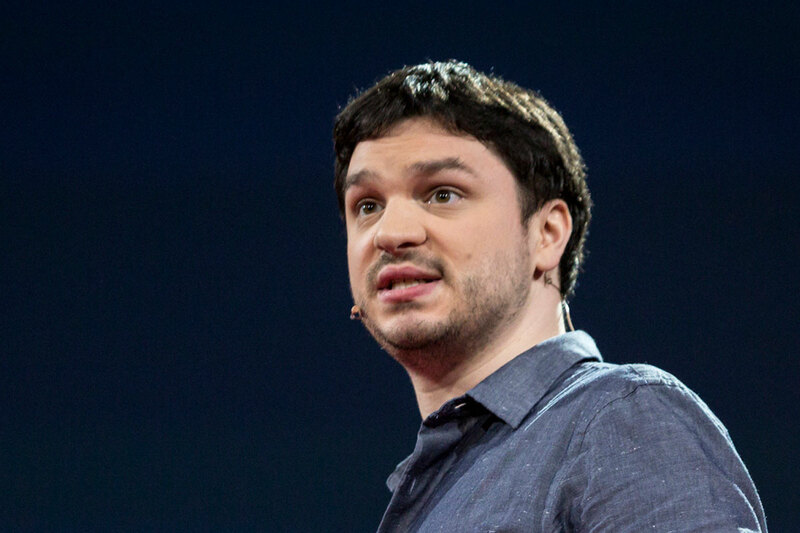 Abe has published numerous papers at top venues in computer vision, graphics, and engineering, and was a speaker at TED 2015. Business Insider named him one of the “8 most innovative scientists in tech and engineering” in 2015, and Forbes named him one of their “30 under 30” in 2016. He is currently a postdoc at Stanford University. 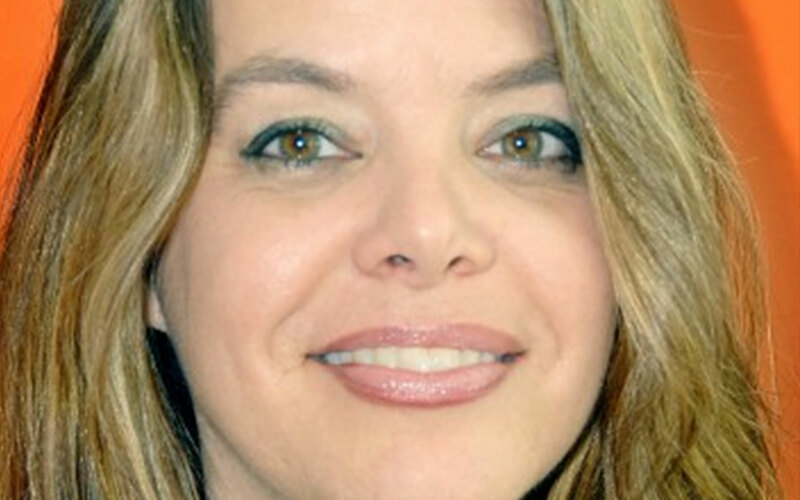 Christina Bechhold Russ: Principal, Samsung NEXT Ventures. Co-Founder and Managing Director, Empire Angels. WSJ and Inc.com contributor, TEDx speaker, 2016 New York Business Journal Woman of Influence. Faye Sahai: An innovation catalyst (AIG, Blue Shield, Deloitte, Schwab, Kaiser Permanente). Faye serves on the Board of Ayogo Health, Ascend NCal, Berger, CMCAA and Autonomous ID. 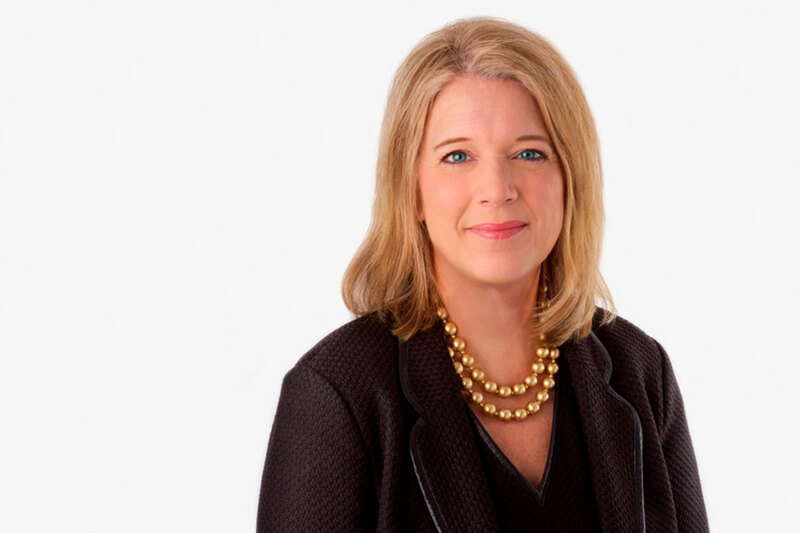 Faye was recognized by Insurance Business Hot 100, Elite Women, Ascend Leadership, Computer World Top 100 and Innovation Enterprise Best Ideation. 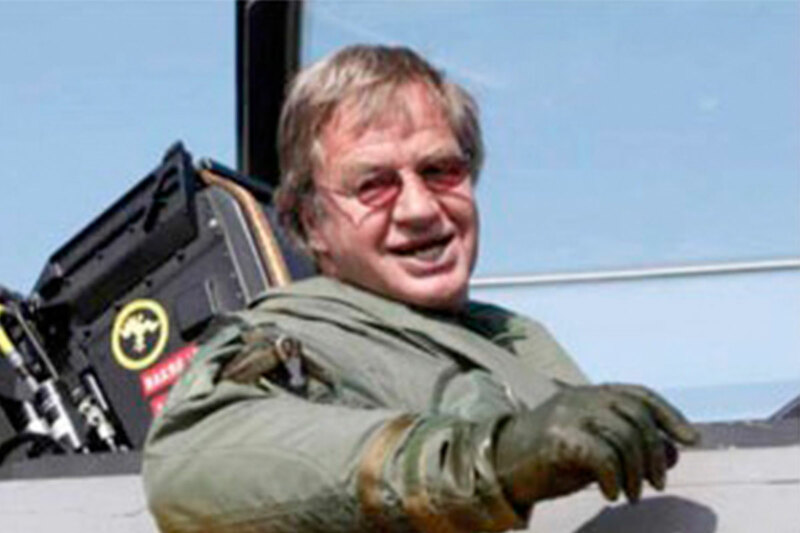 Al Bunshaft: Senior Vice President of Global Affairs, Americas, for Dassault Systèmes. Responsible for strategic business development, academic sales and relationships, and coordination of the company’s involvement in institutes and consortia. 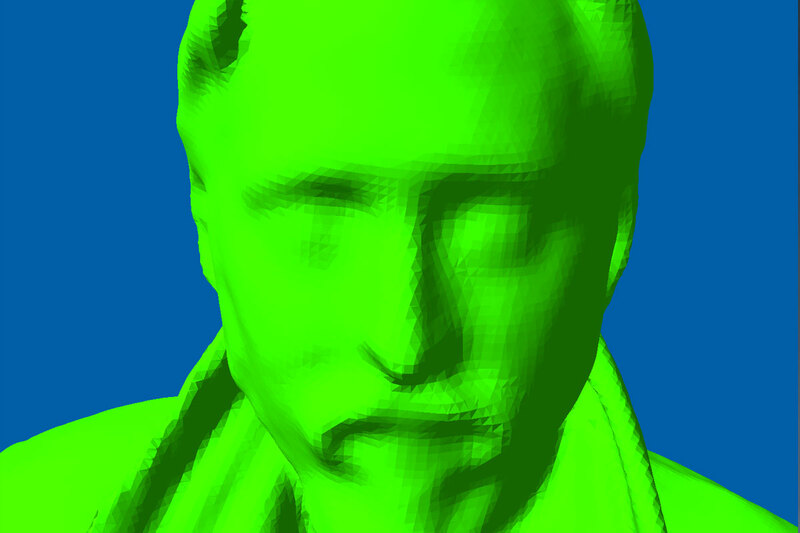 Expert in 3D visualization, computer graphics and engineering-related software tools. Dassault Systèmes’ leading voice for STEM education in the United States. Despina Papadopoulos: Named one of New York City’s “Six most interesting women in tech” by the New York Observer, an innovator, teacher and entrepreneur combining systems thinking and introducing innovation at the intersection of social structure, technological possibility and being human. 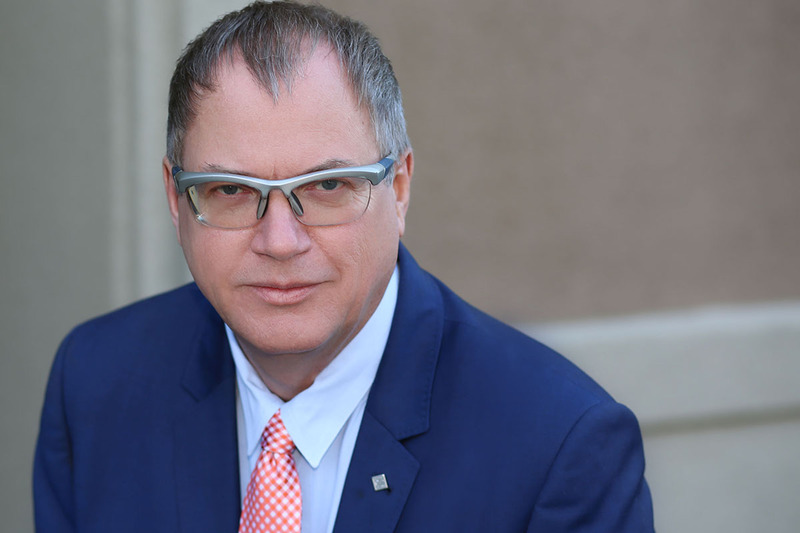 Mike Janke: One of the top cyber security innovators in the world. Founder of 7 companies. Former member of SEAL Team 6. 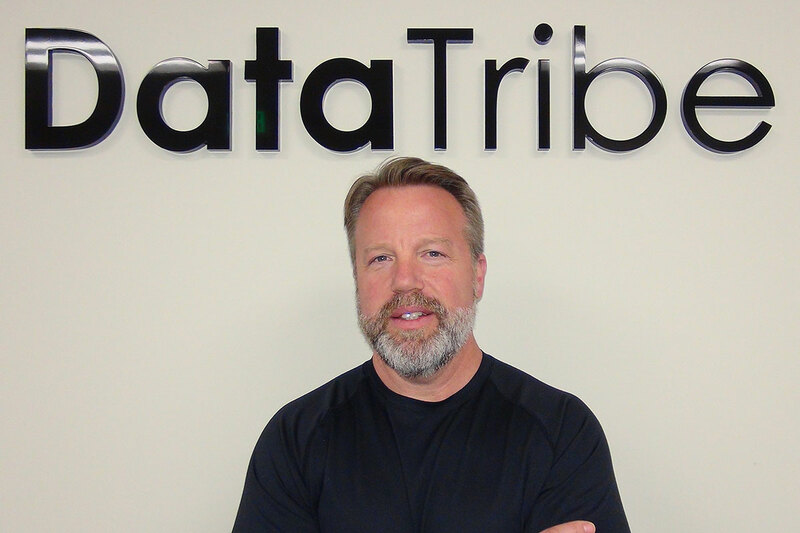 Co-founder of the top cyber security startup-studio in the U.S -DataTribe. 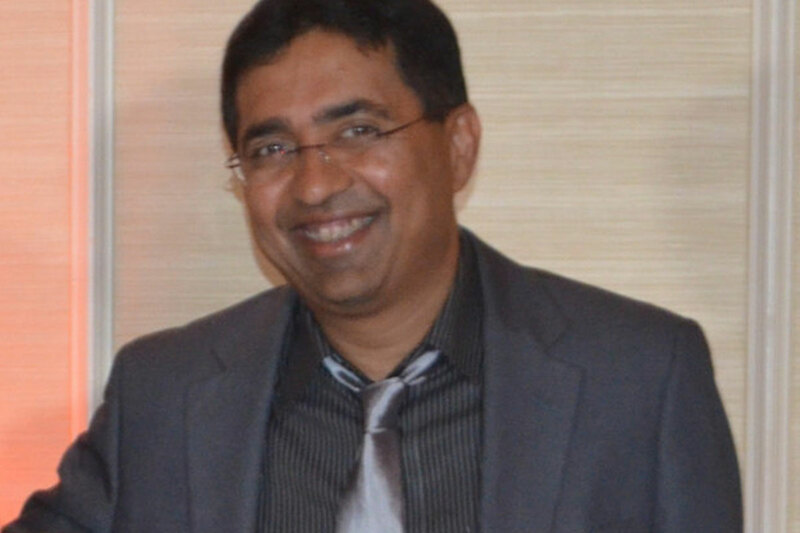 Mahesh Lingareddy: Founder & Chairman of SMARTRON, building India’s first global technology OEM brand as well as a robust product ecosystem around TronX, its AI-IoT platform. Credited with co-founding and successfully exiting of Microprocessor (CPU) startup Soft Machines to Intel for $300M-$500M, a rare sighting in the semiconductor industry. Lila Tretikov: Acclaimed transformational leader by Forbes, Times, San Francisco Chronicle in harnessing innovations for global impact. Accelerator of global clean energy to deliver on promises of the Paris Agreement as CEO of Terrawatt. Former CEO of Wikipedia, democratizing knowledge in 300+ languages for billions. 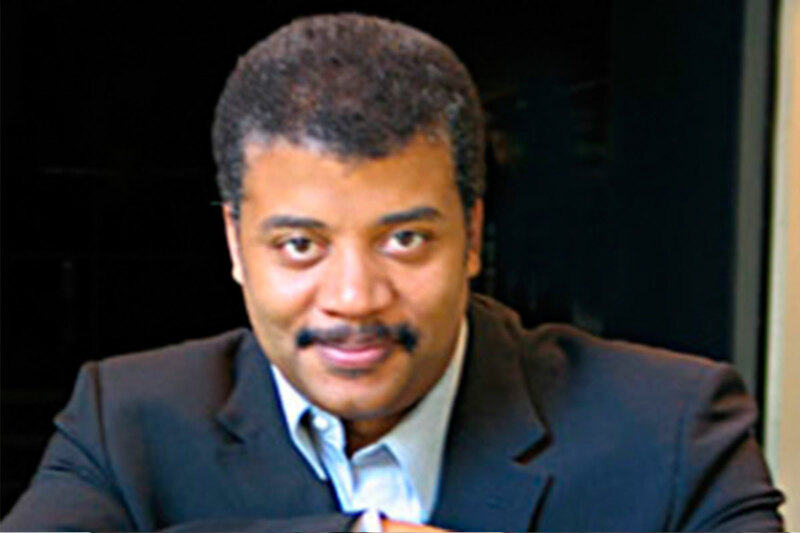 Author of numerous articles and inventions. Karen Marquez: MIT young innovator, Singularity University alumni, and global entrepreneur in residence in University of Massachusetts. Co-founder of Robbie.ai, a deep learning company assessing and predicting human emotion and behavior with computer vision, focused on analyzing wild data in real environments in real time. 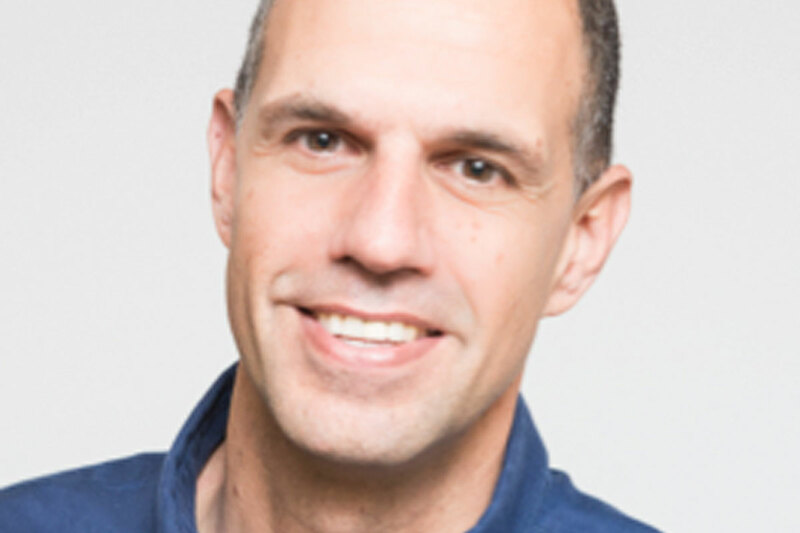 Paolo Gaudiano: Paolo is Executive Director of the CUNY Quantitative Studies of Diversity and Inclusion initiative, Founder of the “diversity tech” company Aleria, and board member of Icosystem and Concentric. 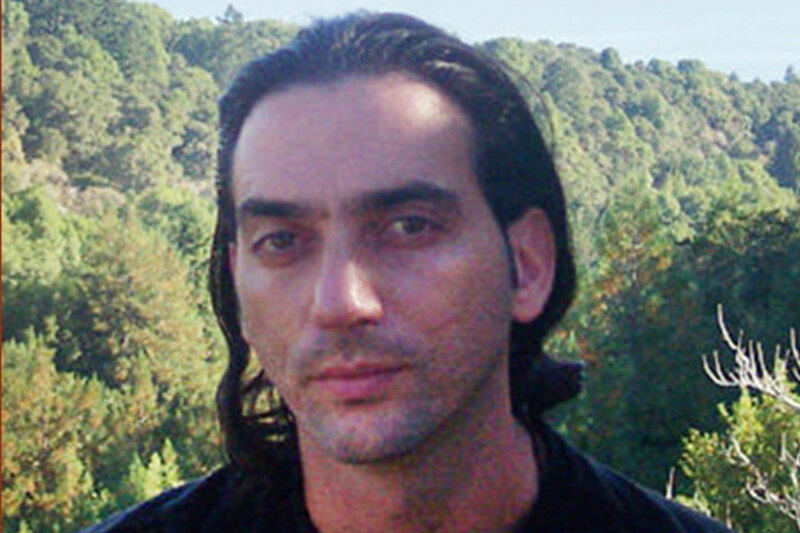 Paolo’s career began at Boston University, where he reached the rank of tenured associate professor. He contributes regularly to Forbes and CIO.com. Ryan Rzepecki: Founder and CEO of Brooklyn-based Social Bicycles (SoBi), a technology company focused on developing innovative solutions for urban transportation. 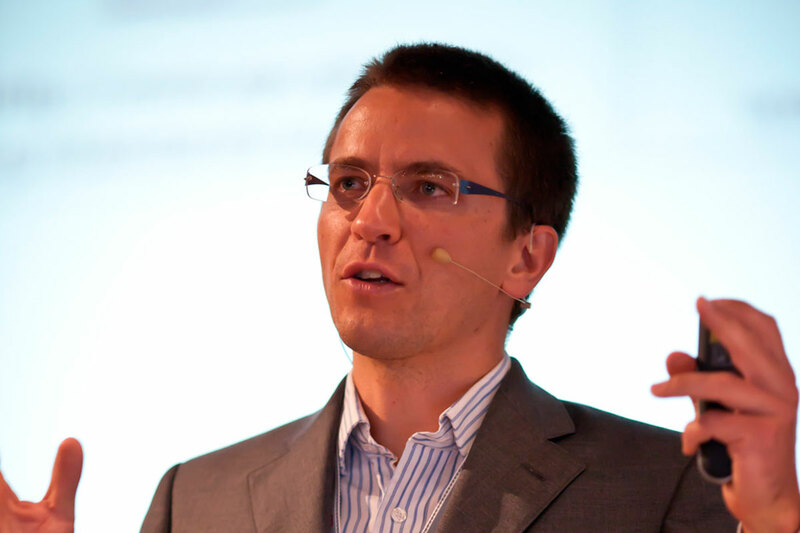 Rzepecki founded the company in 2010 after identifying a need for smarter ways to publicly share bicycles. Social Bicycles is the fastest growing bike share company in the U.S., and pioneered the use of smartbike technology for bike sharing. 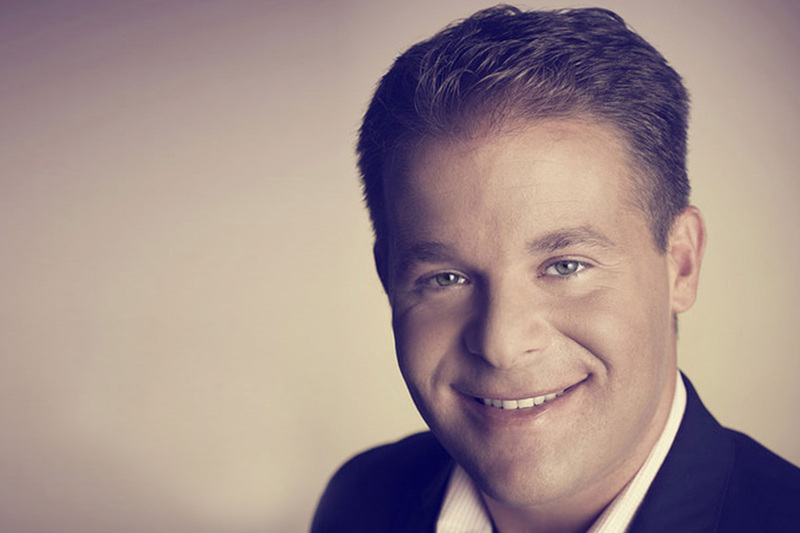 Alexander Jutkowitz: One of the leading evangelists for the shift in marketing and communications toward impactful, integrated content marketing and strategy. 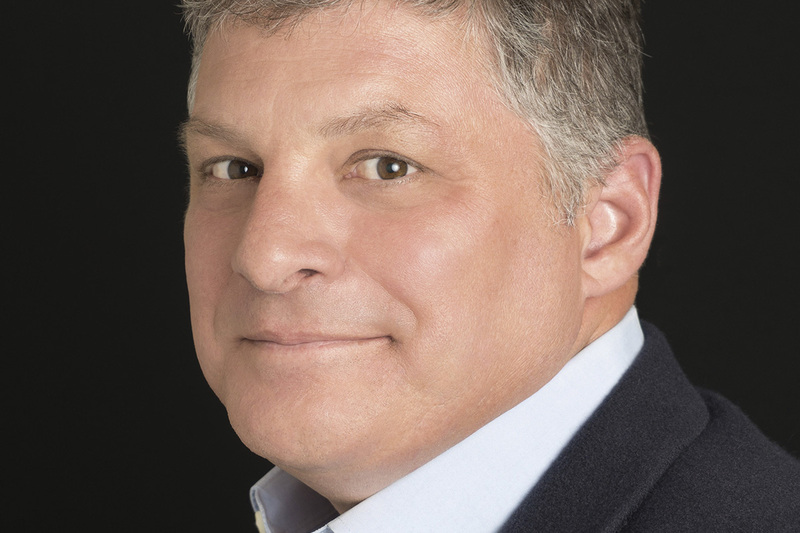 Jutkowitz has more than 20 years of experience in a wide array of disciplines – from political pollster to digital architect, brand strategist to content creator. 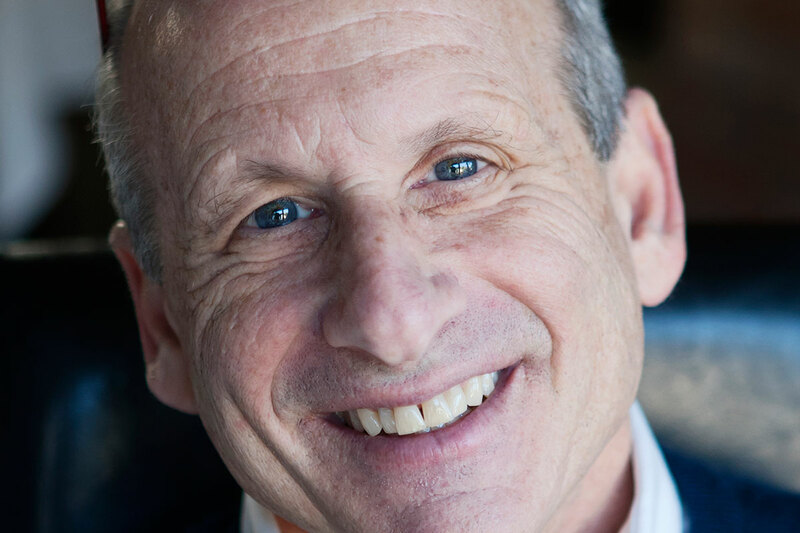 He has worked in more than 30 countries leading communication, marketing and political campaigns for multinational corporations, not-for-profits, prominent individuals, governments, and trade associations. He co-founded GROUP SJR and Truffle Pig, and is the author of The Strategic Storyteller. 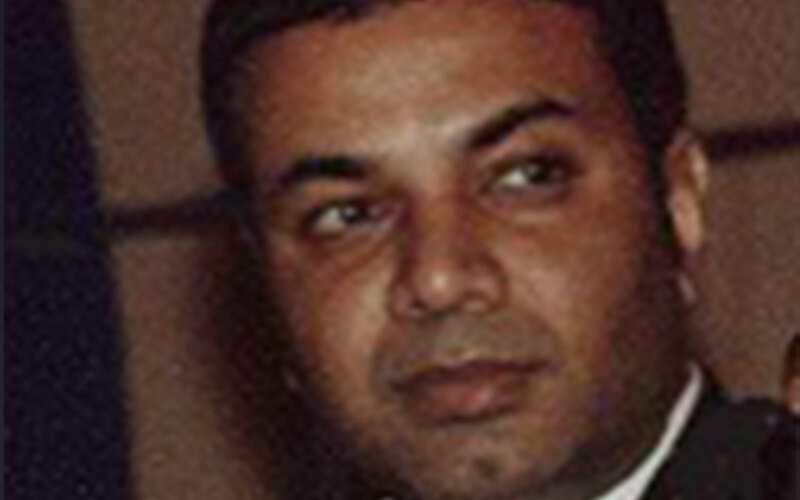 Muhammad Zaman: Howard Hughes Medical Institute Professor of Biomedical Engineering at Boston University. 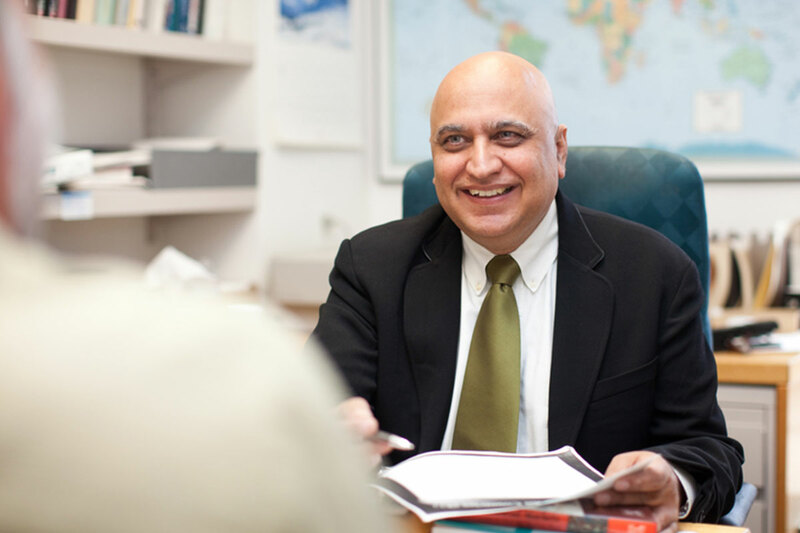 Prof. Zaman’s current research is focused on developing robust technologies to improve the quality of medicines, and tackle anti-microbial resistance, in developing countries. PharmaChk, a technology developed by Prof. Zaman and his team, is one such solution that has been named by Scientific American among the top 10 technologies that will change the world. Robbee Minicola: Demonstrated experience across media & technology delivering Big Data solutions impacting EBITDA performance. 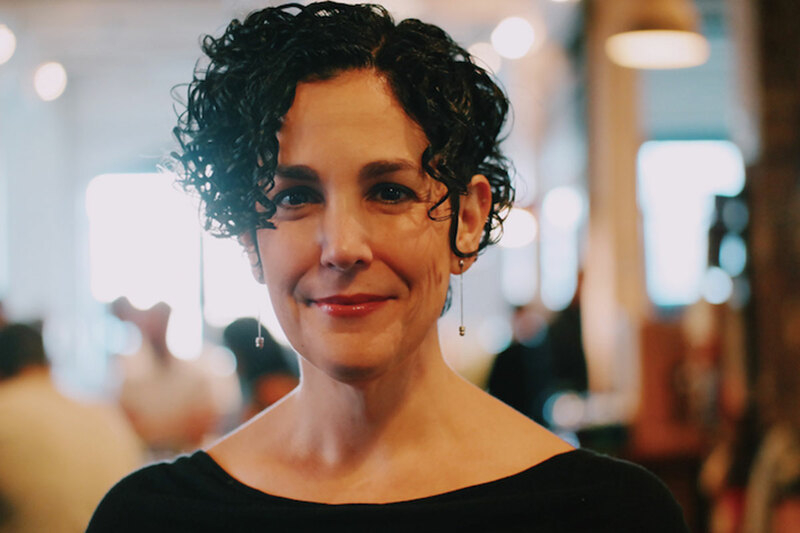 As President of Wunderman Seattle and Global Lead of Wunderman AI Services, Robbee and her team convert traditional communications in a typing and reading world to conversational technologies in a speaking and listening world. 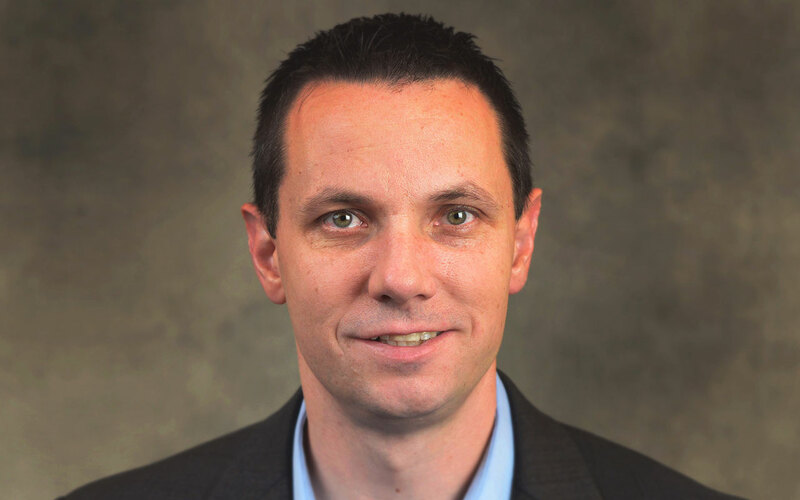 Chris Wolf: CTO for Global Field & Industry, representing VMware’s technical vision to customers, partners and analysts. Previously advised CIOs, architects and directors on private and hybrid cloud computing, server virtualization, and desktop transformation strategies. 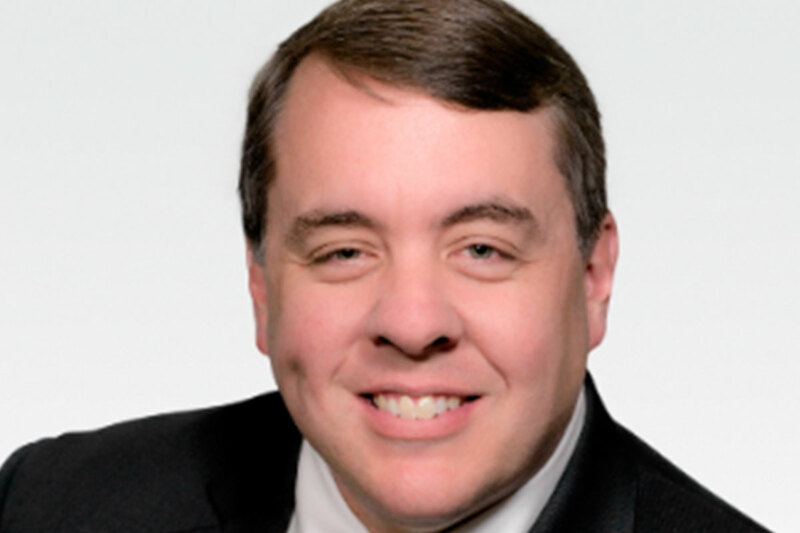 Earlier in his career, a nationally recognized independent virtualization consultant. Started his IT and technology career in the US Marines. 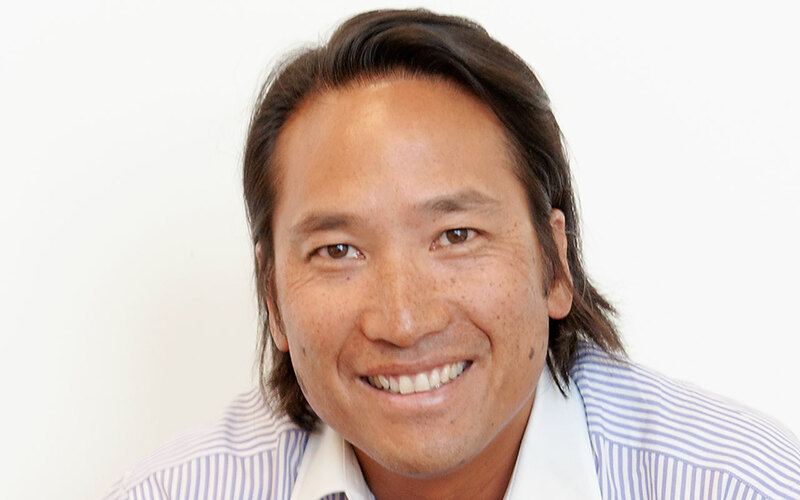 Peter Y. Lee: CEO of RapidMiner, the #1-ranked Data Science Platform, and Executive Chairman of the Board of Attivio, undisputed leader in Cognitive Search & Insights. Obsessed with transformational entrepreneurs. Board advisor to pioneers capitalizing on AI. Deploying $250M+ of growth capital in Africa through the Advanced Finance & Investment Group. 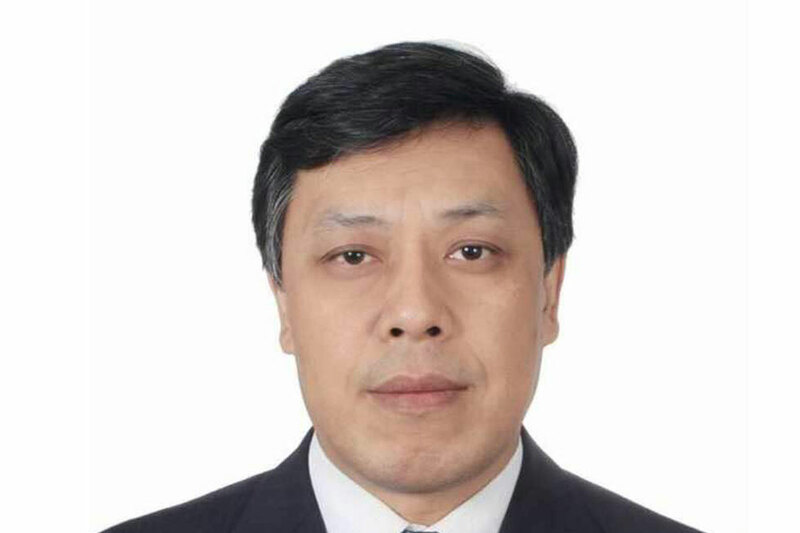 Jiaofeng Pan: Since 1998, professor PAN has fully involved in the strategic research, planning, major reform measures formulation and implementation of CAS landmark initiatives, such as “Knowledge Innovation Program”, “Innovation 2020”, and “Pioneer Action Plan”. He initiated and organized the serial strategic research: “China’s S&T Roadmaps to 2050”, and the serial reports totaling 35 volumes. 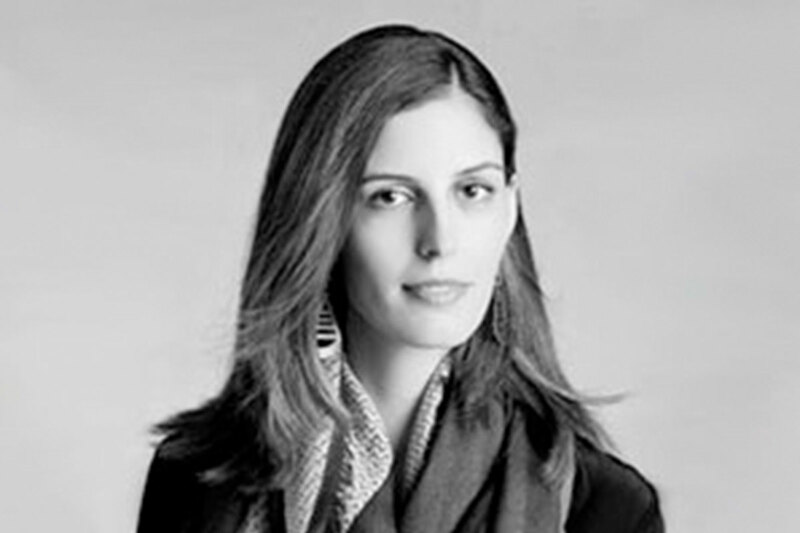 Gabrielle Haddad: Visionary entrepreneur, lawyer and fellow at MIT. Committed to making the world more transparent by using cutting edge technology to highlight and incentivize good and ethical corporate behavior. Bill Ogle: Extraordinary and dynamic leader. CEO of industry leading mobile offer platform and redemption network. Former Global CMO of Motorola Mobility, CMO of Samsung Telecommunications America and CMO of Pizza Hut. Compelling Brand builder and team builder in multiple categories and countries. 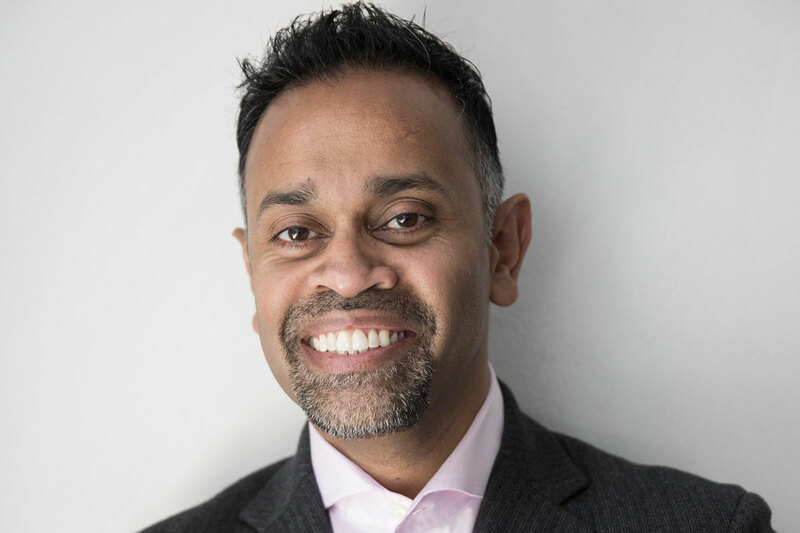 Kunal Sood has 20 years of experience in organizational leadership specializing in strategy, innovation, and experience design. Kunal is a TED Resident and Founder and CXO of the X Fellows. 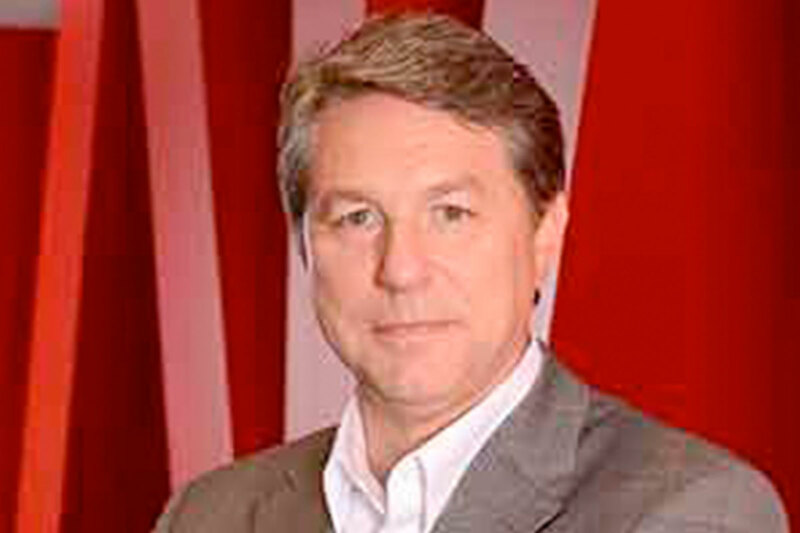 He is also the Co-founder of the X-Impact Group and Novus. Kunal has led high impact teams in multinational companies globally on projects that range from working in the slums of Mumbai to collaborating with the United Nations. He is deeply passionate about leveraging exponential technologies to solve our global grand challenges, and has an unwavering commitment to making a positive impact on humanity. 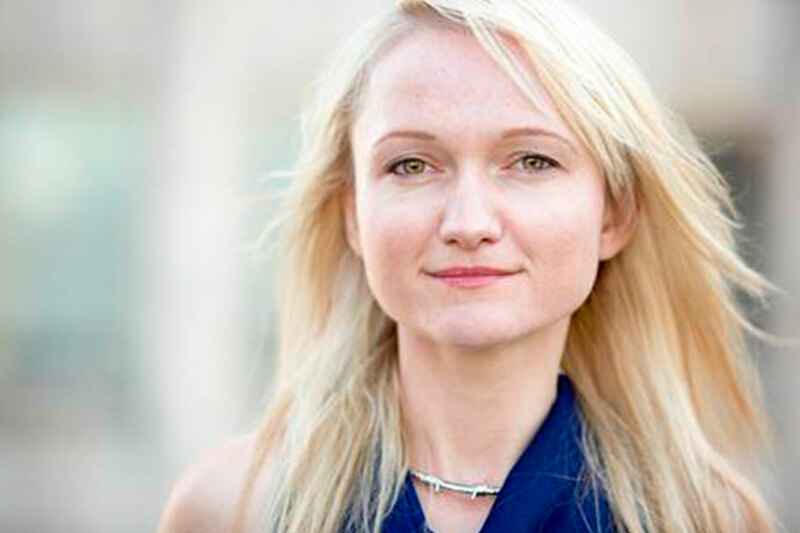 Maja Vujinovic: Maja is the Chief Innovation Officer of Emerging Tech & Future of Work at General Electric. She designs strategic direction for GE’s emerging tech group including AI, Machine Learning & Natural Language Processing & spearheads Blockchain development. Starting in mobile tech in Africa, Maja has driven economic impact through infrastructure development across 5 continents. She is a thought leader on agile business processes and rise of digital identity. Lindy Li: a first-generation immigrant, is the youngest female Congressional candidate in U.S. history. 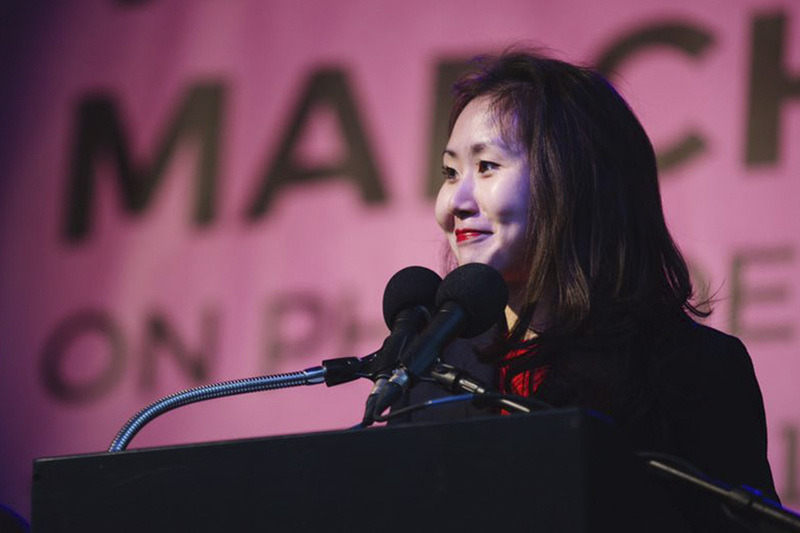 She serves as Women’s Co-Chair and Regional Chair at the Democratic National Committee, Ethnic Council, in addition to serving as the youngest Trustee of the American Association for Cancer Research in its 110-year history. 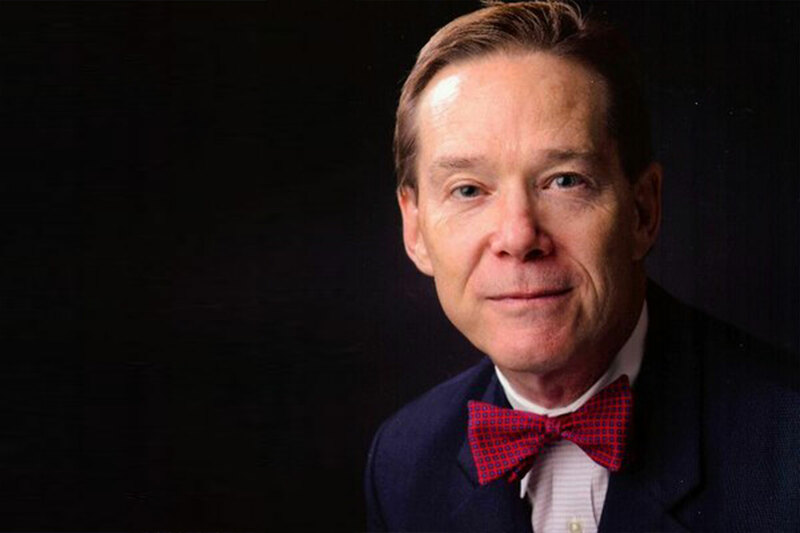 Dr. David Albert: Saving lives through invention, secured his first patent while a medical student at Duke University, now holds 36 patents and counting. 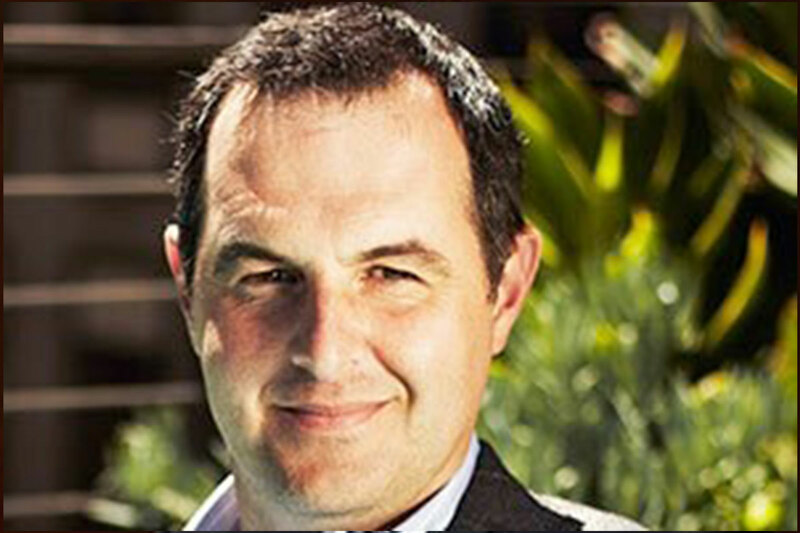 Founder, Chief Medical Officer and Chief Science Officer of AliveCor. World-class med-tech developer. Over thirty years of experience changing medicine. 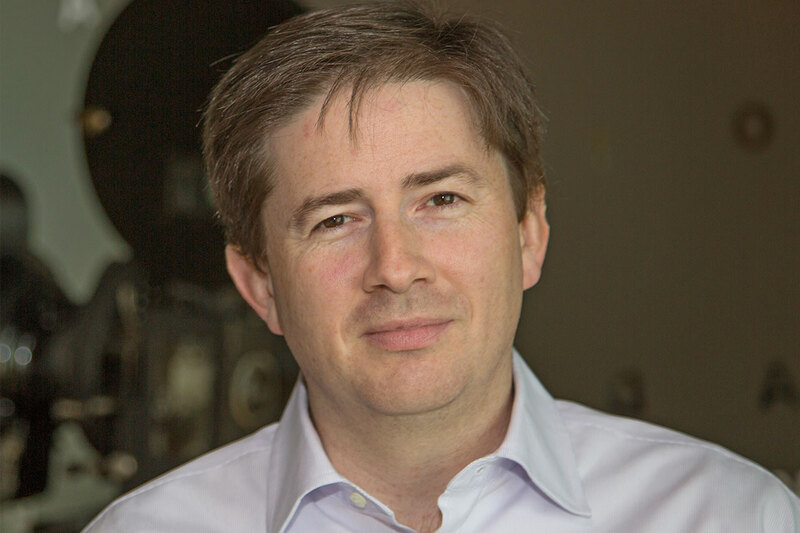 Mark Michalski: Executive Director of the MGH & BWH Center for Clinical Data Science, which is focused on the application and translation of novel machine learning techniques into clinical practice. 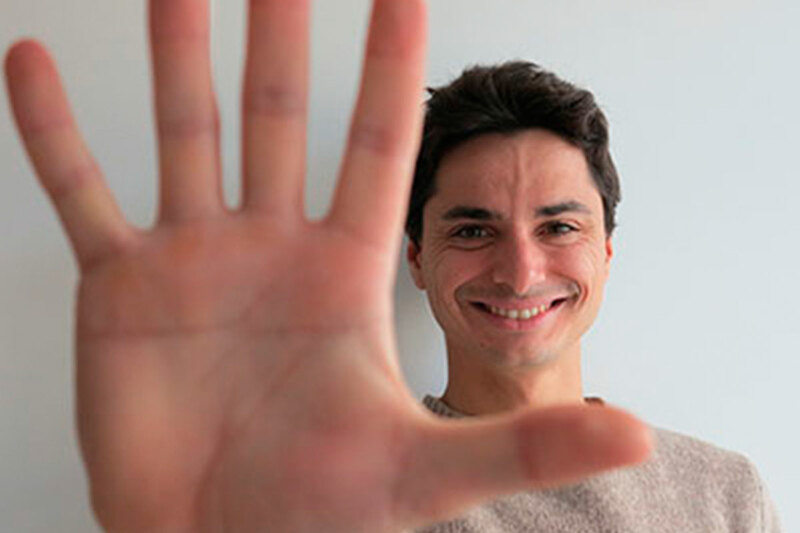 Eric Vezzoli: The youngest entrepreneur at 28 awarded by the European Commission for outstanding research applied to entrepreneurship in at the MSCA 2017 prizes. Co-Funder and CEO of Go Touch VR. He is one of the most cited young Haptic Scientist in the world, and he published 23 scientific papers and deposed 5 patents. 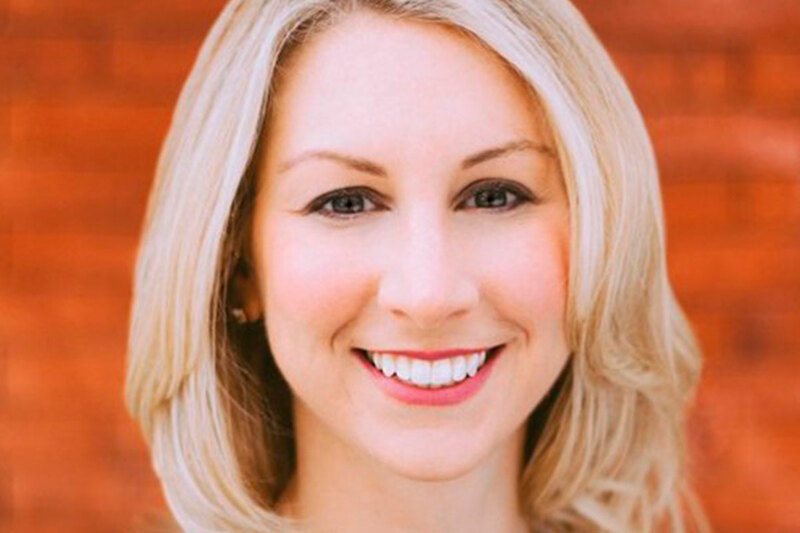 Colleen Costello: Co-founder & CEO of healthcare company Vital Vio, this innovative entrepreneur introduced WhiteLightDisinfection™ technology to combat the pervasive and costly challenge of germs. 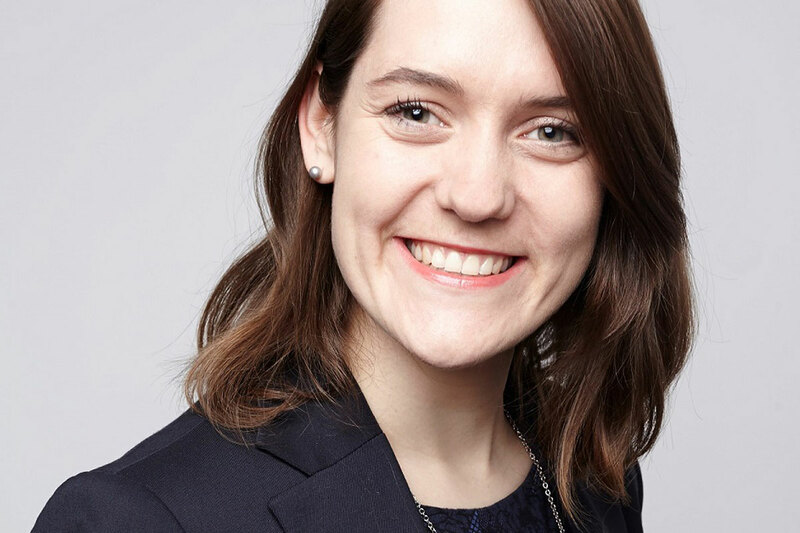 Reinventing disinfection, along with previous clinical research at Mount Sinai and Weill Cornell, has put this biomedical engineer on elite lists including Forbes 30Under30, and Inc’s 50 Emerging Global Entrepreneurs. 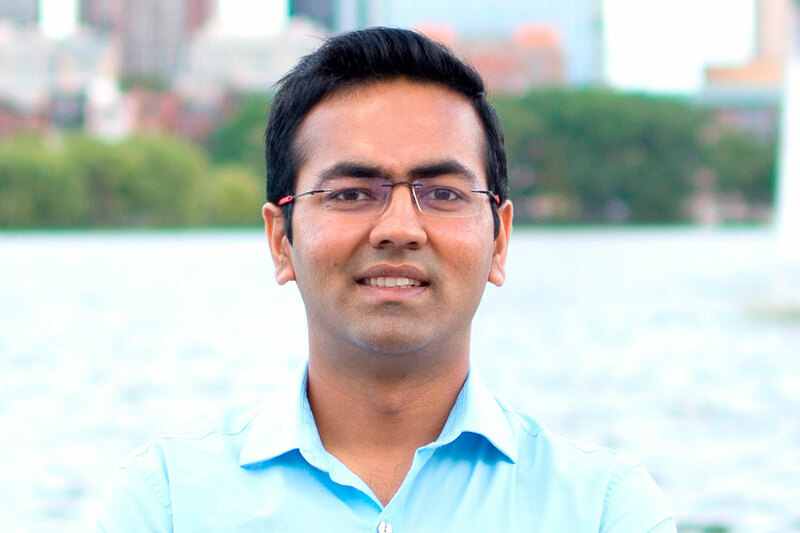 Karthik Dinakar: A computer scientist specializing in machine learning, natural language processing, and human-computer interaction. His Doctoral thesis involved representing human expertise formally within probabilistic graphical models as way of making algorithms learn from both the data as well as human expertise within their inference training loops. 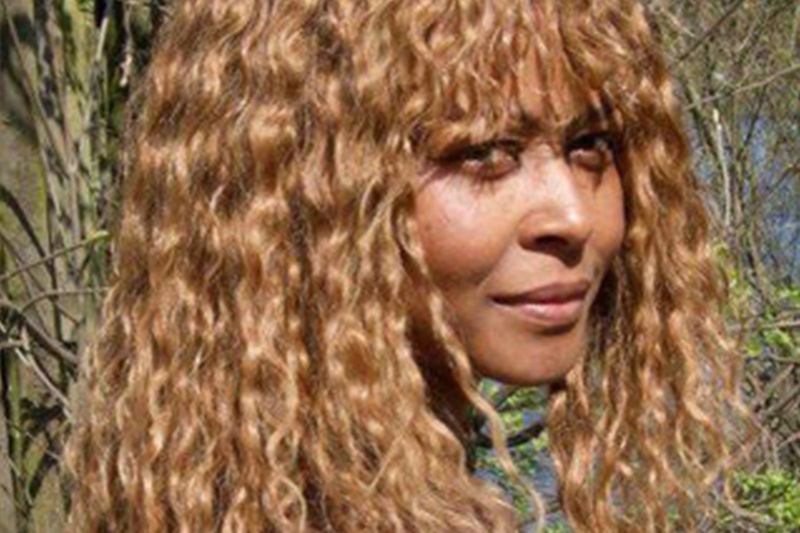 Penelope Jagessar Chaffer: Multi award winning filmmaker, environmentalist and activist and is the first female director of color to be nominated for a British Academy Award. Her TED Talk “The Toxic Baby” has been viewed almost 500,000 times. She lives in New York City. 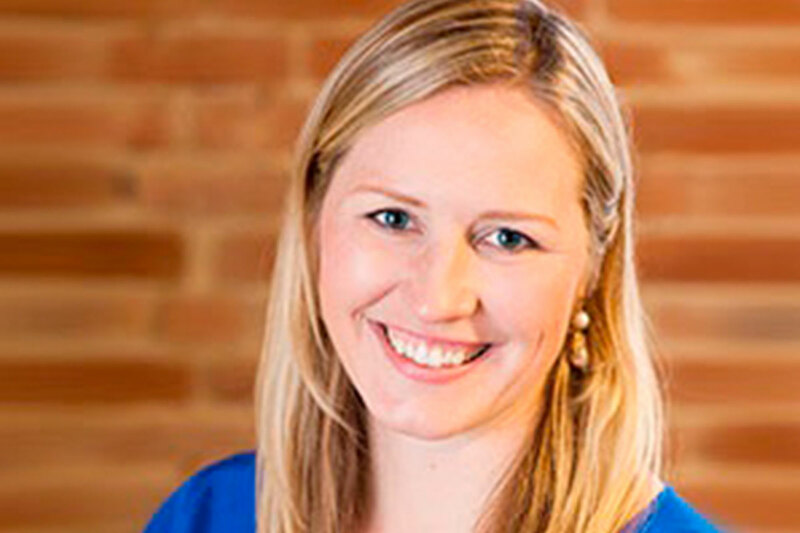 Amy baxter: As a practicing pediatric emergency physician, Dr. Amy Baxter invented the neuromodulation pain relief platform behind Buzzy for shots and VibraCool vibrational cryotherapy. Now full time, she advocates for needle phobia awareness and seeks to uncouple fear from pain. She has spoken at TEDMED and Exponential Medicine, and is a Wall Street Journal “Idea Person” and “Top Women in Tech to Watch”, and 2017 “Top 40 Healthcare Transformer”. 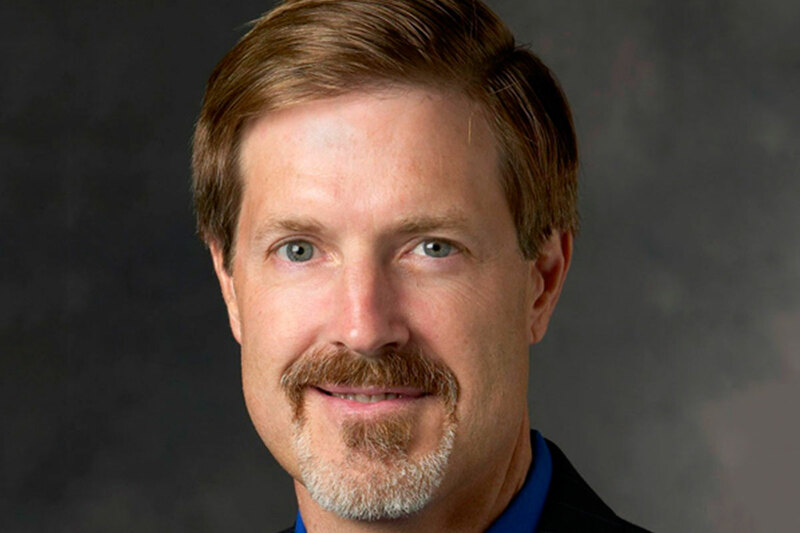 Gary Davis: Chief Consumer Security Evangelist at McAfee, and a foremost authority on digital security trends including the evolving threat landscape, privacy and securing the Internet of Things. 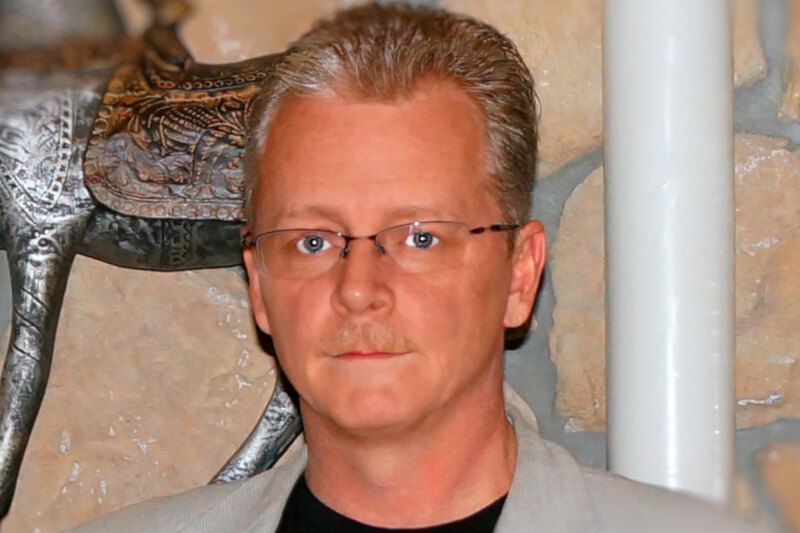 A sought-after speaker and frequent broadcast commentator, Gary provides security education to businesses and consumers by distilling complex security topics into actionable advice. 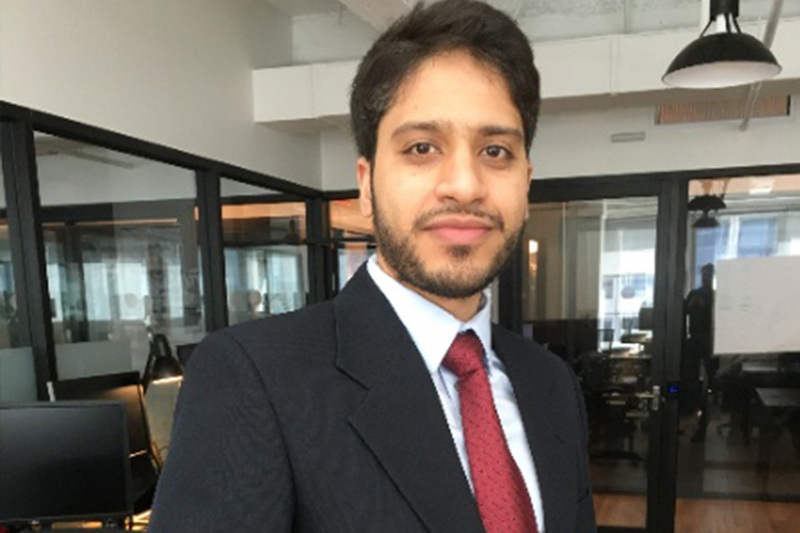 Apurva Mehta: CTO @ UBS Wealth Management – Americas. 20 years in financial services. Passionate about technology, transformation and innovation. 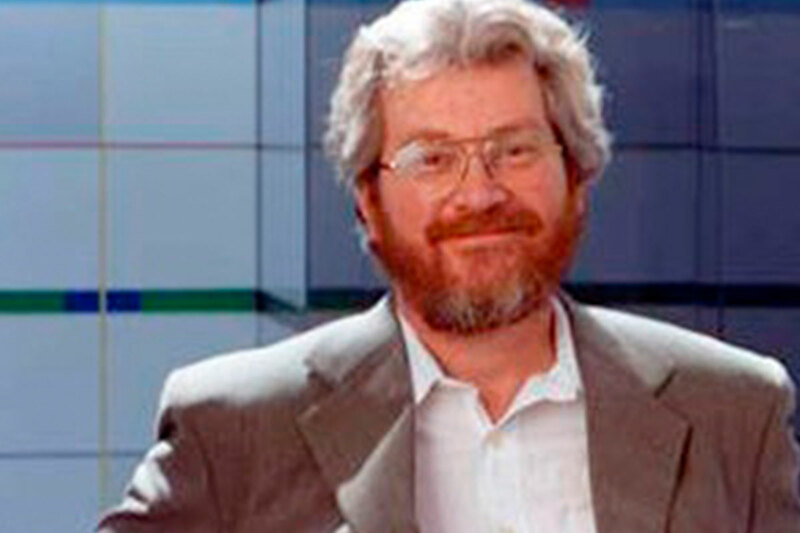 James A. Warren: A computational physicist at the National Institute of Standards and Technology, is Director of the Materials Genome Initiative (MGI) Program. 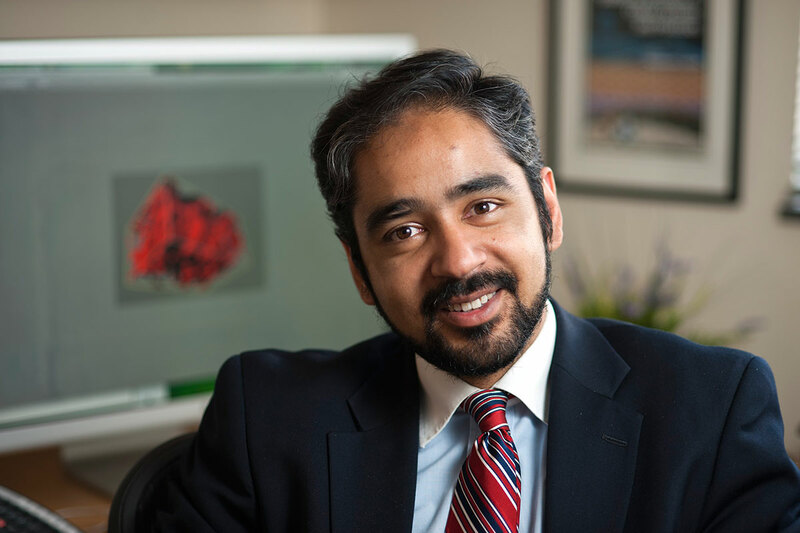 He crafted the MGI with government partners led by the Office of Science Technology Policy, and now coordinates inter-agency efforts accelerating discovery and design of new materials. Prashant Yadav: One of the world’s leading supply chain scientists. Advises dozens of country governments and global agencies on how to improve supply chains for better economic development and population health. A Scholar at Harvard Medical School and Supply Chain Strategy Leader at the Bill & Melinda Gates Foundation. Lisa La Bonte: Lisa has envisioned and delivered socio-economic results in emerging markets having created hundreds of programs, forums, competitions, and venture models for entrepreneurs, investors, and youth under Executive Order of the White House and through financial support of the U.S. Dept. of Commerce, World Bank, U.S. Dept. of State, Royal families, and MNCs. 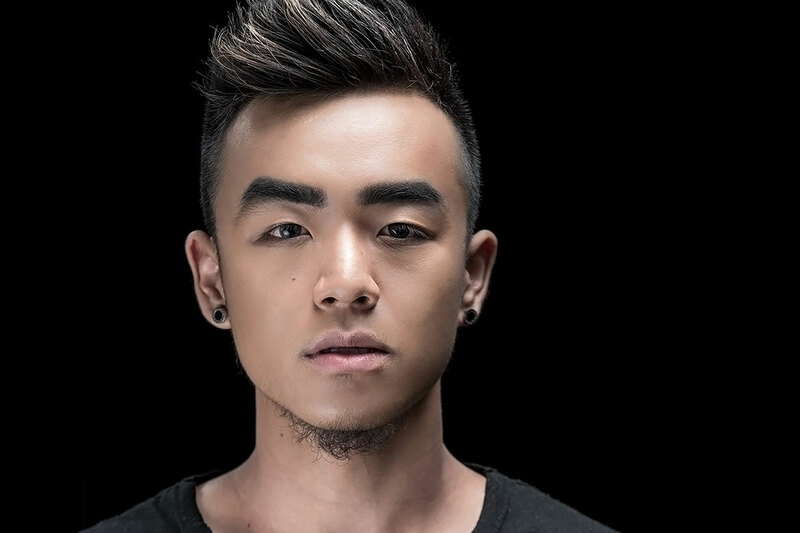 Jason Yuan: Maker behind viral Apple Music redesign. Current RISD graphic design student, former Northwestern thespian. Witnessing stories and designing for better endings. Alex Jaimes: Scientist (AI, Machine Learning), innovator, speaker, engineering executive, and startup advisor (Columbia Ph.D., 100+ publications, patents, 4k+ citations), worked in 8 cities in 6 continents (DigitalOcean, Yahoo, Telefónica, IDIAP-EPFL, FujiXerox, IBM TJ Watson, Siemens, and AT&T Bell Labs), avid traveler (80+ countries), artist (photo, performance, new media). 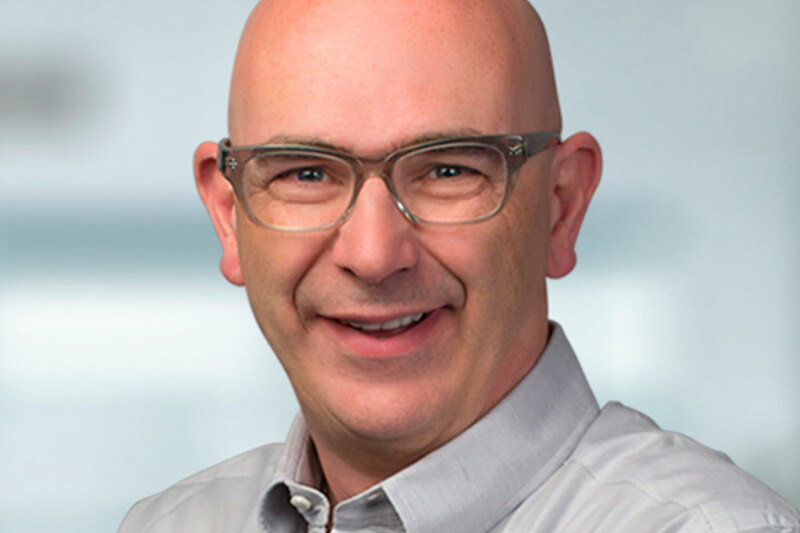 Roland Weiss: Group Research Portfolio Manager at ABB, driving innovation in all core technologies, ranging from materials research to IoT systems, from sensing to artificial intelligence, control, and protection. Kick-started ABB’s digital unit, brought industrial software solutions to various markets, e.g. power generation and robot automation. 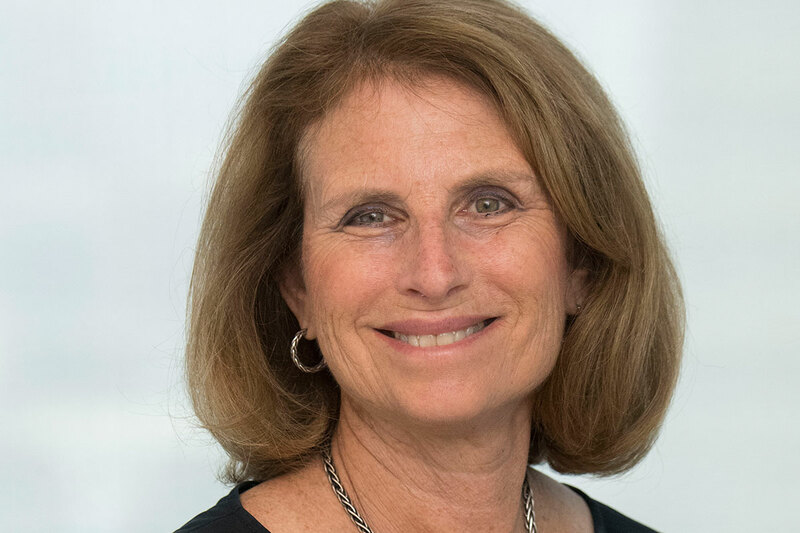 Lorraine Hariton: Lorraine has 25 years in senior level positions in Silicon Valley including CEO of two start-ups before being appointed by President Obama as Special Representative for Commercial and Business Affairs at the US Department of State. Currently she is SVP of Global Partnerships for the New York Academy of Sciences working on STEM education and sustainability. 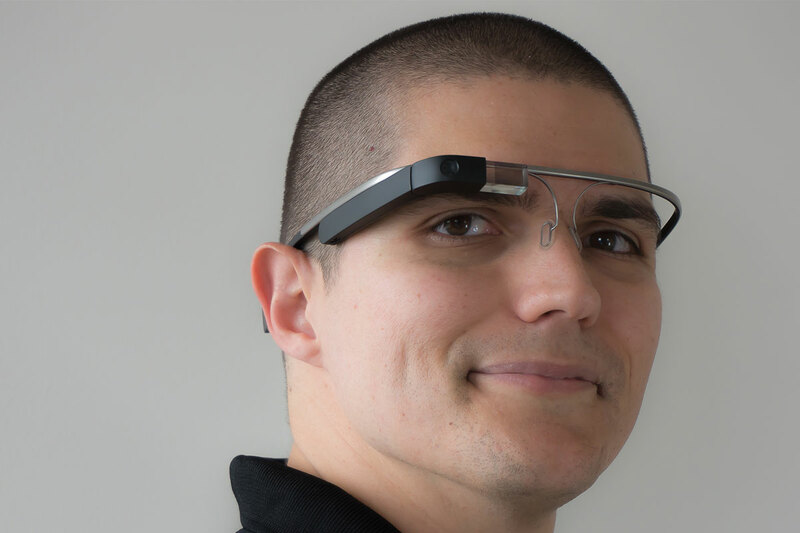 Julian Reyes: Julian is currently the project lead on Mars 2030, a collaboration between NASA, MIT, and Fusion to develop a scientifically accurate VR simulation of a future human mission to Mars. Julian is also Director of Technology at III Points Music and Technology Festival in Miami. His focus is on developing educational and informative virtual, augmented, and mixed reality experiences that utilize physical and digital means to push the medium forward. 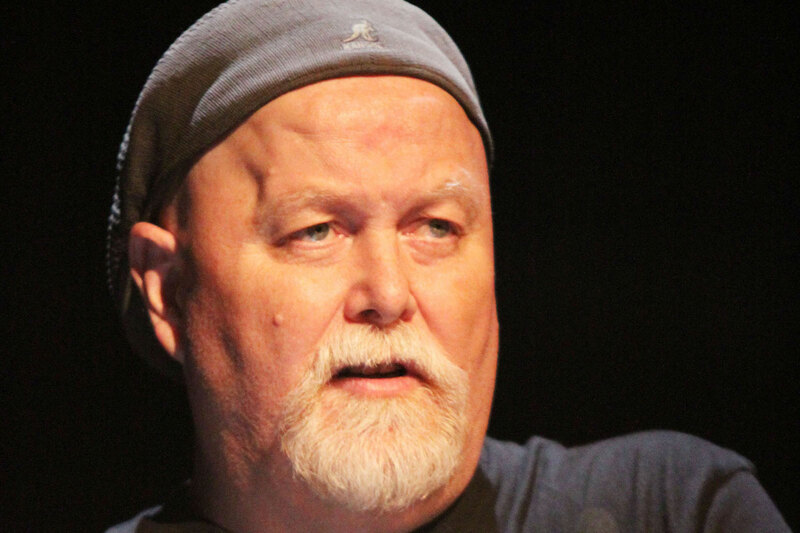 Terry Moore: Terry is the Founder and Director of the Radius Foundation, which seeks new ways of exploring and understanding dissimilar conceptual systems or paradigms. He is retired from his own consulting firm, which focused on corporate strategy, marketing strategy, and new product development. 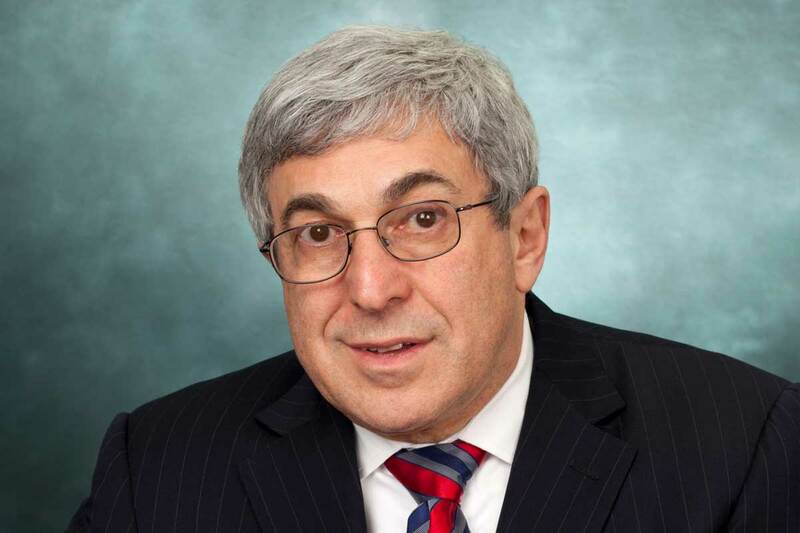 He now serves on several university and medical research boards. 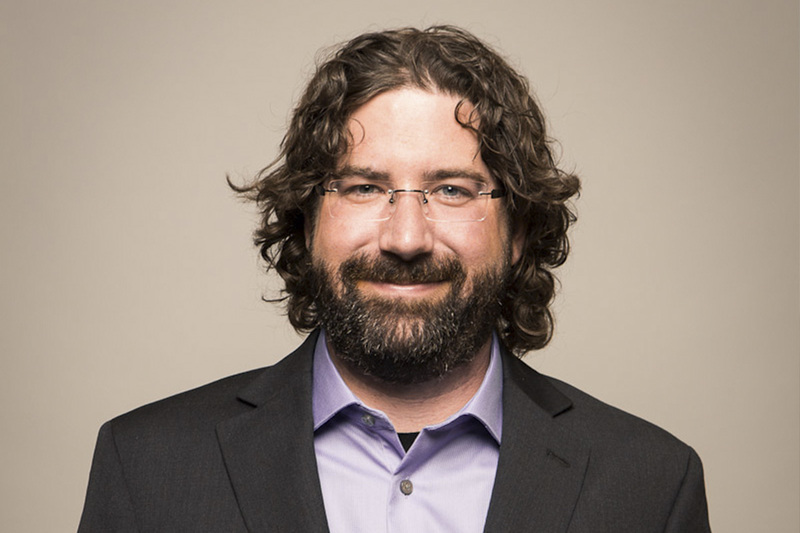 Nate Heasley: Executive Director, All Good Work Foundation, which connects social impact organizations to donated seats in coworking spaces and business centers, and provides other resources to create a more impactful global community of social entrepreneurs. Nate is also the founder of Goodnik, a community based skills exchange platform that promotes social impact. Nate spent most of his career in the nonprofit or the technology sectors, and is passionate about the intersection between them. 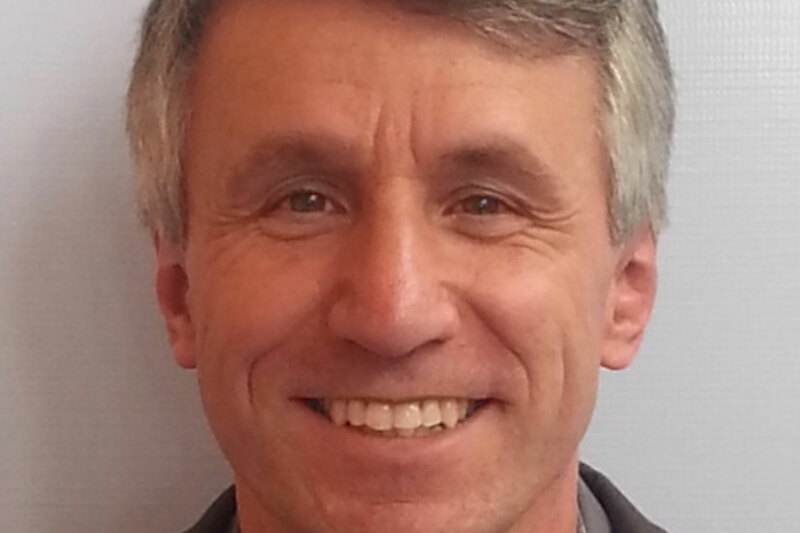 Gilles Bergeron: Gilles (PhD, Cornell) spent 27 years in international development covering food security, undernutrition and agriculture/nutrition linkages. A former Director at the Food and Nutrition Technical Assistance project and researcher at the International Food Policy Research Institute, his work was published in The Lancet, Advances in Nutrition and the Journal of Development Studies. Jeffrey Schweitzer: Former Army Communications Expert. Created Software Defined Perimeter (SDP) at Internet Scale. Often referred to as the ‘Jack Bauer’ of the organization for his uncanny ability to solve impossible missions. Originator of the phrase “Re-Defining the Art of the Possible”. 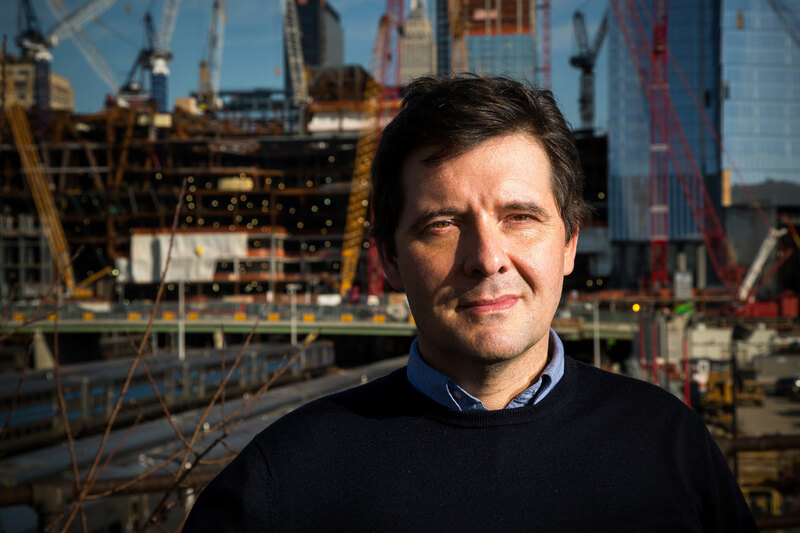 Rodrigo Nino: As CEO and Founder of Prodigy Network, Rodrigo is revolutionizing both the commercial real estate and crowdfunding industries by being the first to meld the two worlds in the United States.With this model, Nino has raised more than $410 million from 6,500 investors (from 29 countries and 26 US states) and is currently developing commercial real estate projects in Bogota and Manhattan with a projected value of more than $750 million.Nino believes that crowd funding will democratize commercial real estate by providing a new asset class for individuals, revolutionizing the industry. Andrea Jones-Rooy: Social scientist, standup comedian, circus performer (trapeze, fire, contortion). Currently Quantitative Researcher for FiveThirtyEight, as well as Founder and President of the Moss Institute for Social Science and Complexity, an organization for social science research and communication. Formerly professor of political science at NYU Shanghai and Carnegie Mellon University. 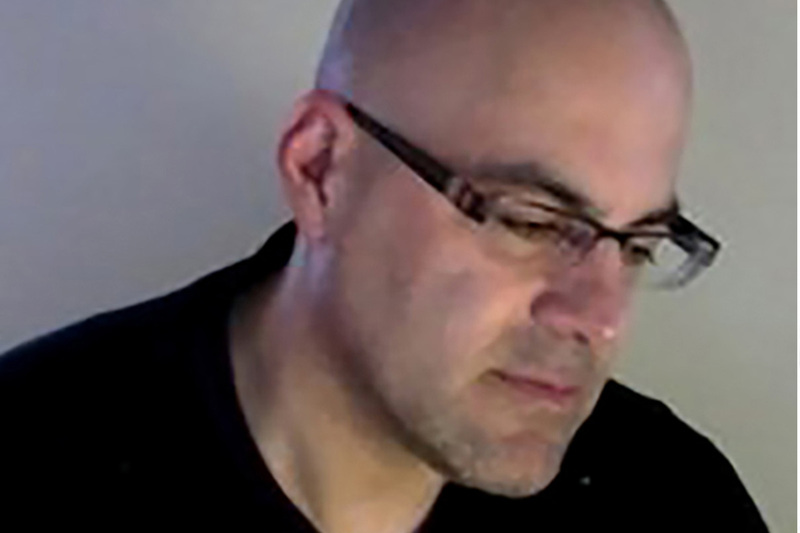 Paul Pangaro: Entrepreneur, Interaction Designer, Educator. Chair of MFA Interaction Design at College for Creative Studies, Detroit. 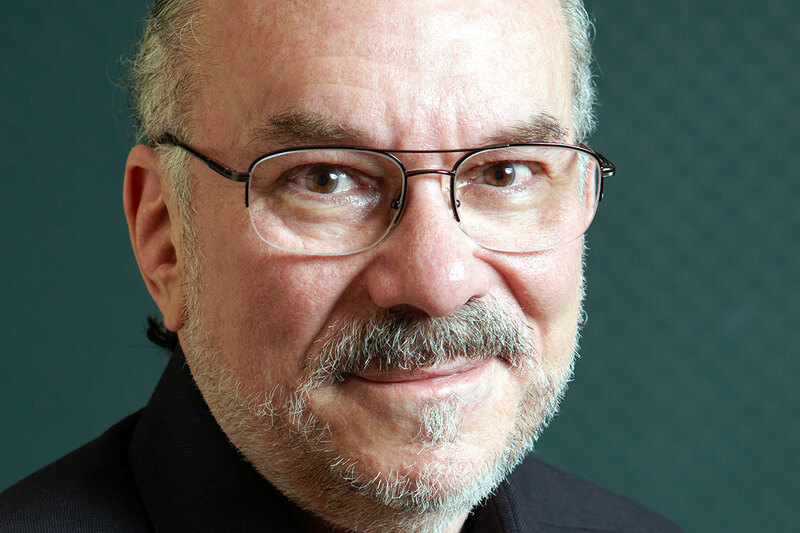 He has founded software startups (General Cybernetics, Idealab’s Snap.com), future-casted (Nokia, Samsung, Intellectual Ventures), designed innovation processes (DuPont, Ogilvy), and lectured worldwide on cybernetics, design, and conversation. Richard Boly: Boated down the Amazon. Solo cycled 12,000 miles through America’s back roads. Former career diplomat. Built and ran a shrimp hatchery in costal Ecuador. Helped launch the original Apple Macintosh computer. Conceived and launched the Global Entrepreneurship Program. Degrees from Stanford and UCSD. Now runs the boutique ideas agency, Beaurichly. 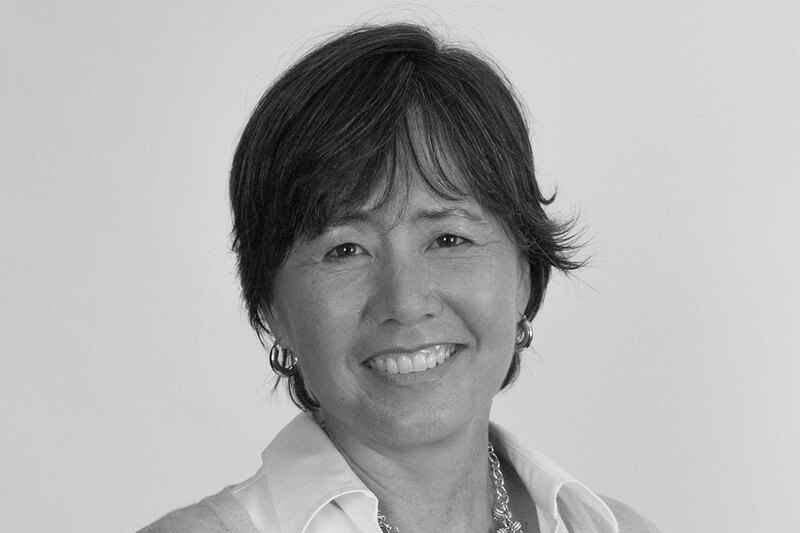 Ting Shih: Founder of ClickMedix, award-winning mHealth platform conceived at MIT to enable health organizations to help more patients. Spearheaded mHealth deployments in 18 countries (US included), and serves 350,000+ patients by empowering health workers, nurses, pharmacists, and physicians to use mHealth technologies. Ting was named Toyota Mother of Invention in 2015. 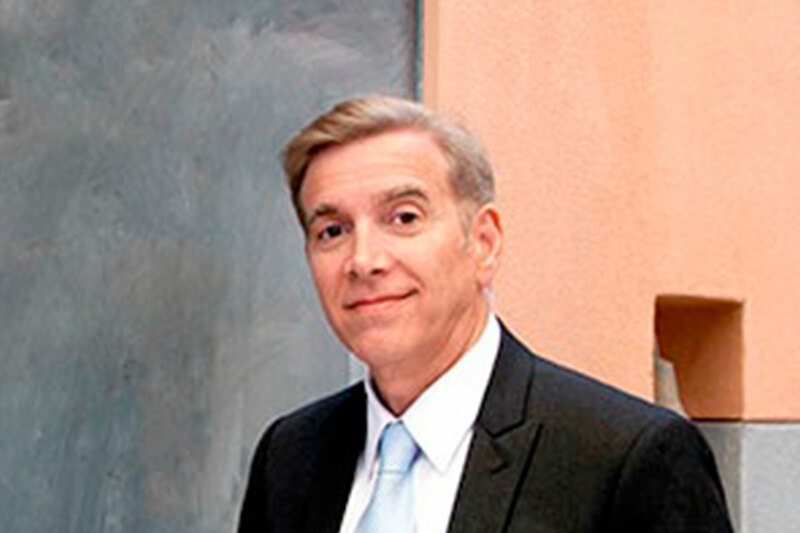 David Helfenbein: Strategic communication and public affairs expert focused on branding, crisis communication and government relations. 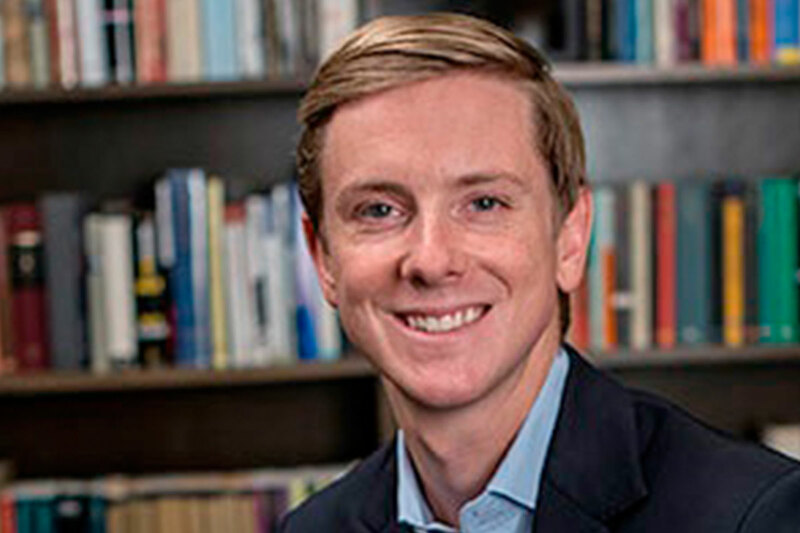 Under President Obama, David was appointed Social Media Coordinator for Secretary of State Hillary Clinton and Special Assistant to the Secretary in the Office of White House Liaison, both at the U.S. Department of State. 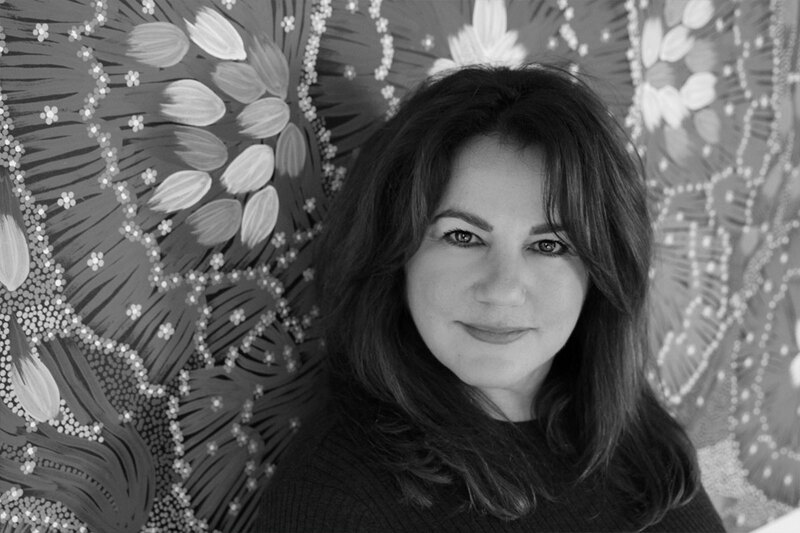 Elif M. Gokcigdem: Founder of Empathy-building Through Museums Initiative. Author of Fostering Empathy Through Museums. Cross-industries connector, creative problem-solver, art historian and museums thought leader. Committed to creating fertile grounds of empathy to inspire positive behavior change and compassionate worldviews that value all of humanity and the planet. Joshua Klein: Hacker who started breaking into university networks when he was nine and ended up consulting to folks at the FBI and CIA, Microsoft and Google. Along the way he’s written three books, hosted a TV Series on Nat Geo and one for Discovery, and written and participated in innumerable articles and interviews. From TED to Davos, IBM to Nike, VC funds to that startup down the street, Josh has addressed audiences of thousands and dozens. He currently lives in NYC where he advises startups and multinationals alike on how to use the cutting edge of technology to maximize innovation. 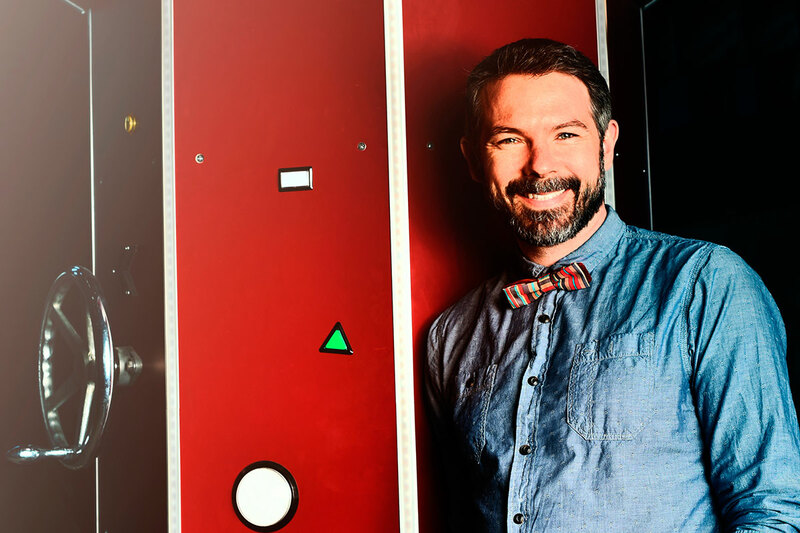 Brent Bushnell: CEO of Two Bit Circus, an LA-based experiential entertainment company building a network of micro-amusement parks. The company regularly serves as immersive entertainment partners for brands and has created VR attractions for the NFL, NBA, Dave & Buster’s and the Olympics. Brent was the on-camera inventor for the ABC show Extreme Makeover: Home Edition. He’s chairman of the non-profit Two Bit Circus Foundation which deploys STEAM-based programs to inspire students about invention. Laura Guido-Clark: Expert in the skin of consumer products – their color, materials and finishes. She was honored as the IIDA Northern California Chapter recipient of the 2014 Leadership Award of Excellence. Laura speaks both nationally and internationally on design and the creative process. In 2011, Laura founded Project Color Corps™, a nonprofit organization dedicated to painting urban neighborhoods with color and pattern that impart positive messages of optimism and hope. David Garrity: Technology Analyst on CNBC and Bloomberg. Mobile Money and ICT expert consultant for The World Bank Group. Former CFO of two publicly traded companies. 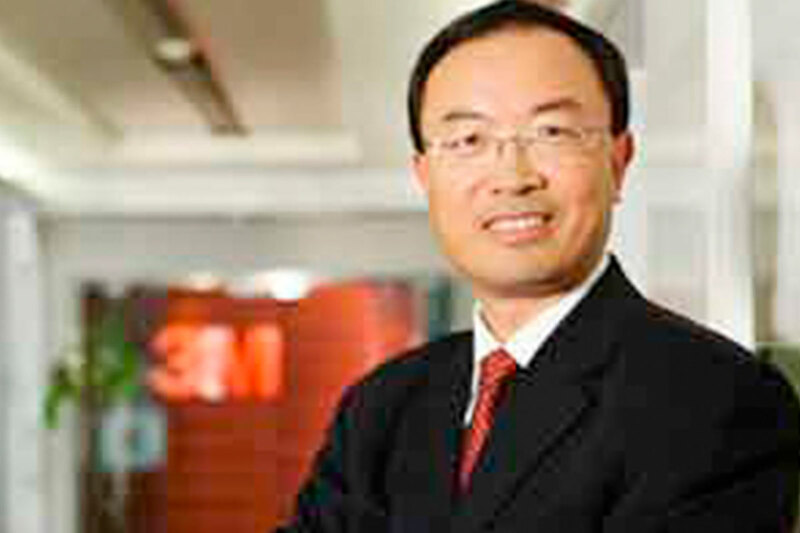 Qing Cao: Pioneer in nanomaterials and their integration into nanoscale electronic devices. 50 patents as IBM Master Inventor. 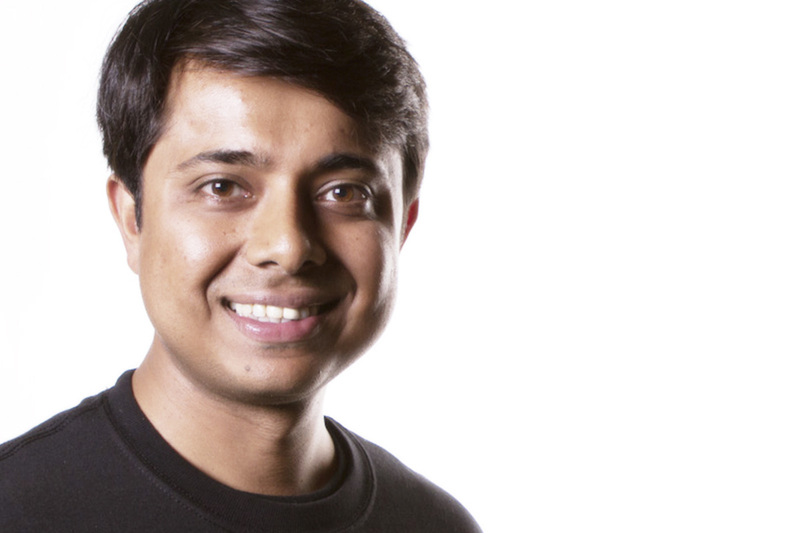 One of the top thirty-five global innovators under the age of thirty-five in 2016. One of the most awarded young scientists in IBM Research. 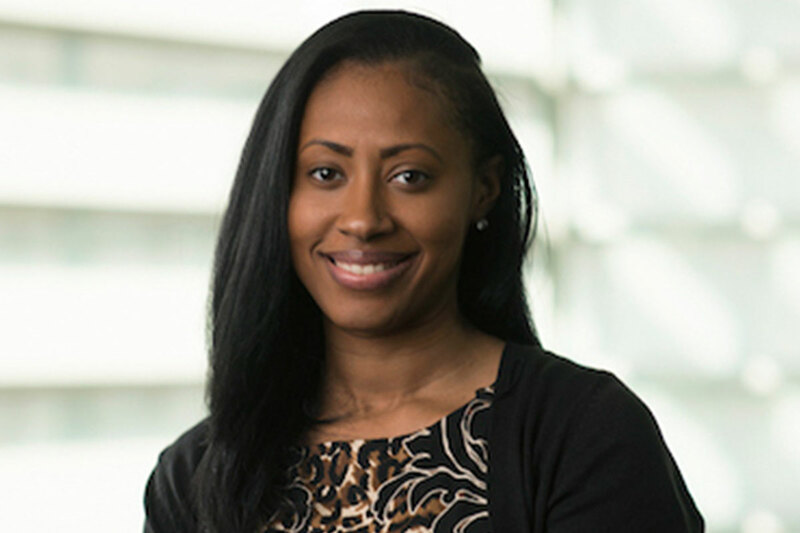 Jamira Burley: Champion of Change and a Forbes 30 Under 30 Honoree. She has over 10 years of experience working as a community impact consultant, developing and implementing community engagement strategies on a range of issues. 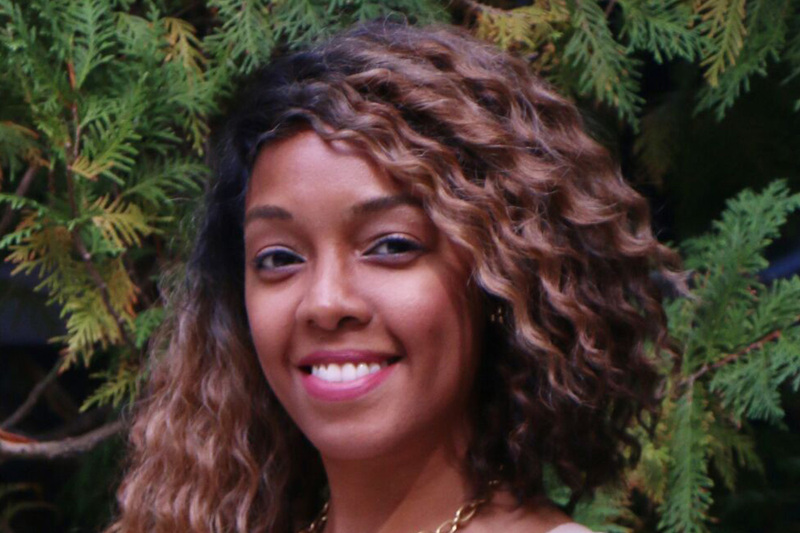 Currently, Jamira is the Head of Youth Engagement and Skills for the Global Business Coalition for Education. Rod Furlan: An artificial intelligence researcher and a serial entrepreneur. Always in search of the next big challenge, his work has pushed the boundaries of several fields including deep learning, quantitative finance and virtual reality. At Lucidscape Inc. he is building a massively distributed real-time computational fabric to power a vast network of interconnected VR worlds populated by autonomous inhabitants. Anurag Maunder: VP of JCI Innovation Garage. Currently he is busy building teams in Silicon Valley and Tel Aviv, Israel in the areas of IoT, AI and Blockchains for Smart Buildings and Robotics Based Services. He is a serial entrepreneur and an accomplished engineering executive. He started his career with prestigious AT&T Labs (Bell Labs). He was the Founder, CTO of Kazeon Systems that was acquired by EMC and the Founder CEO of dLoop that was acquired by Box. 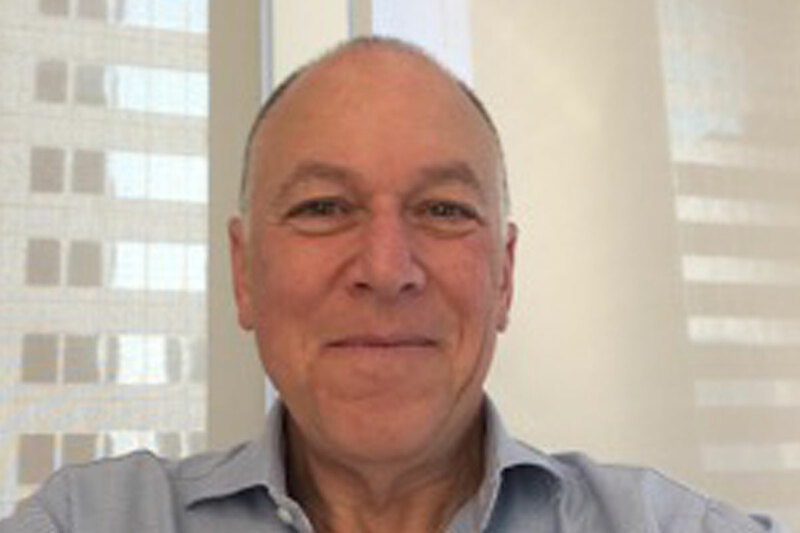 Steve Feiner: Professor of Computer Science at Columbia University, where he directs the Computer Graphics and User Interfaces Lab. His lab has been doing VR, AR and wearable research for over 25 years, designing and evaluating novel 3D interaction and visualization techniques, creating the first outdoor mobile AR system using a see-through head-worn display, and pioneering experimental applications of AR to fields such as tourism, journalism, maintenance, and construction. Steve is lead advisor to Meta, the AR company. 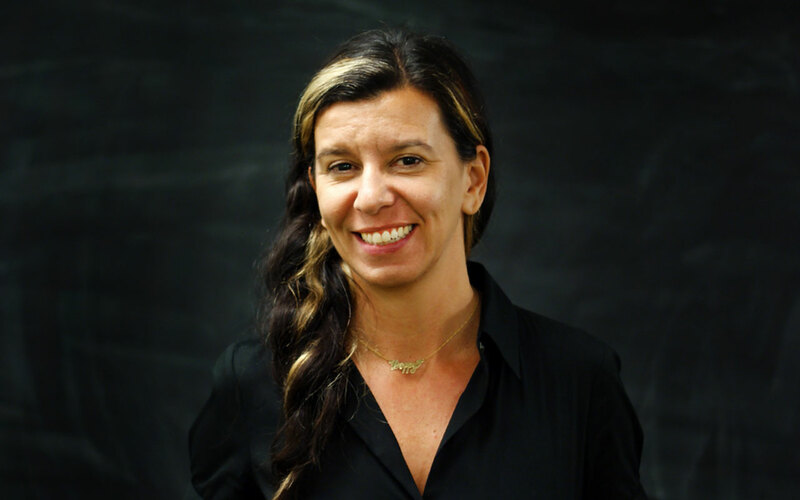 Anezka Sebek: Anezka was best known as a producer of technologically complex visual effects before her current role of teaching in the BFA/MFA Design and Technology Programs. She most recently curated the Immersive Storytelling Symposium (February 2017) and regularly serves on juries for ACM Siggraph and Ars Electronica. 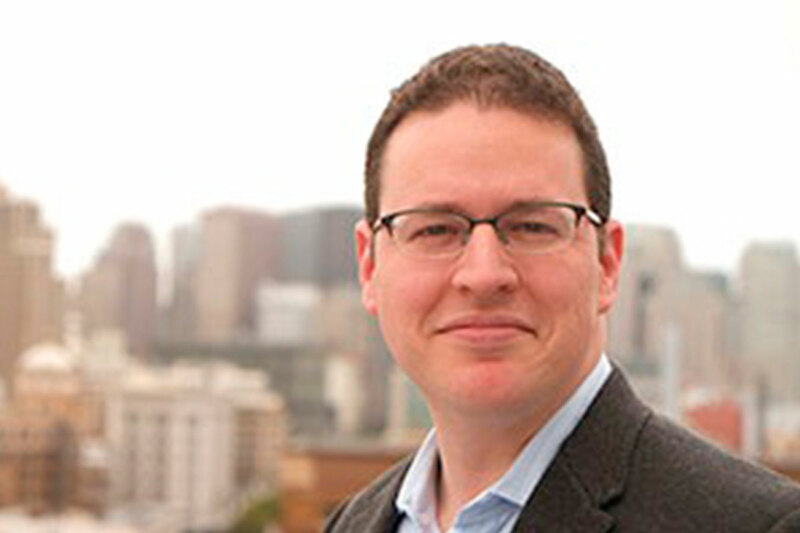 Jeremy Hull: As President of iProspect, US, Jeremy leads iProspect’s strategy, product offerings and client services teams. 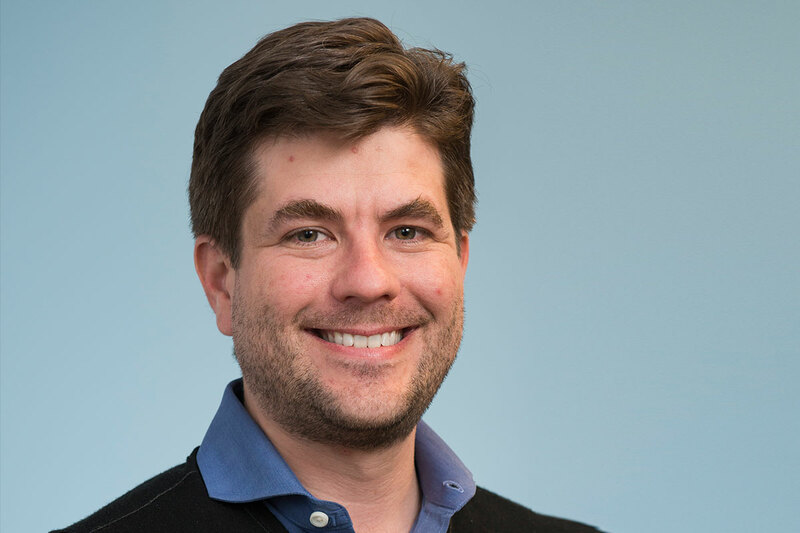 A true visionary, Jeremy builds upon the agency’s strong foundation and core offerings to drive growth and champion the agency as an emerging digital performance powerhouse. 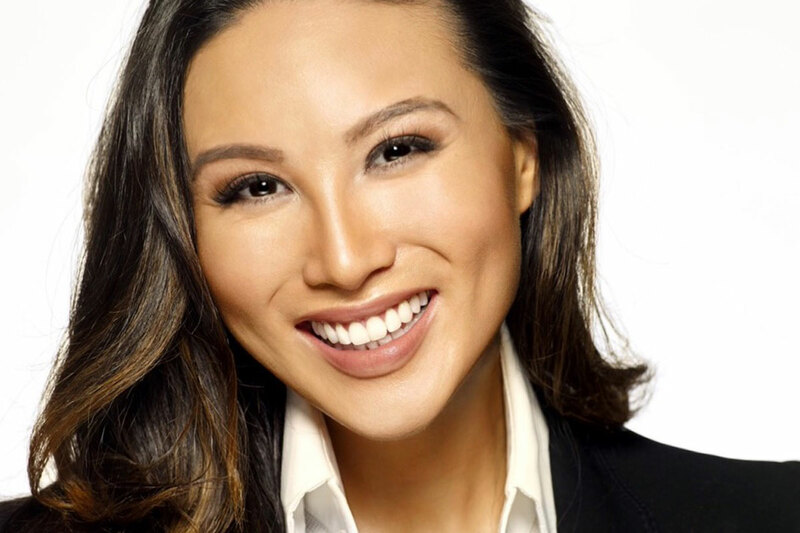 Lisa Wang: Lisa is a serial entrepreneur and Co-Founder of SheWorx, the leading global platform empowering 20,000+ women to build successful companies through actionable business strategies and access to top investors. 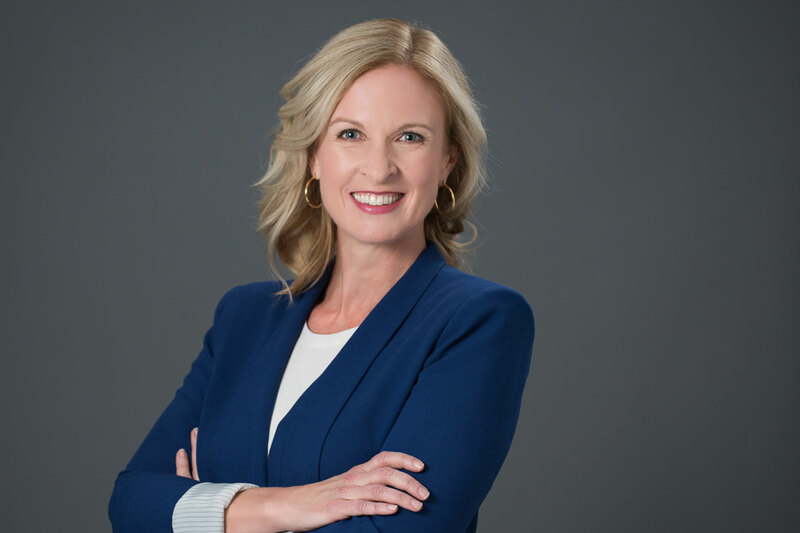 She is driving the movement for gender parity in funding and championing a new model of empathetic leadership focused on compassion and vulnerability. Lisa has been a keynote speaker at top conferences including the World Entrepreneur Forum, CES, IBM Think Leaders, and more. She is a former Olympic level gymnast: 4x USA National Champion and USA Hall of Fame inductee. Lisa is a graduate of Yale University. Rosario Casas Ballesteros: Co-Founder of VR Americas LLC, a virtual and augmented reality company expanding the frontier of immersive technologies in commercial applications and former CEO of Grupo Senseta, Inc., a Silicon Valley company unlocking the potential of information for organizations, by solving highly complex issues in data capture and analytics, opening the door to Actionable Intelligence and analytics through state-of-the-art Big Data, Artificial Intelligence, and Machine Learning technologies. 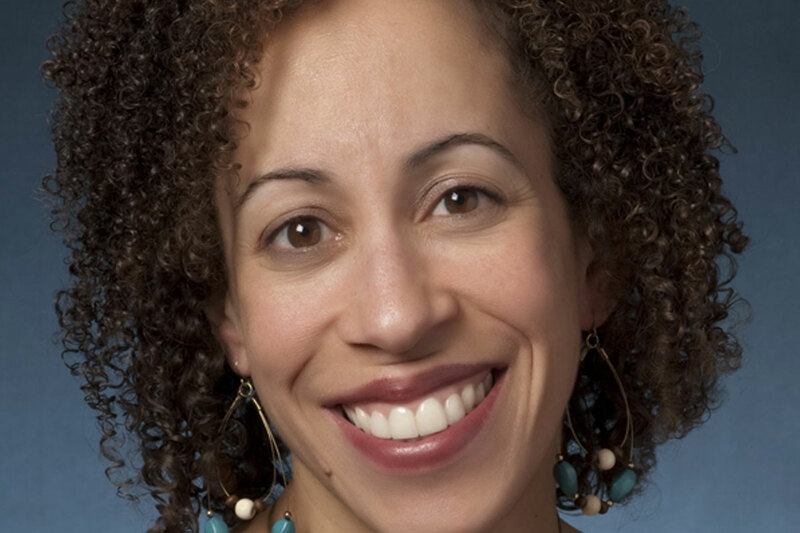 Jennifer Brown: An award-winning entrepreneur, dynamic speaker and diversity and inclusion expert, and author of Inclusion: Diversity, the New Workplace & the Will to Change (2016). She is the founder, president and CEO of Jennifer Brown Consulting (JBC), a strategic leadership and diversity consulting firm, and a highly sought-after expert source on changing demographics, specific communities of identity and the role of male leaders in change efforts. 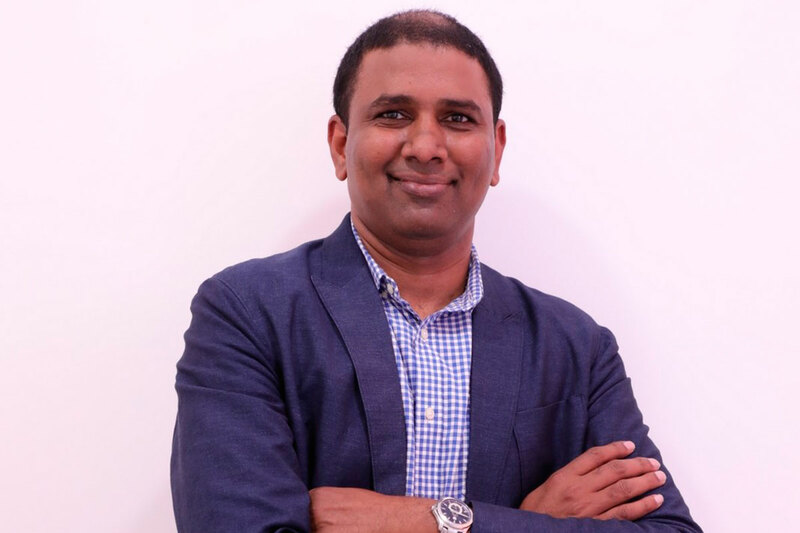 Asmau Ahmed: Asmau leads customer-centric digital innovation at Capital One. She is founder and engineer of Plum Perfect, a patented technology that extracts visual data from photos to match shoppers to products. 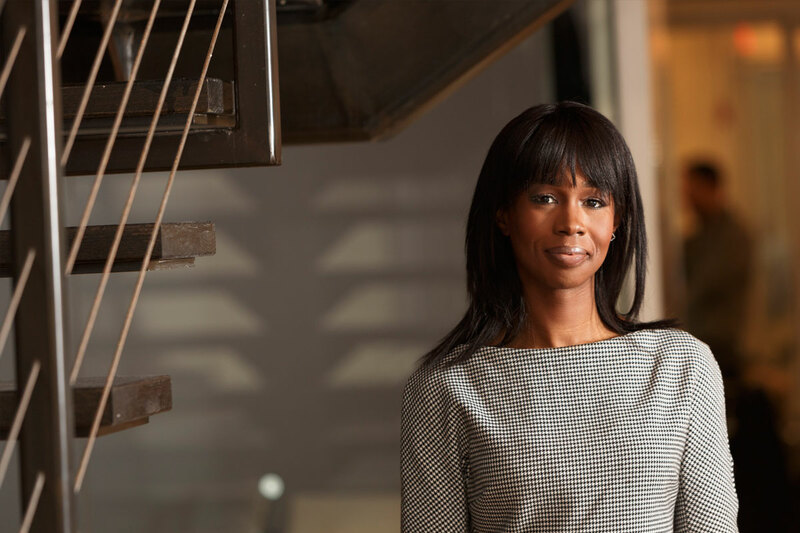 Asmau is a Cynopsis Media “Top Women in Digital,” and 1 of 12 black women to raise millions in funding – a statistic she is determined to change. She holds an MBA from Columbia Business School and a BS with Honors in Chemical Engineering from University of Virginia. 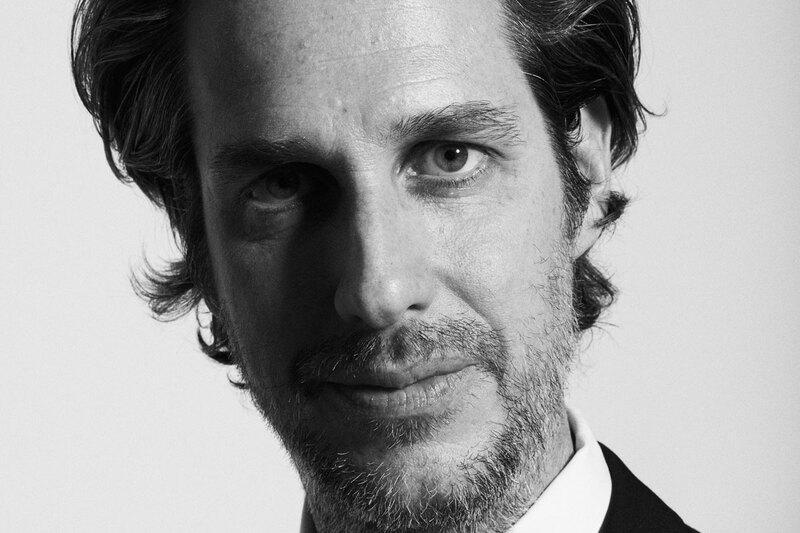 David Wysoki: Axonic Capital, CCO. NYC Life Sciences Initiative, Advisory Board. CCNY Code, Founder/Mentor. Colin Powell School for Future Leaders, Advisory Board. Senior lawyer, director, and compliance expert for two decades at banks, broker dealers and asset managers. 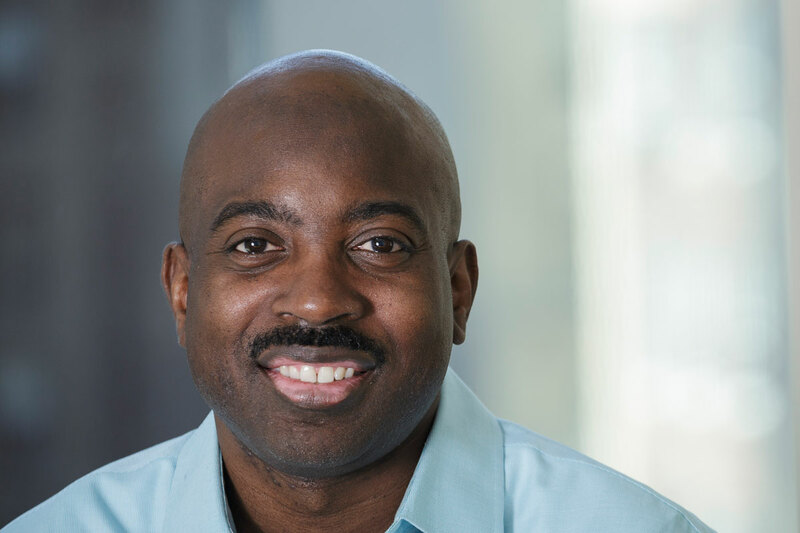 Raphael Carty: CEO at Callida Energy, Raphael Carty has over 20 years of software industry leadership experience beginning in Silicon Valley with HP. 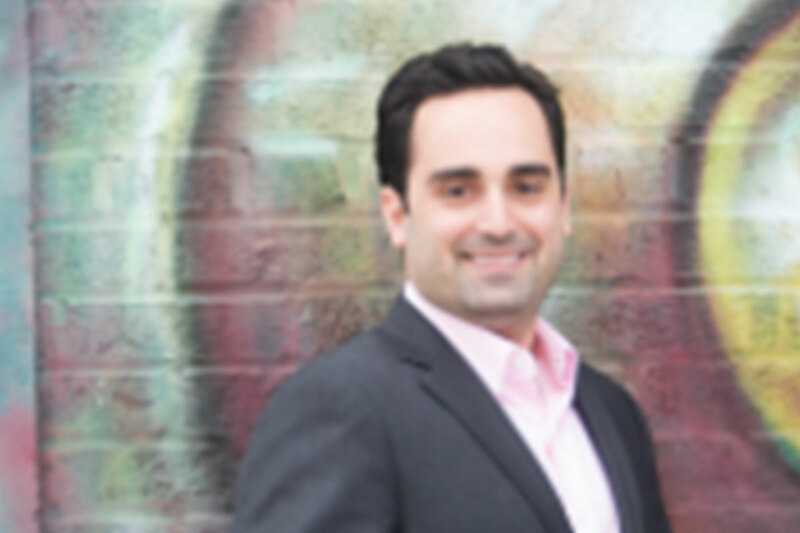 Previously, Raphael was Head of Marketing at DealerTrack (NASDAQ:TRAK) a SaaS application software provider, built a startup ecommerce business to $55 million in 2 years at Chase Credit Cards, served as CMO/VP Product at CertCo a venture-backed information security startup and taught at Harvard Business School. 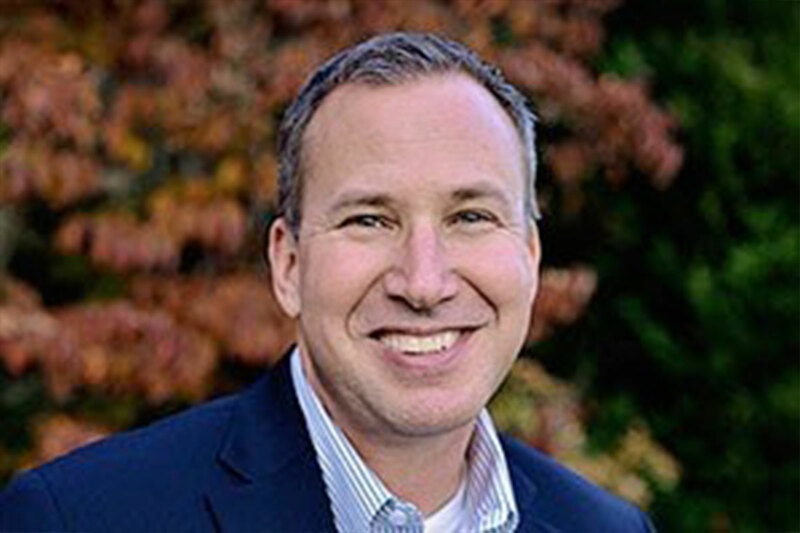 William Crowder is the Founding Partner of 42 Venture Partners, a seed stage venture capital fund investing in the technology that transforms the way we work and live. His firm is based in New York and is also an active investor in emerging tech hubs along the east coast. 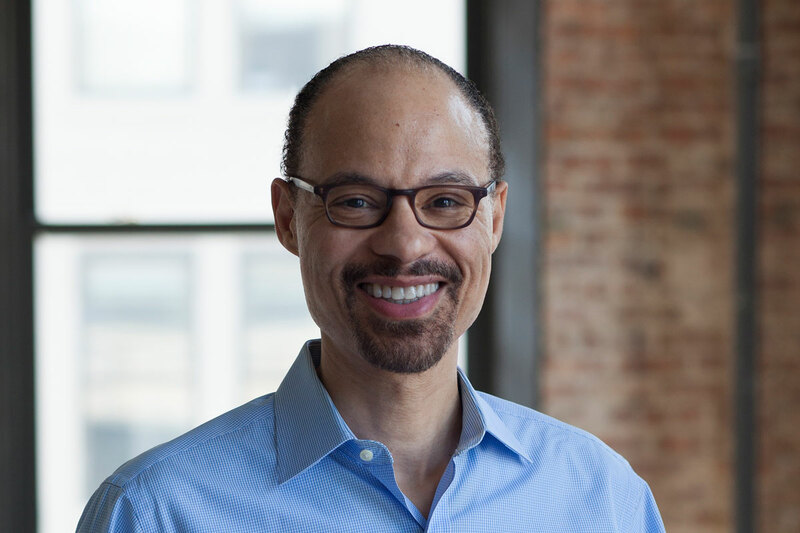 Prior to founding 42VP, William led the Comcast Ventures Catalyst Fund, a $20 million fund designed to invest in entrepreneurs of color, where he oversaw investments in over 70 companies. 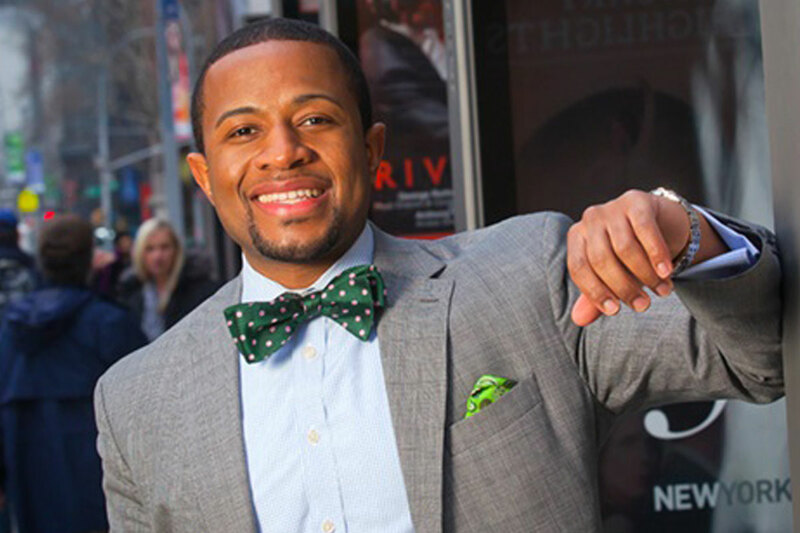 William is a graduate of NC State University and earned his MBA from Duke University. Nkrumah Pierre is the founder and CEO of Pierre Lee Group (PLG Consulting) which is a boutique consulting firm that offers executive business development advisory and strategy, thought leadership event curation, diversity and inclusion advisory and public speaking. Nkrumah has branded himself as the “Master Connector” and has over 30 clients ranging from start-ups to billion-dollar organizations throughout the country. 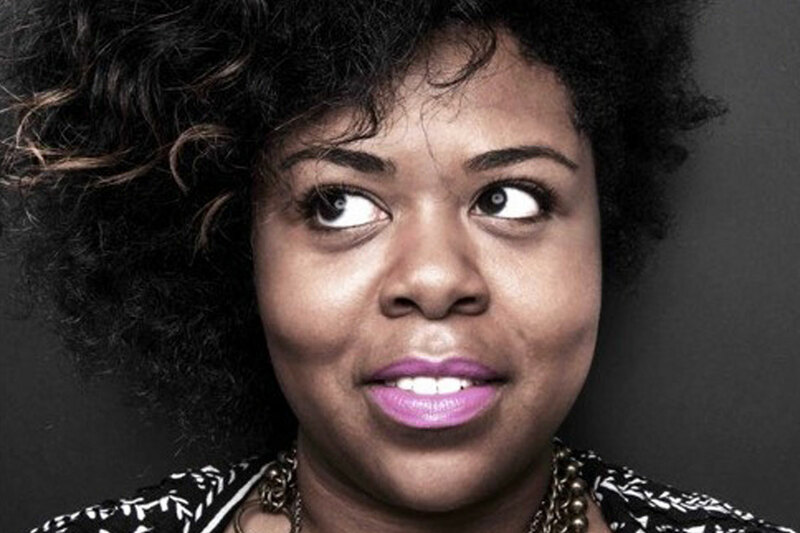 Chana Ginelle Ewing: A storyteller, strategist and entrepreneur who galvanizes communities of color, young people, and women to make cultural dents that move society forward. 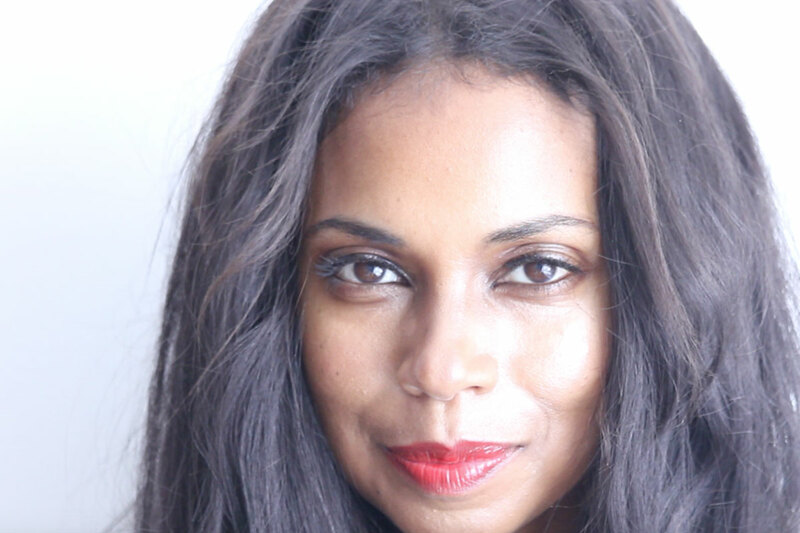 Recently, Chana founded GeenieBox, a women’s empowerment subscription service on a mission to inspire women to bolder action by revealing the insider tools, experiences and products behind successful Black women. 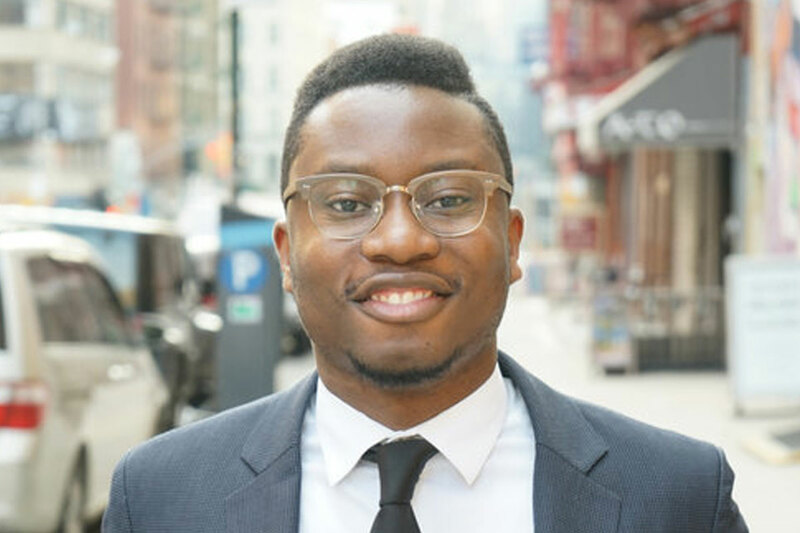 Ivan Alo: Ivan is co-founder and Managing Partner of New Age Capital, a seed stage venture capital firm investing in technology and technology-enabled startups led by Black and Latinx founders. Ivan is a strong advocate for diversity and inclusion in the tech and venture capital industries. 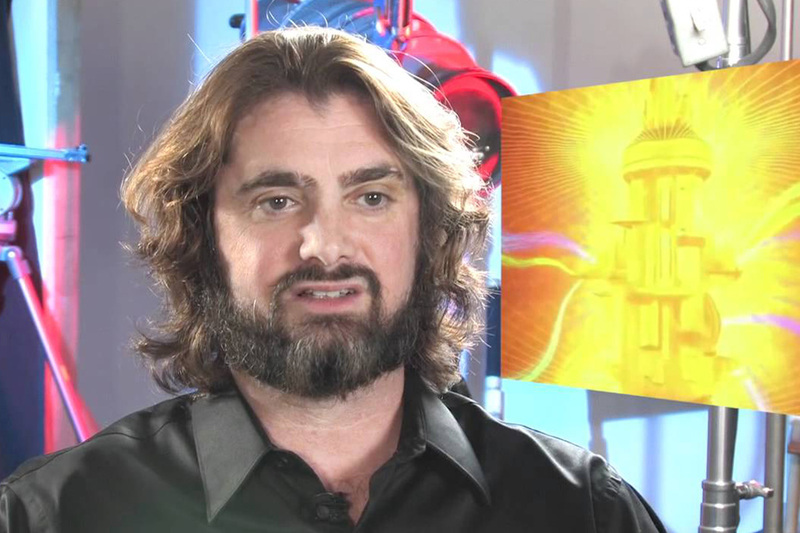 Pete Johnson: Pete is the Executive Creative Director of Nickelodeon Creative Advertising (NCA). 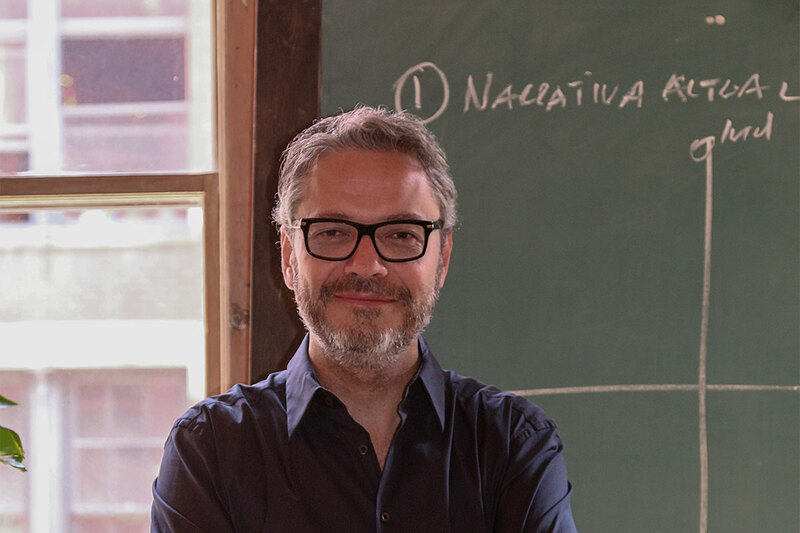 Prior to creating NCA, Pete was a Group Creative Director at Saatchi & Saatchi. Pete and his siblings own a dairy farm called Hacienda La Chima in the Andes of Ecuador. Pete lives in Brooklyn with his family. Laurence Schuurman: Laurence is an intrapreneur within Capgemini. 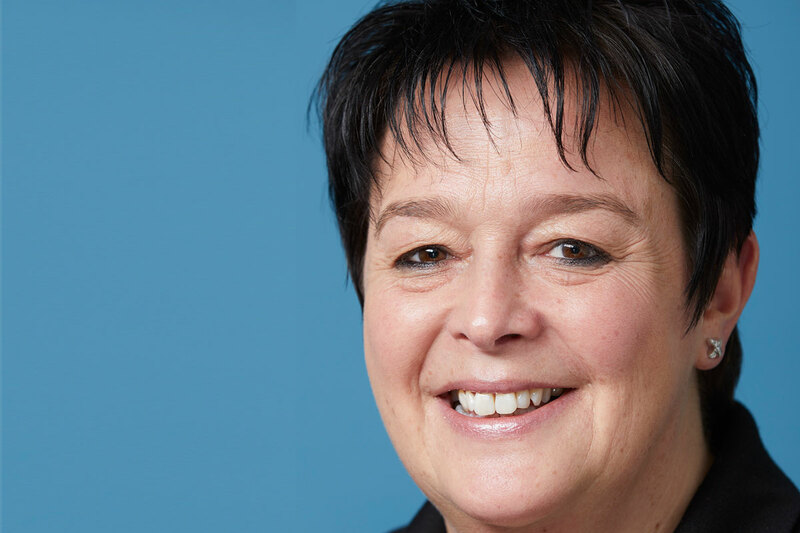 Believing in diversity and authenticy, she has been at the origin of several initiatives across Europe and in the US to provide platforms to enable colleagues to explore their talent. Having had roles both on the client side and internally, she has the client at the heart as well as continuous performance improvement. She is an inspiring thought leader and active connector. 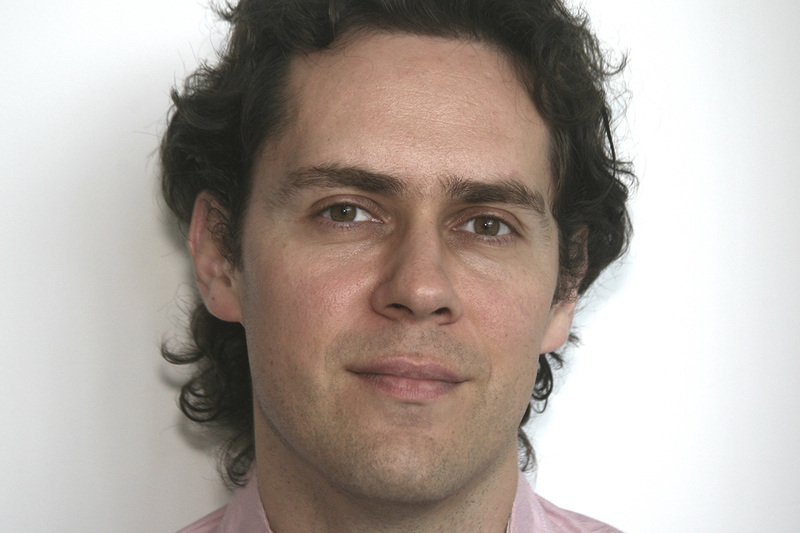 Laurence has lived in Belgium, Spain, Denmark, The Netherlands and resides currently in New-York. Monique Nelson: Monique is chair and CEO of UWG, an insight-driven, award-winning, agency. An industry thought leader, her Agency is best known for its insights into culture, aspirations and breakthrough creative product. 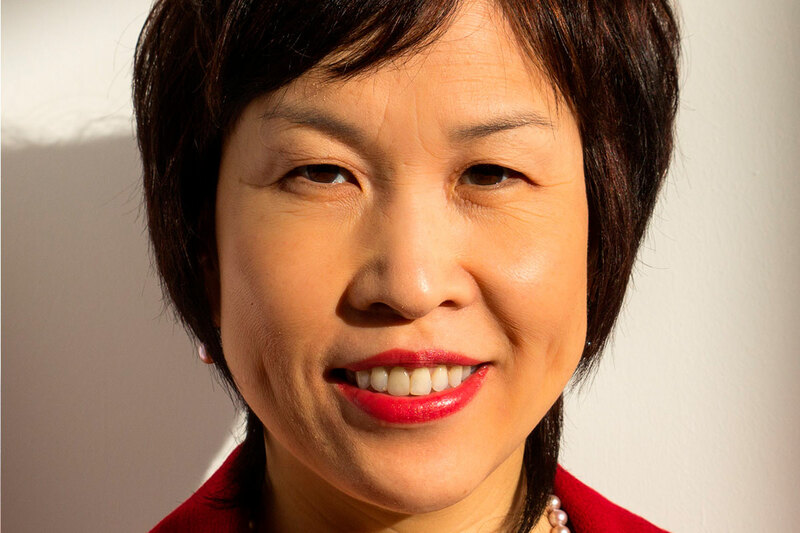 Her mission is to connect forward-thinking brands to the more than $1.3 trillion-dollar spending in the US multicultural market. Laura Paglione. An entrepreneurial, technically versatile, resourceful leader who thrives at the intersection of creative, technical and business environments. 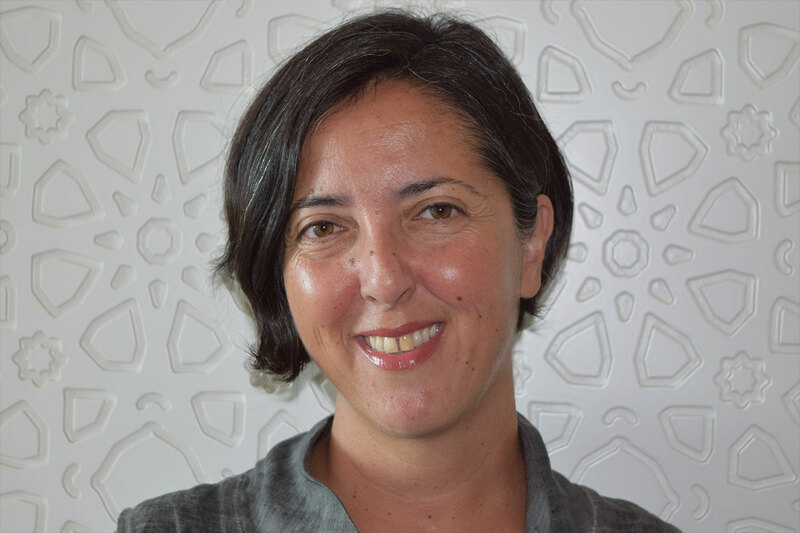 She currently serves as Director, Strategic Initiatives of ORCID, an organization addressing name ambiguity for researchers, and serving as a gateway to connect their research activities from disparate sources. 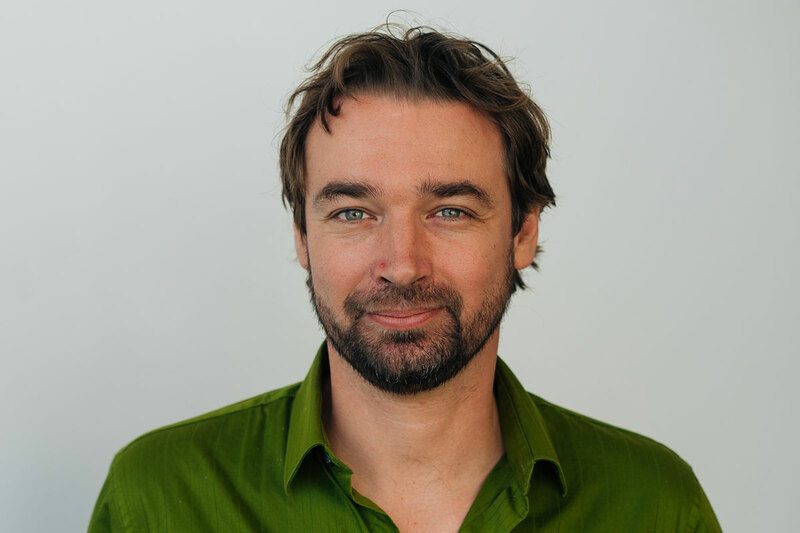 Bartosz Bos: Bartosz has developed projects ranging from the first electric car to drive across Canada without assistance, to student led curriculums in place across the country. Since 2009, Bartosz has worked as an Additive Manufacturing Specialist and 3D Printing Consultant. Starting with FigurePrints and Shapeways, he has printed and processed over 100,000 objects across all Additive Manufacturing technologies. Bartosz is currently developing strategies to accelerate the rapid adoption of Robotics and Digital Fabrication in smaller urban centres. 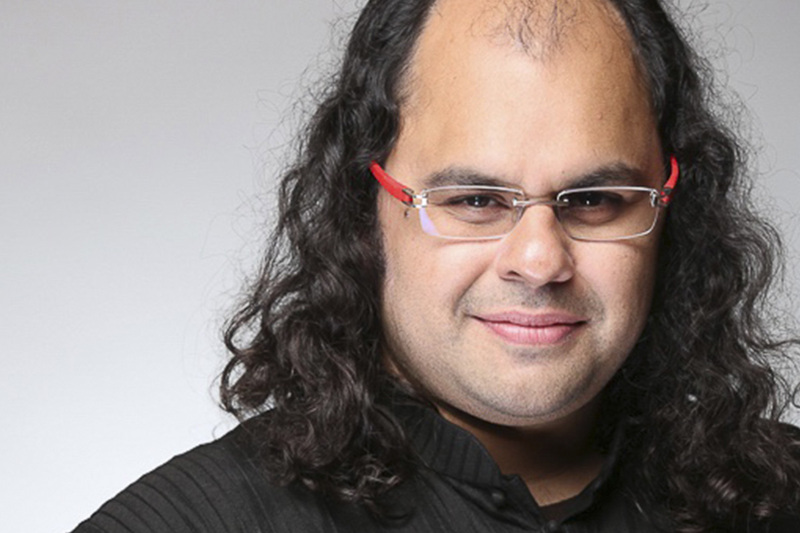 Kaustuv DeBiswas: Technology entrepreneur, working at the intersection of Design, Artificial Intelligence and HCI. Currently, Kaustuv is a Co-Founder / CEO at VibrantData (recently acquired by Rakuten Slice), a machine learning company for discovering hidden patterns in complex data. Previously Kaustuv co-founded Sunglass.io, a web-based CAD company which enabled large scale distributed and open engineering. Kaustuv received his training (MS / PhD) at the Computation Group at MIT. He is a Senior TED Fellow (2013), an Inlaks scholar (2004) and his work has received mentions in NPR, Business Insider, TechCrunch, Wired, Forbes, All Things Digital. 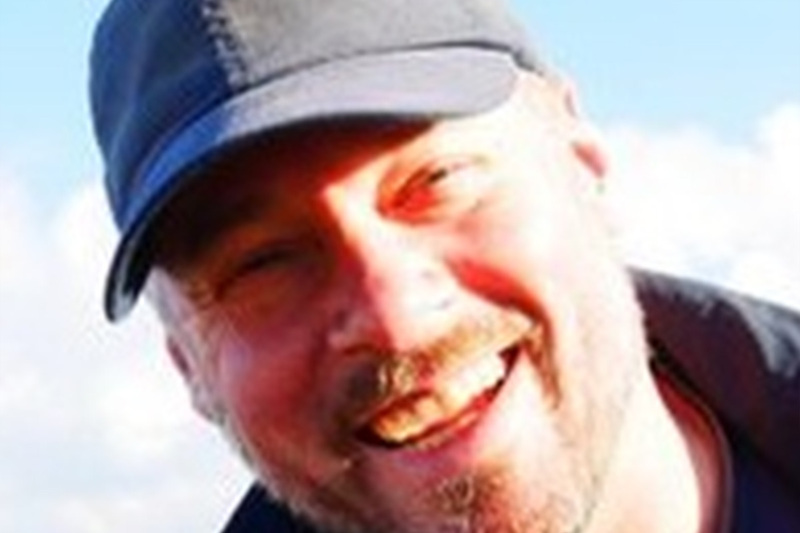 Kaustuv has been a consultant to various organizations including the MIT MediaLab and Bentley Systems. 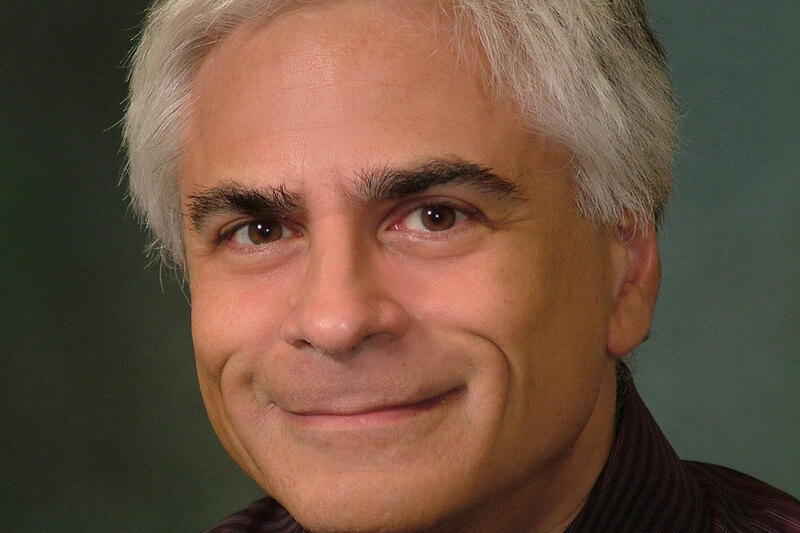 Peter Asaro: Associate Professor in the School of Media Studies at The New School, and Affiliate Scholar at Stanford Law School’s Center for Internet and Society. His research focuses on the social, ethical and legal dimensions of robotics and artificial intelligence. 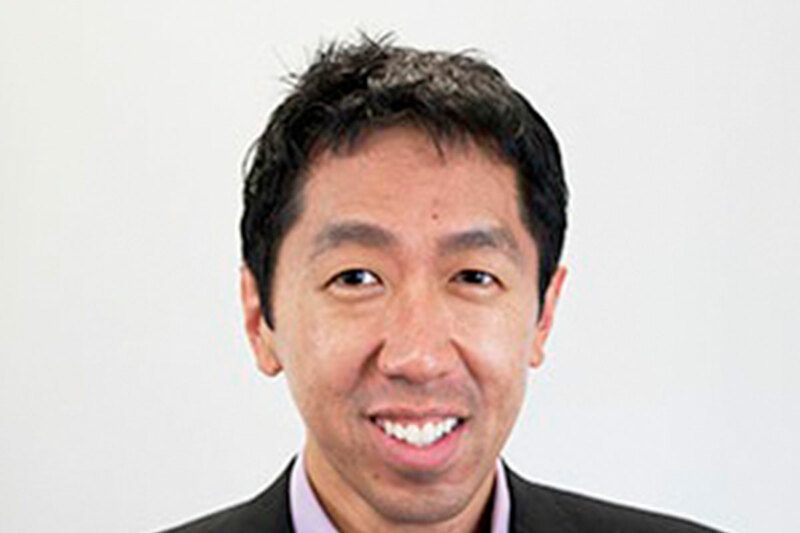 He has worked in machine learning, computer vision and robotics, and earned his PhD from the University of Illinois. Dr. Asaro is co-founder and vice-chair of the International Committee for Robot Arms Control which is part of the Campaign to Stop Killer Robots, a coalition of NGOs. Yevgen Borodin: Leading researcher and entrepreneur in the field of computer accessibility. He invented an array of methods for improving Web accessibility for people with vision impairments. He co-authored 50+ peer-reviewed publications and received numerous awards, including the MIT Technology Review Innovator Under 35 and FCC Chairman’s Award for Advancing Accessibility. 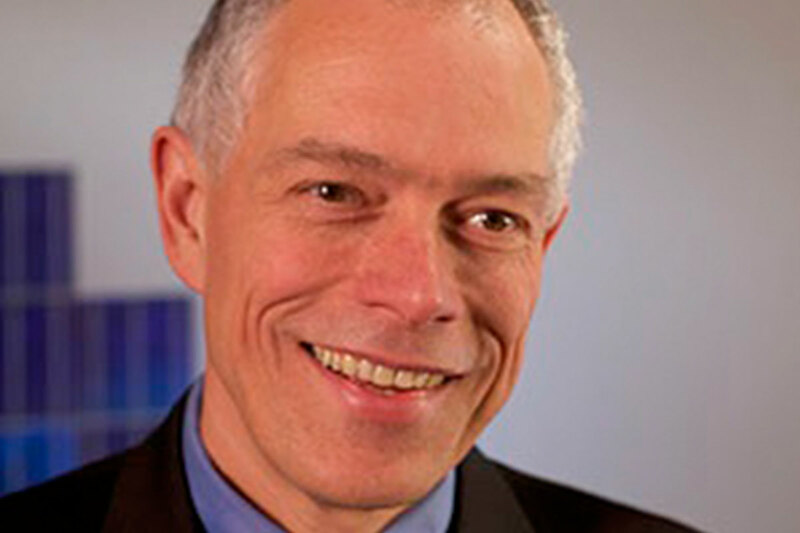 Axel Tillmann: Principal with Tranzishen and CEO of Alpha Consult, has close to three decades of leadership experience. He directed numerous startups to & through successful exits, gaining a wealth of experience dealing w. publicly held firms. Known as a serial entrepreneur, he is a well-known, well-connected expert involving start-ups, entrepreneurship & enterprise endorsement. 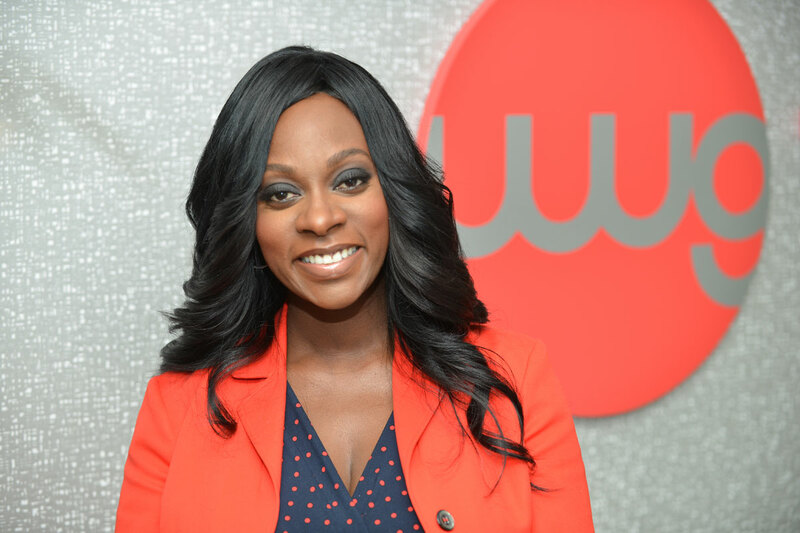 Tiffany​ ​Cody: An​ ​award-winning​ ​communications​ ​professional​ ​who​ ​has​ ​been​ ​fortunate​ ​enough to​ ​build​ ​her​ ​career​ ​around​ ​her​ ​passions:​ ​public​ ​relations,​ ​marketing​ ​communications,​ ​and diversity​ ​and​ ​inclusion​ ​in​ ​the​ ​workplace.​ ​As​ ​technology​ ​continues​ ​to​ ​change​ ​labor​ ​markets​ ​and the​ ​ways​ ​in​ ​which​ ​business​ ​is​ ​conducted,​ ​she​ ​is​ ​inspired​ ​to​ ​find​ ​innovative​ ​solutions​ ​to​ ​historical and​ ​contemporary​ ​barriers​ ​to​ ​achieving​ ​equality​ ​in​ ​the​ ​work​ ​force. 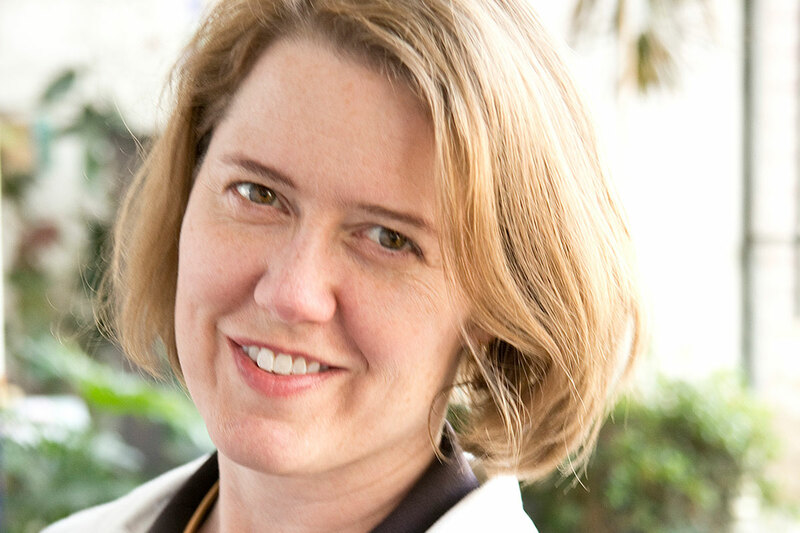 Laurie Kerr: A licensed architect and the leader of Urban Green’s policy team, Laurie Kerr is a national leader in green building and urban sustainability policy. Under Mayor Bloomberg, she developed the city’s innovative green building strategies and later founded the City Energy Project at the Natural Resources Defense Council. 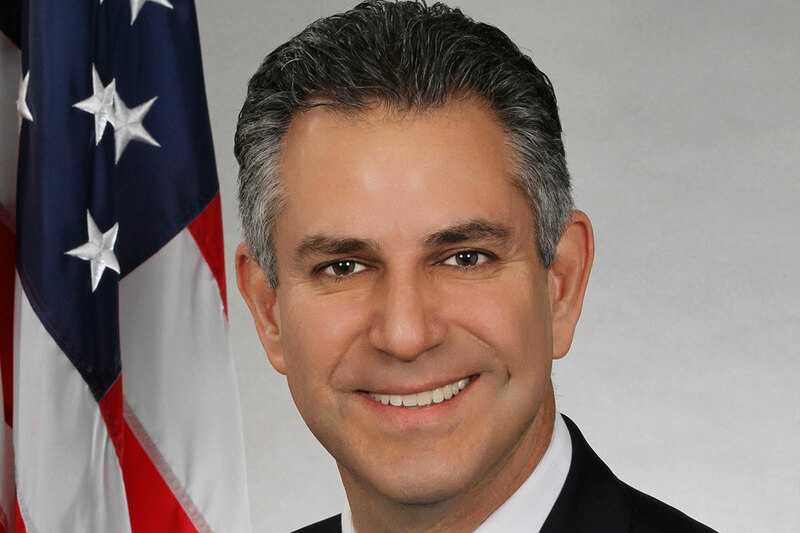 Francisco J. Sánchez: Francisco served as Under Secretary for International Trade at the U.S. Department of Commerce until 2013, a post President Barack Obama nominated him to in 2009. 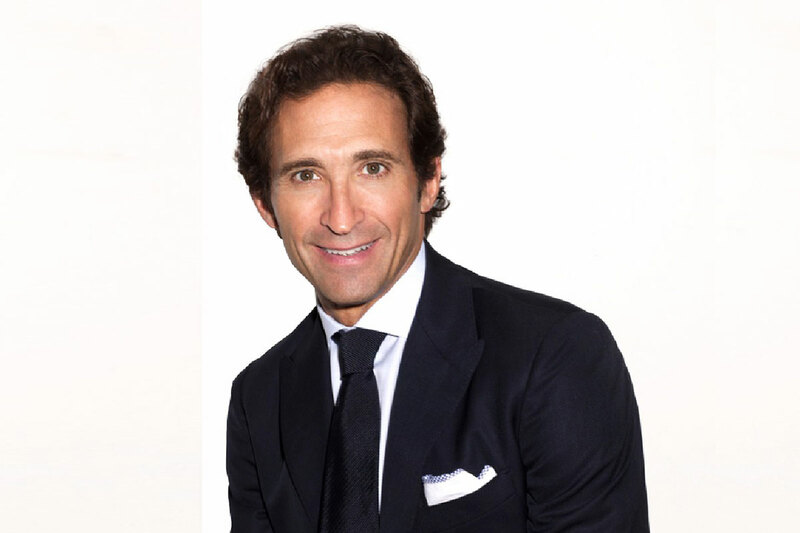 Sánchez is currently the Chairman of CNS Global Advisors, providing strategic advice to companies and governments looking to expand in or resolve issues in foreign markets, including the United States. Sánchez also serves in senior positions for two private equity funds: Pt Capital, a firm concentrating on investment opportunities in the Arctic; and, Go Scale Capital, a technology fund based in Hong Kong.Sánchez serves on the board of directors for Archer Daniels Midland (ADM), the H. Lee Moffitt Cancer Center and Research Institute, and Suniva, Inc.
Jason Siegel: An accomplished entrepreneur, creative director and digital strategist. His work is diverse and spans working with General Electric strategic branding efforts to leading the redesign of the WashingtonPost. 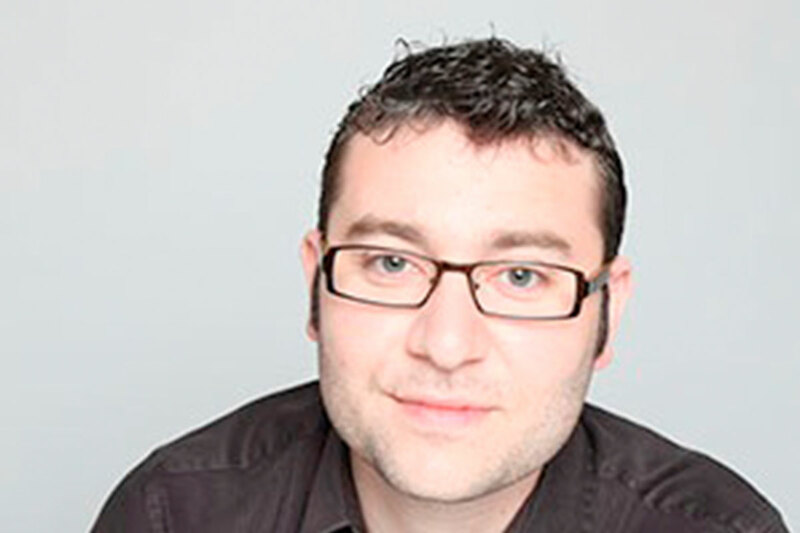 Jason’s success and recognition started with being named by Yahoo as the nation’s best college web designer, and since has won countless national awards, was selected twice to the 40 Under 40 by the Direct Marketing Association. 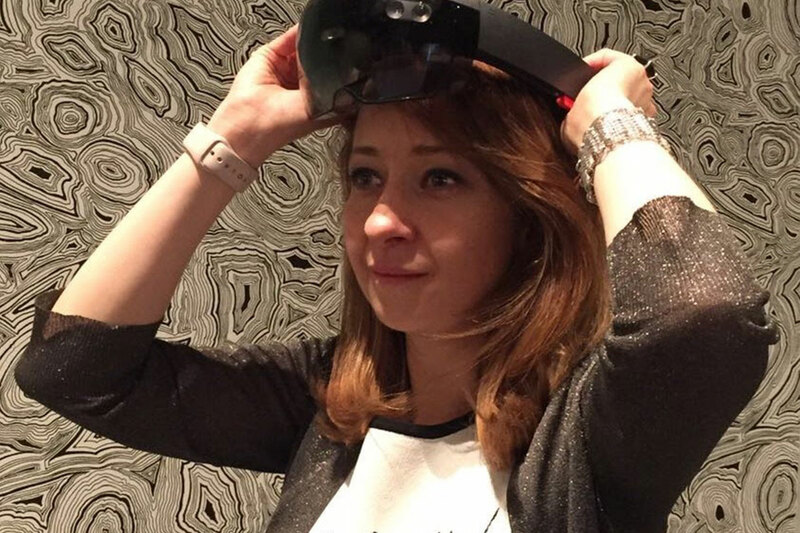 Ayesha Kiani: Ayesha Manages Operations and Business Development at SingularDTV – A Blockchain Entertainment Studio. She is also the Head of Business Development at Overlap, an artificial intelligence company that provides virtual personal assistants. 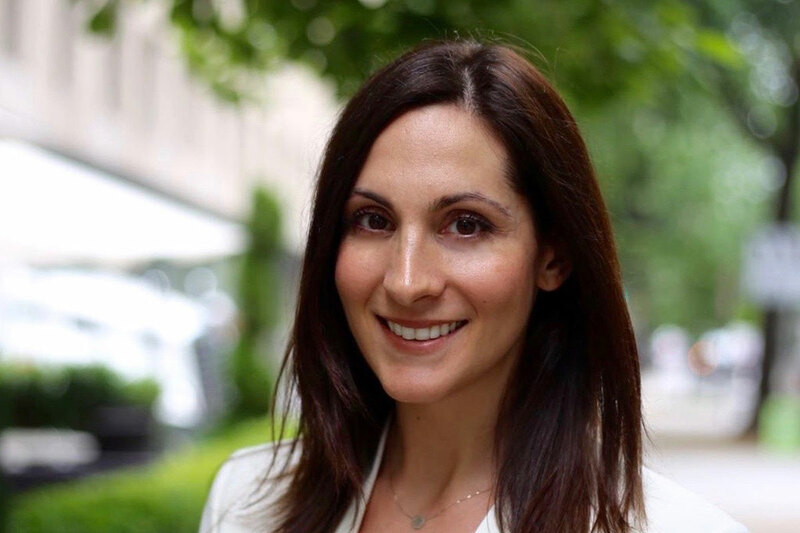 She also an Investor Board Member for Ventures for America and Co-Founders Lab, a mentor at TechStars and is on the founding team of Tattle, a CRM platform for small business. 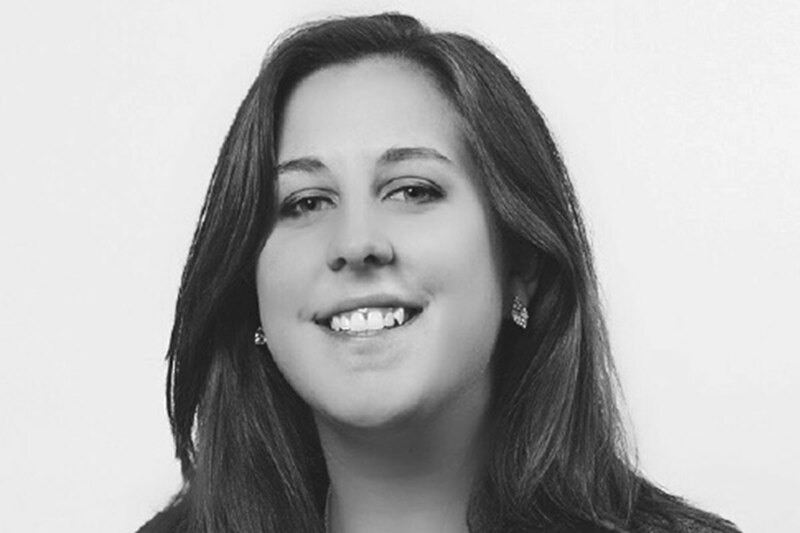 She has a Bachelor’s in Finance from Stern, a JD from NYU Law School, and previously worked at Skadden. 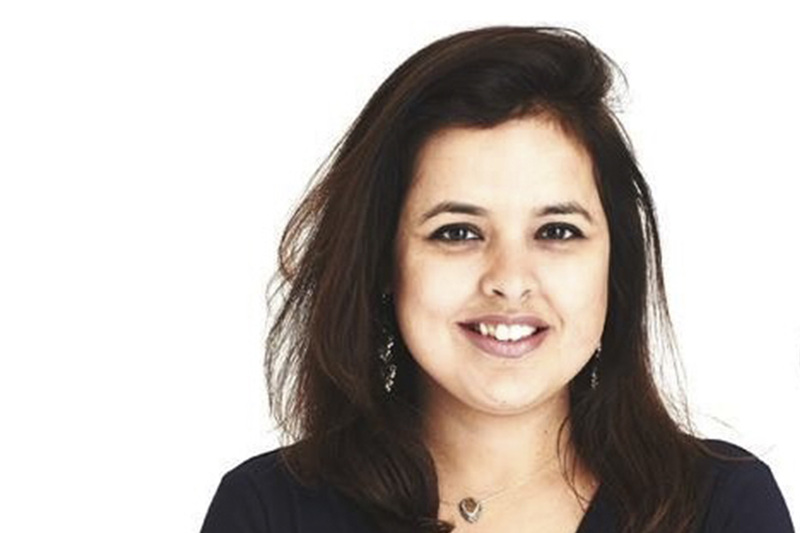 Aale Naqvi: A Senior Quantitative Engineer at Frost+ Fire – a data analytics company. He also teaches Digital Signal Processing and Tranmissions System as an Adjunct Professor at City University of New York. Previously, he was a research physicist at Reservoir labs focusing on Radar and Algorithm projects. He has his Ph.D. in Electrical and Computer Engineering from the University of Texas at Austin. Itai Madamombe: Senior Advisor on Innovation at the United Nations. She has been at the forefront of efforts to innovation to accelerate the implementation of the Sustainable Development Goals (SDGs). For the past decade, Itai has supported the UN Secretary-General in architecting and launching a number of his signature global initiatives, including on education, global health, and philanthropy. She is passionate about the role of exponential technologies in shaping the future. 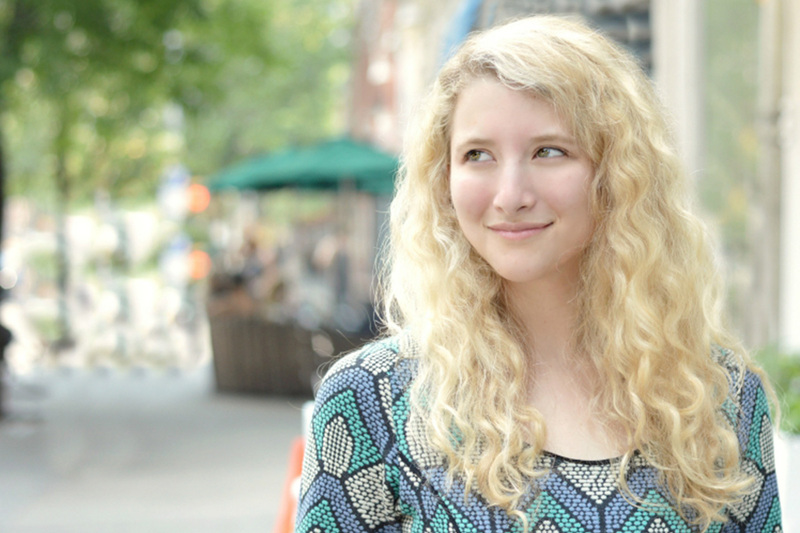 Lily Herman: Writer, editor, and entrepreneur. She covers news and politics as a contributing editor for Refinery29, and she’s currently one of the youngest people in such a role for a major publication. She also runs Getting Her Elected, an organization connecting skilled volunteers to progressive women running for office. 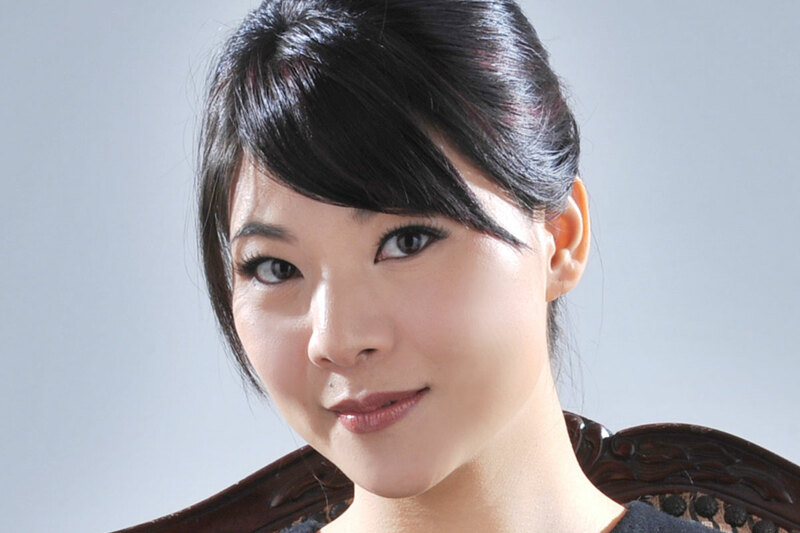 Ying Wang: Ying Wang is Director of Zo AI at Microsoft AI & Research division. Zo is social bot who is always down to chat, active on Facebook Messenger, Kik and Groupme. Zo is US version of Xiaoice, a loved chatbot with unprecedented EQ framework, incubated in China and loved by the mass Chinese online consumers. 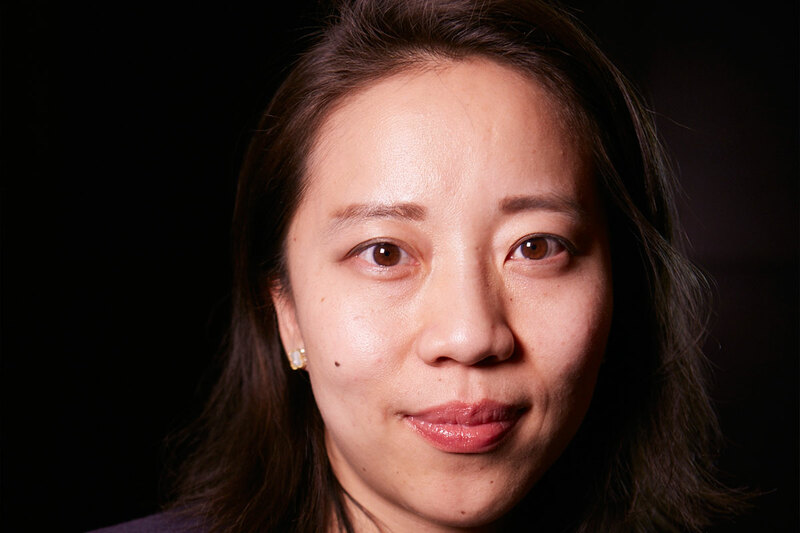 Prior to being the director Zo AI, Ying has worked in various product leadership in Search, Skype for Business, Microsoft Project and Office Suites in both Microsoft R&D US headquarters and in China. Ying Wang also had years of experiences in developing outsourcing and technical partner ecosystem for Microsoft. Microsoft AI & Research division. Andrew Nemr: Mentored by Gregory Hines, Andrew is an international performer, choreographer, educator and speaker. He has played with Grammy Award winning musicians across multiple genres, founded and directed the tap dance company Cats Paying Dues, and co-founded the Tap Legacy™ Foundation, Inc. (along with Hines). “A masterly tapper” (New York Times), Nemr’s work has been recognized with a TED Fellowship, grants from the National Endowment for the Arts American Masterpieces: Dance Initiative and the CUNY Dance Initiative, a FloBert Award for Tap Dance Excellence, and residencies with Quarterly Arts Soiree at Webster Hall, BRICLab, More Art’s Engaging Artists program, Surel’s Place, and TED. 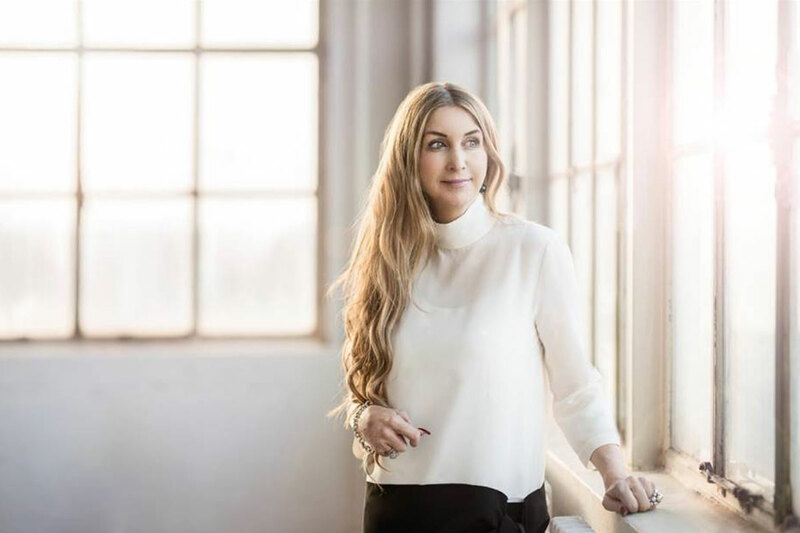 Rebecca Suhrawardi: A global features journalist focused on art, design, tech, fashion, culture and the businesses and people that make those industries tick. 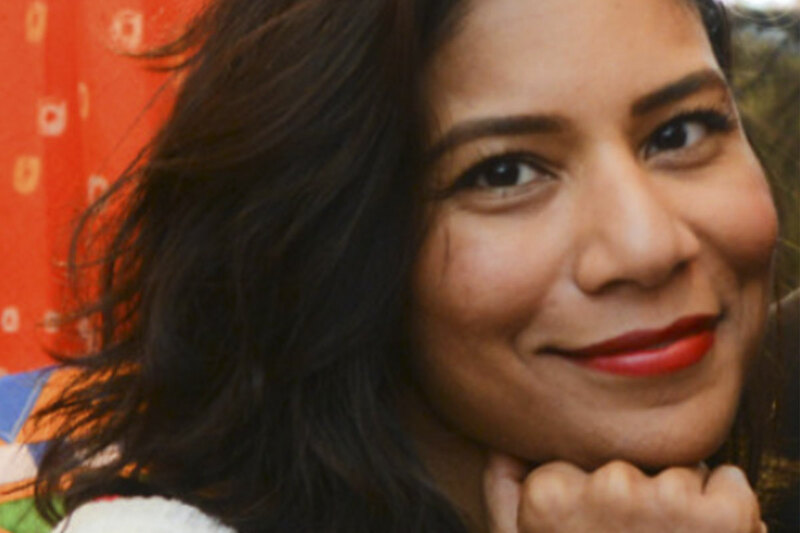 Her work can be seen in publications such as Vogue and Harper’s Bazaar and she currently edits her column on Forbes.com, where she is a contributor. 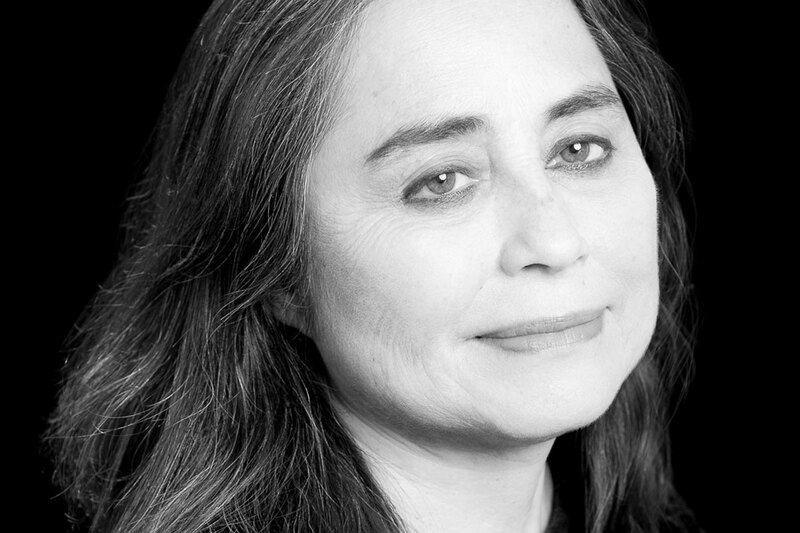 Rebecca is also an Adjunct Professor at Parsons, The New School for Design and she gives back to the community through The Bowery Mission, where she serves meals to New York City’s neediest populations.